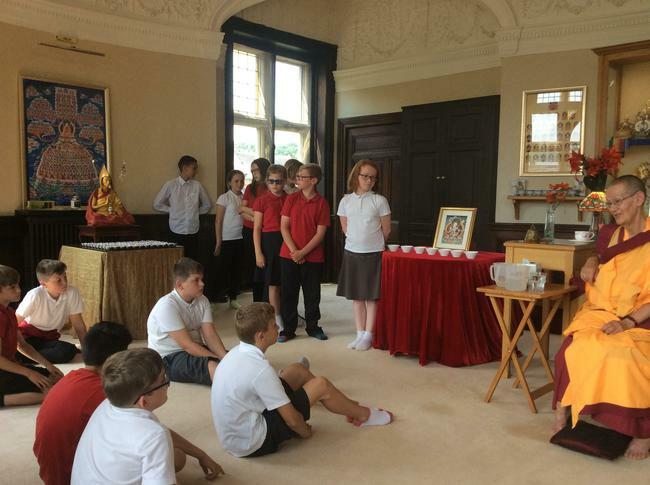 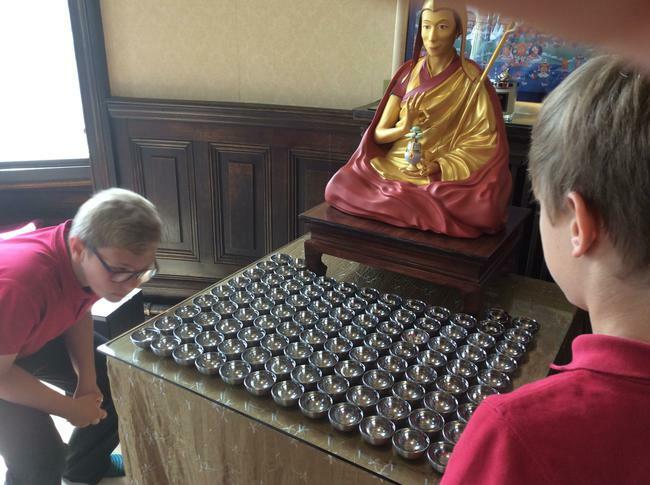 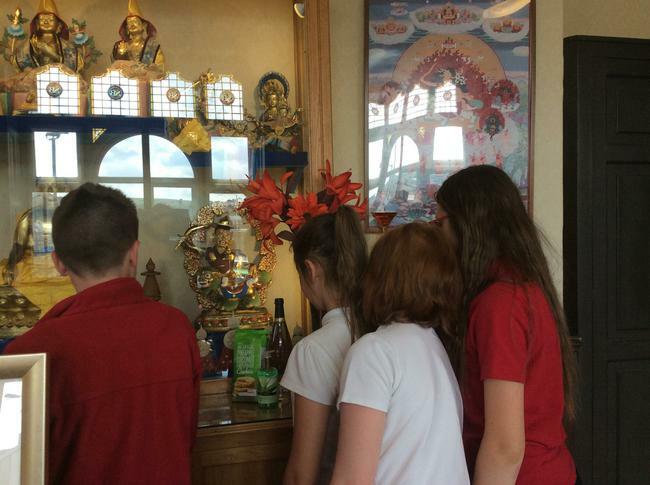 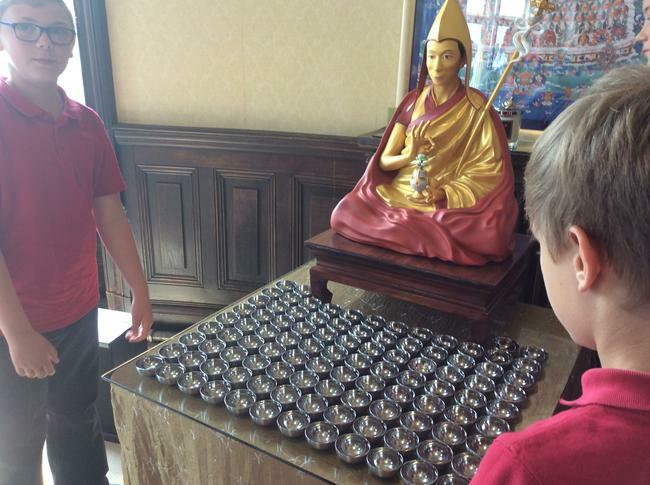 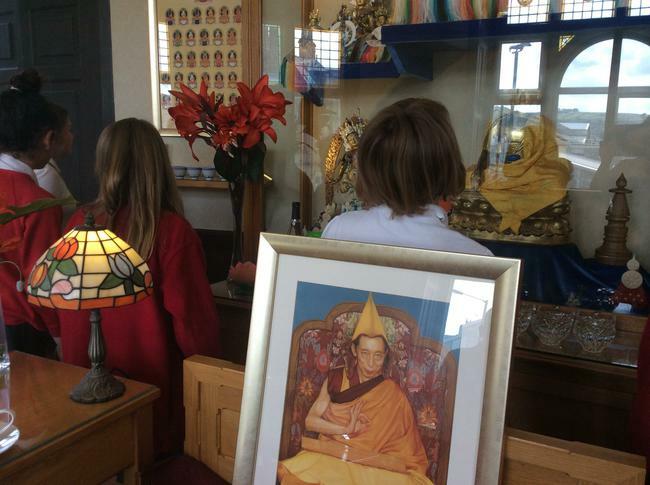 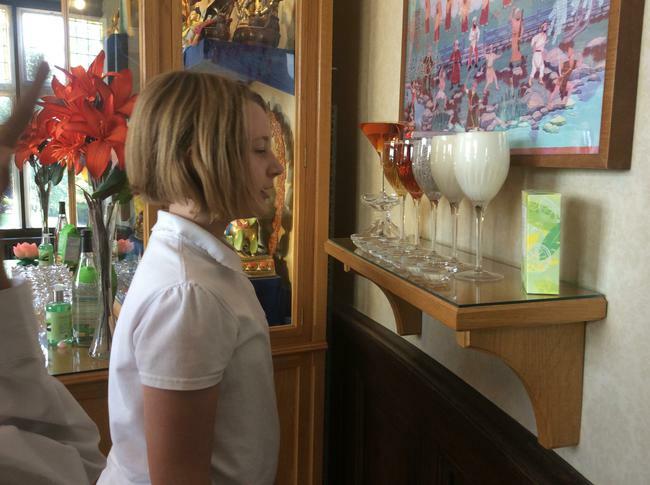 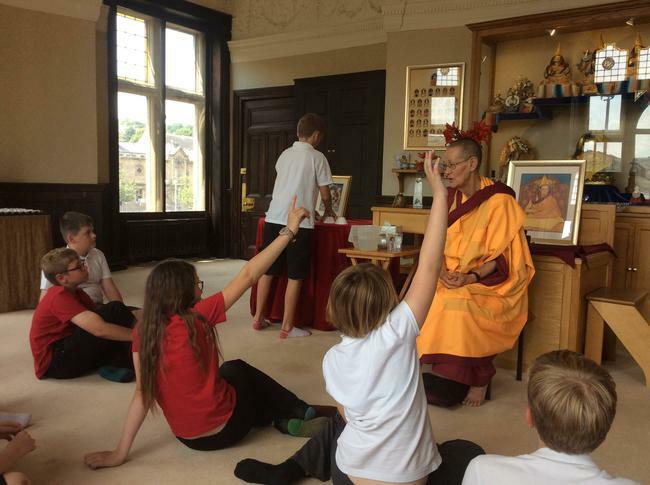 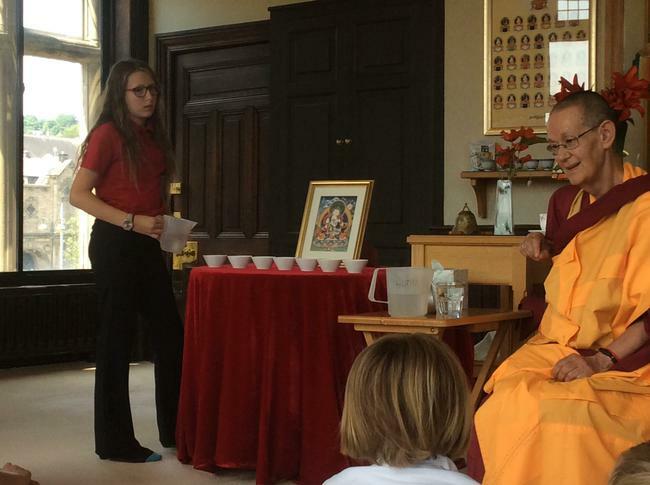 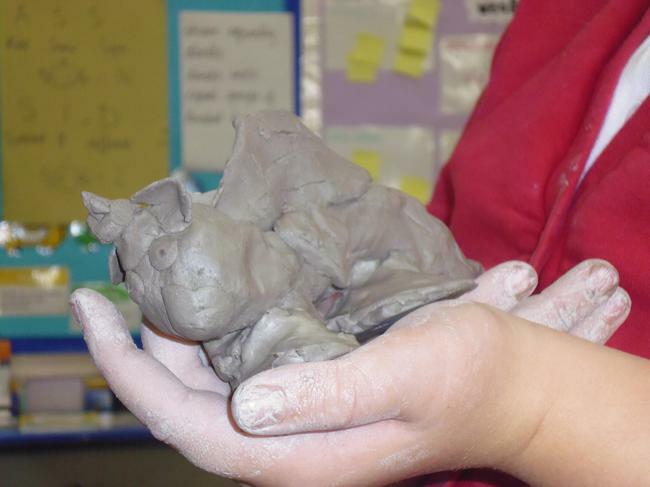 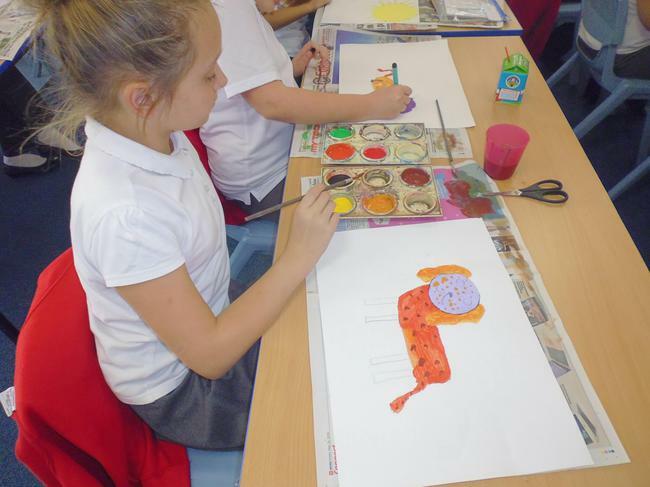 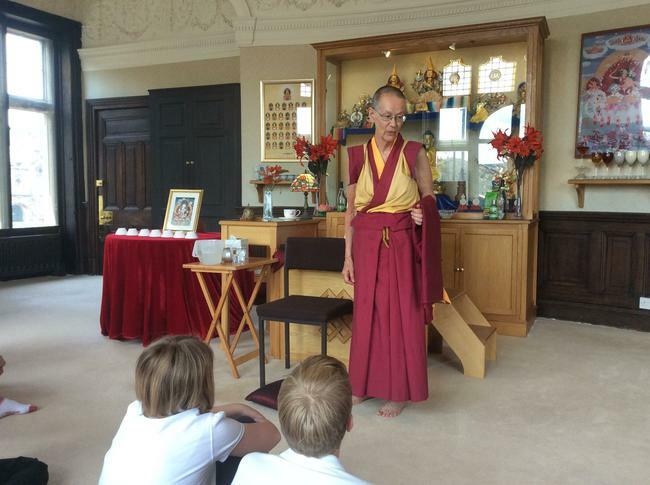 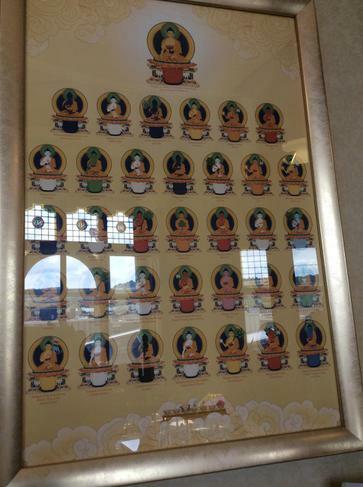 This week, our Year 6 children visited the Buddha Land Centre to support their RE learning about Buddhism. 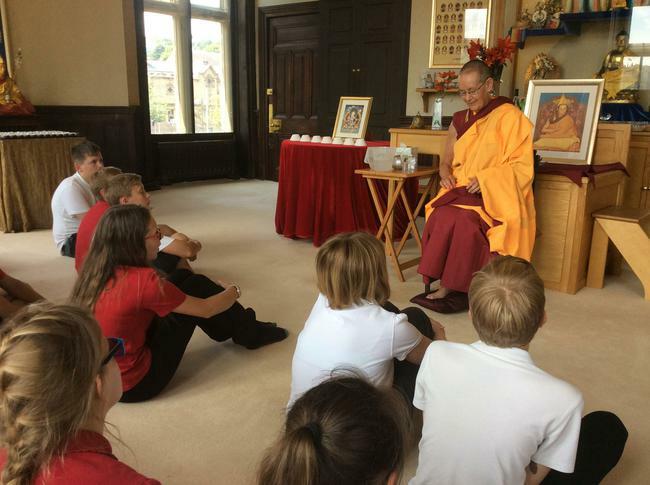 Here the children met a Buddhist nun; listened to stories about the history of Buddhism; learnt more about offerings that are made before meditation and attempted to meditate themselves. 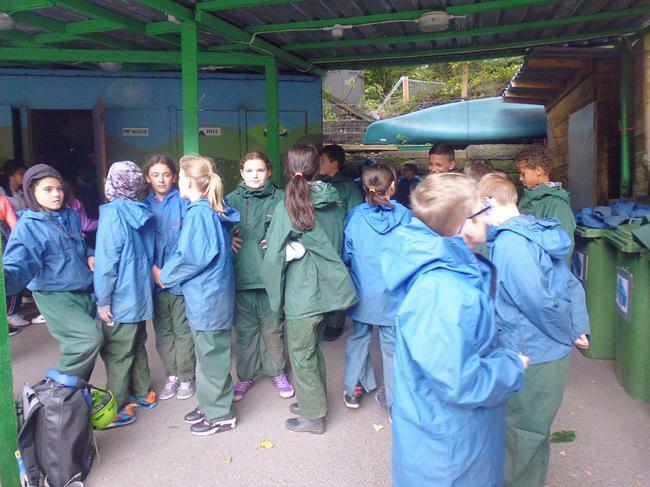 Have a look at some of our pictures from the trip below. 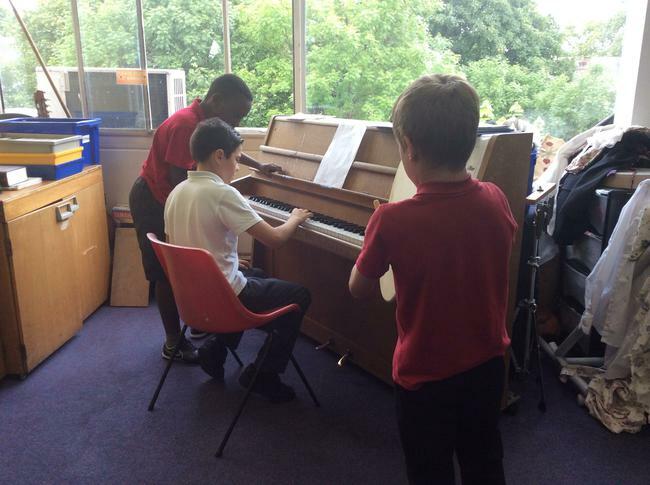 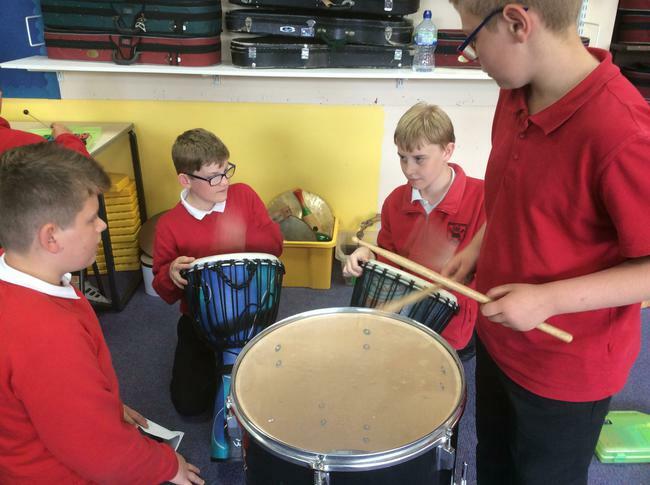 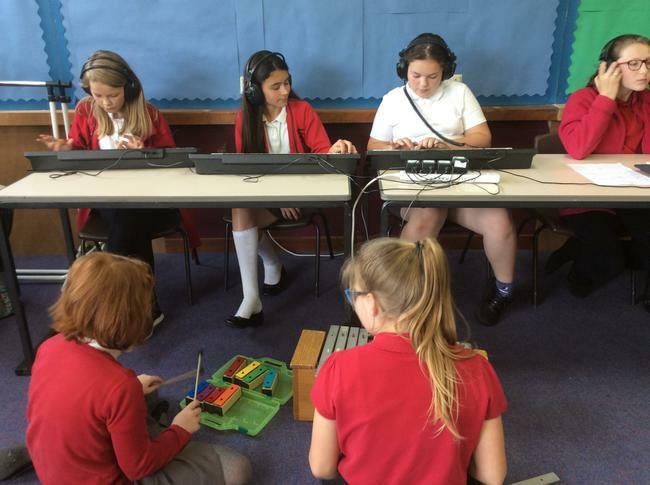 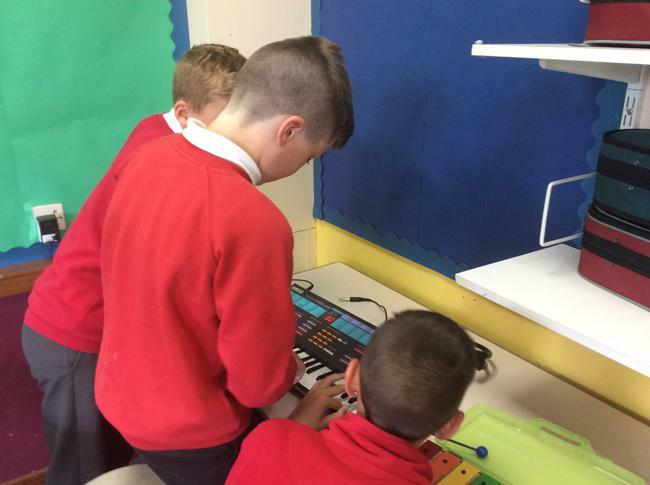 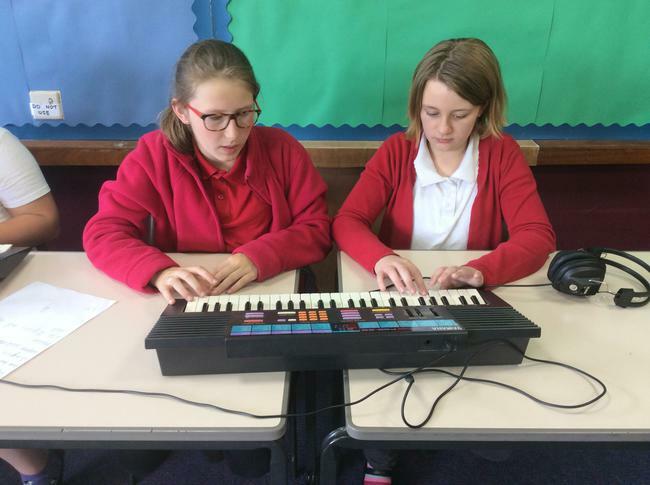 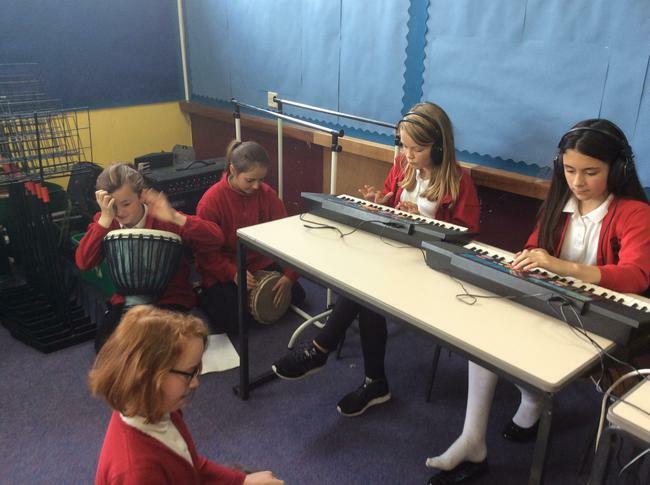 In music this week, Year 6 were composing a piece of music to support adverts they have made. 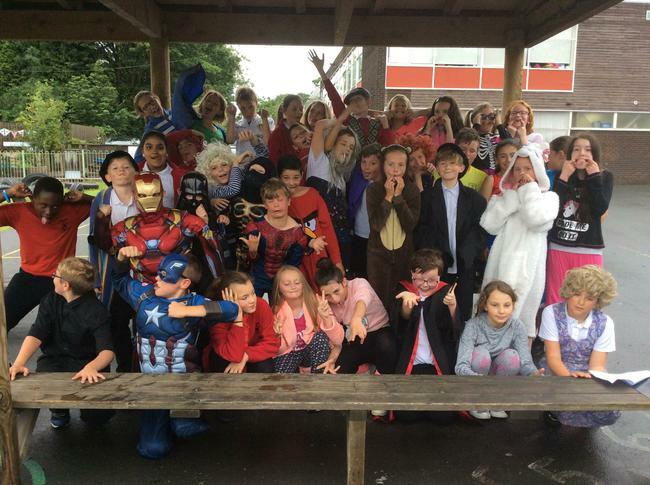 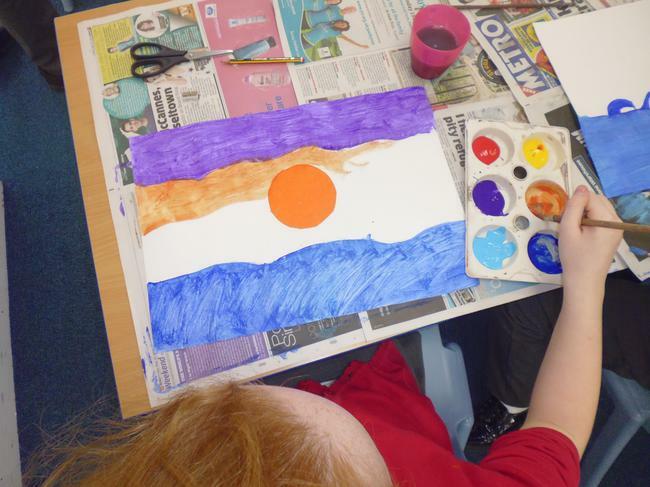 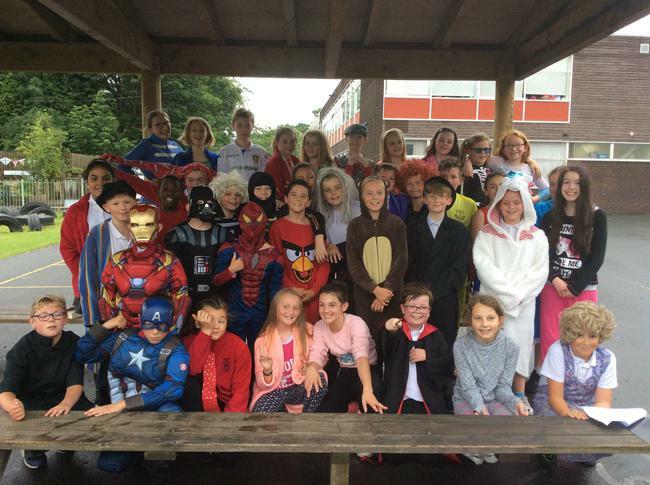 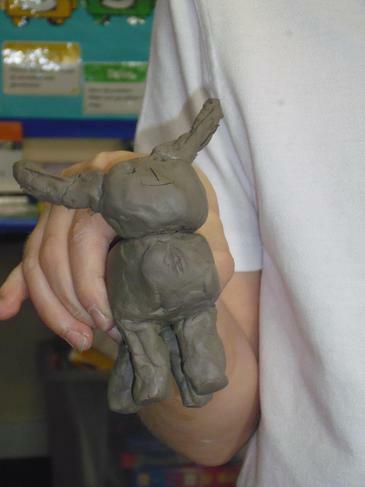 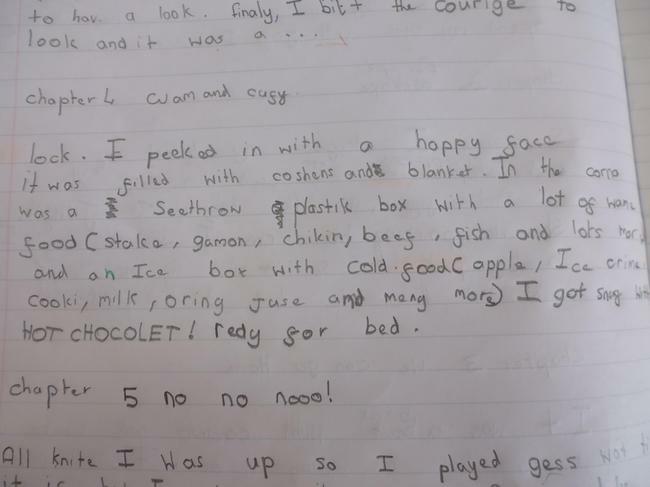 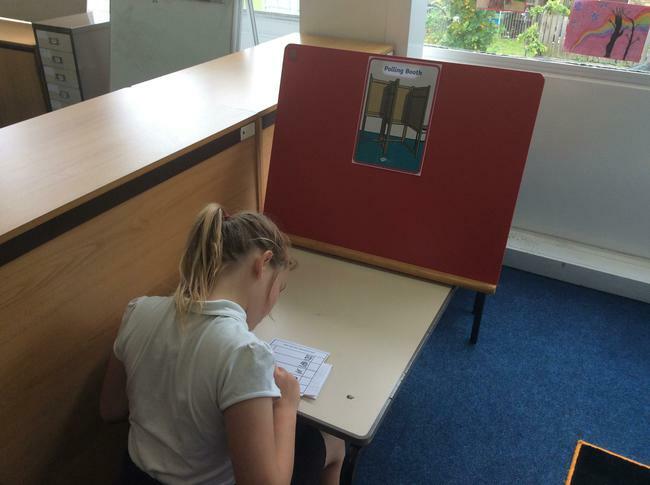 As the UK went to vote this week, so did our Year 6 children. 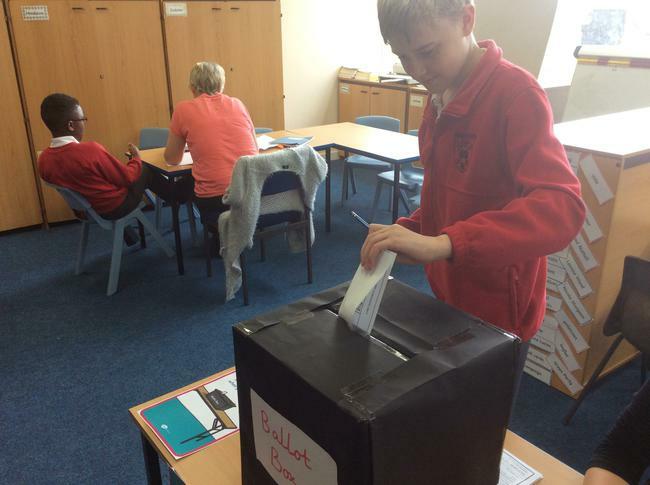 In classes we discussed what a General Election was and why we hold them. 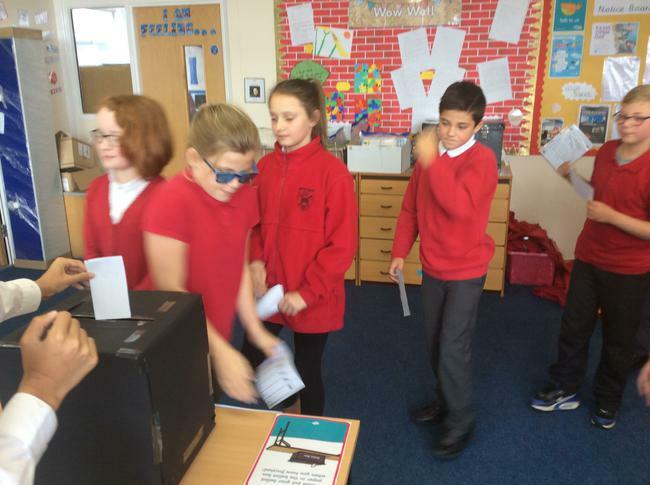 We considered the Brexit vote of last year and how that related to Theresa May's decision to call the snap election. 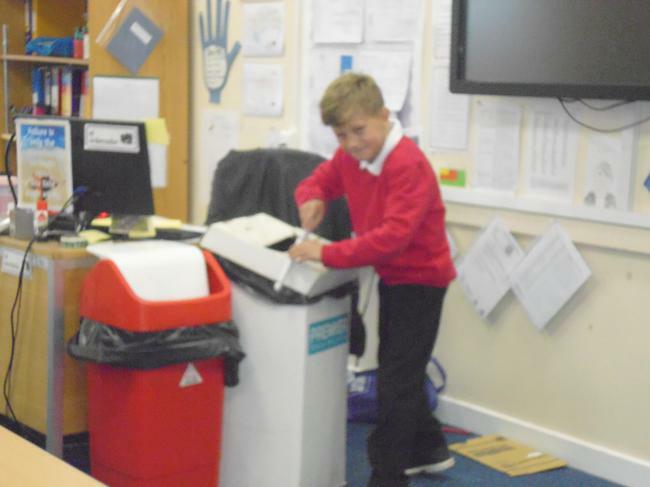 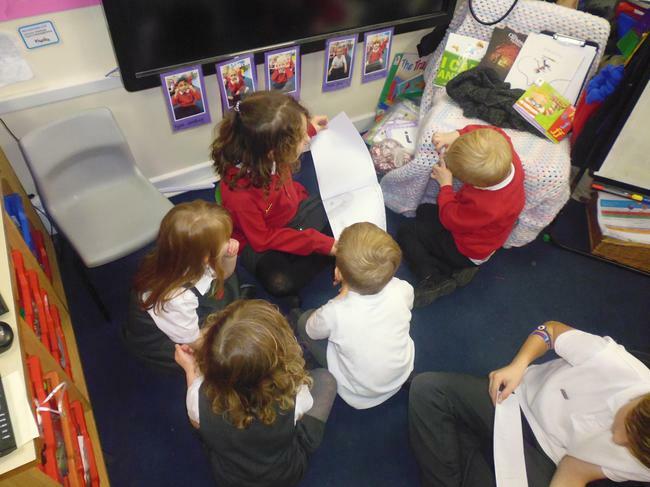 The children then had the opportunity to read the manifestos of all the major political parties so they could make an informed decision on their vote. 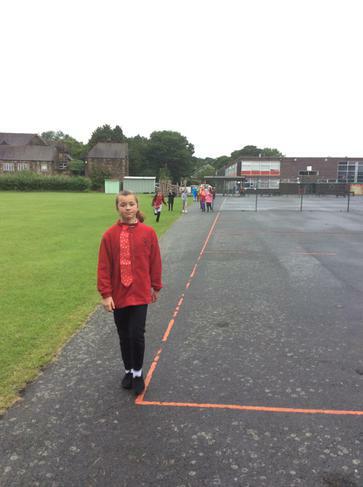 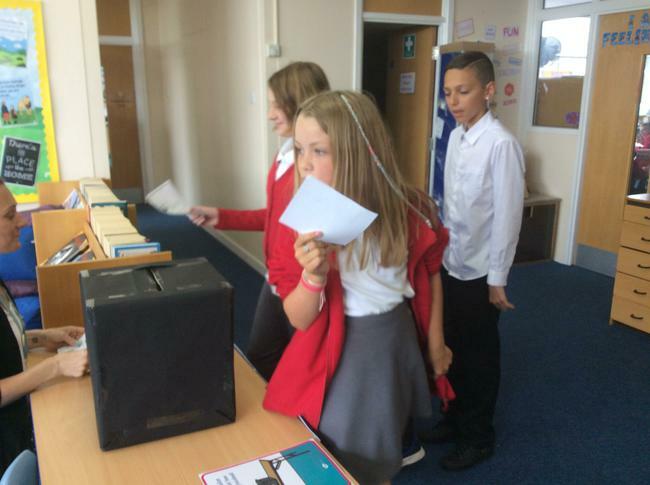 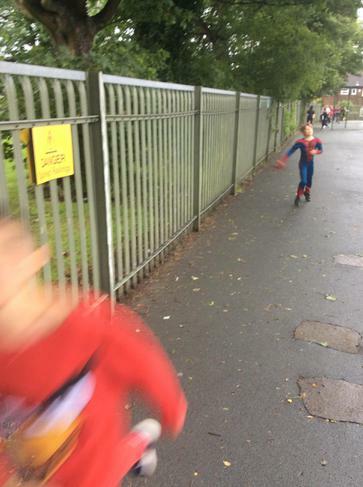 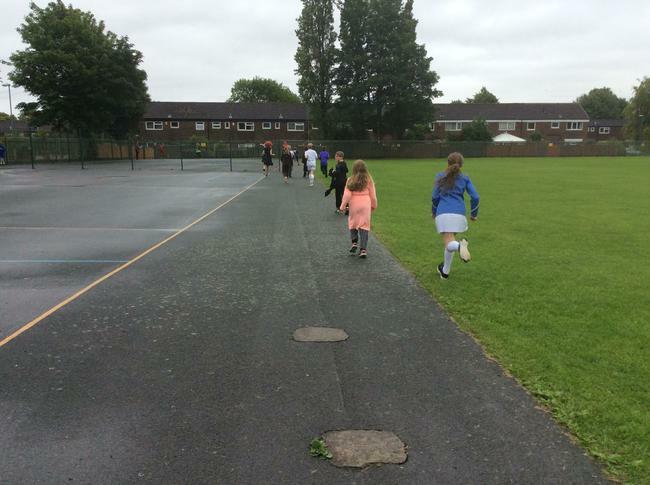 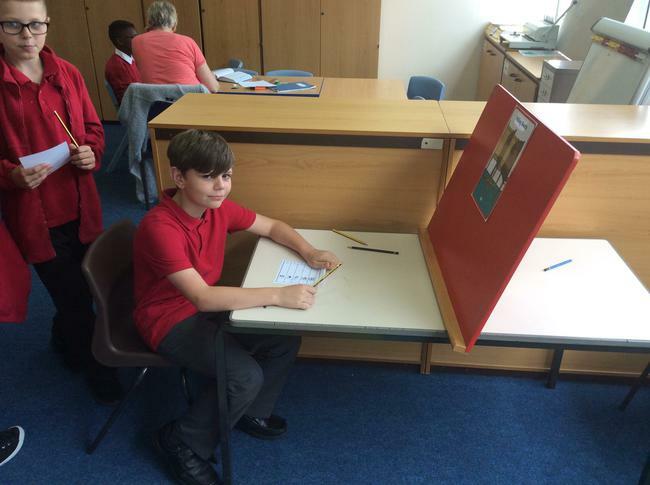 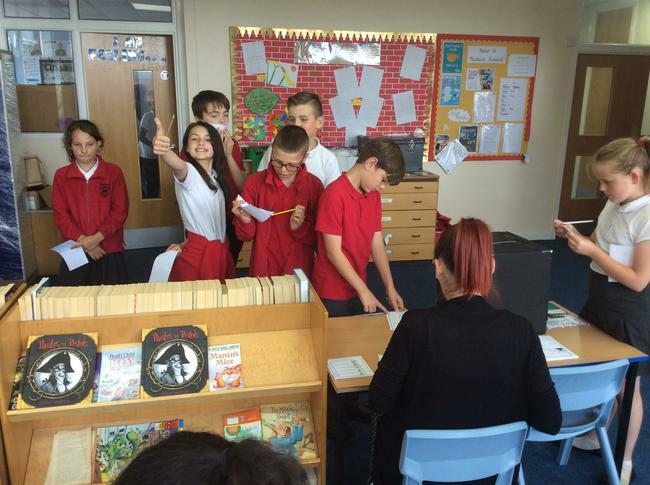 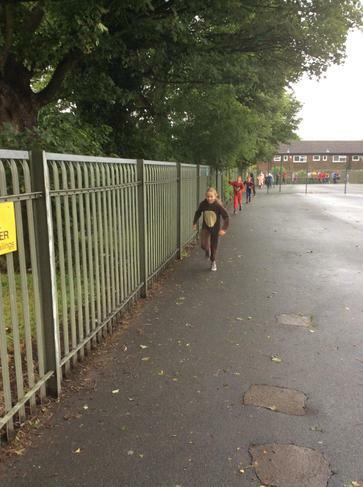 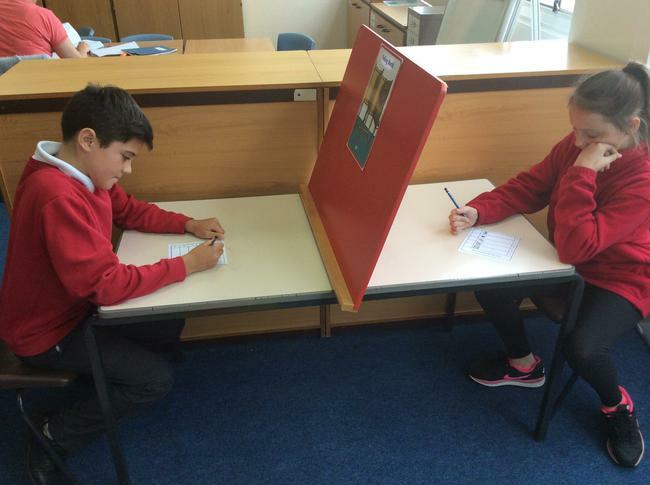 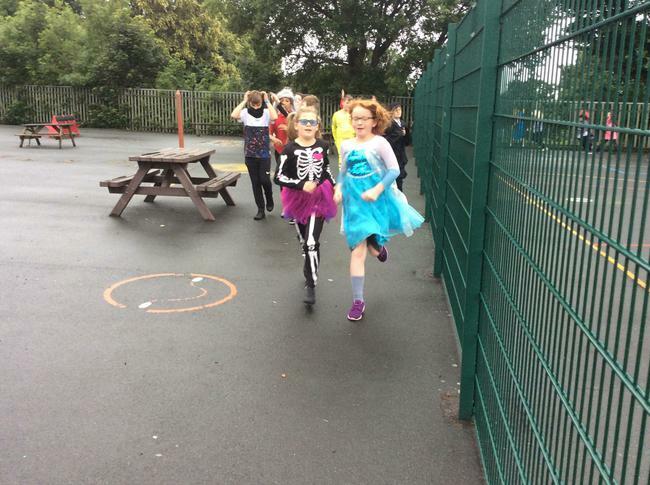 After receiving their polling cards, children were then ready to visit the polling station to cast their vote. 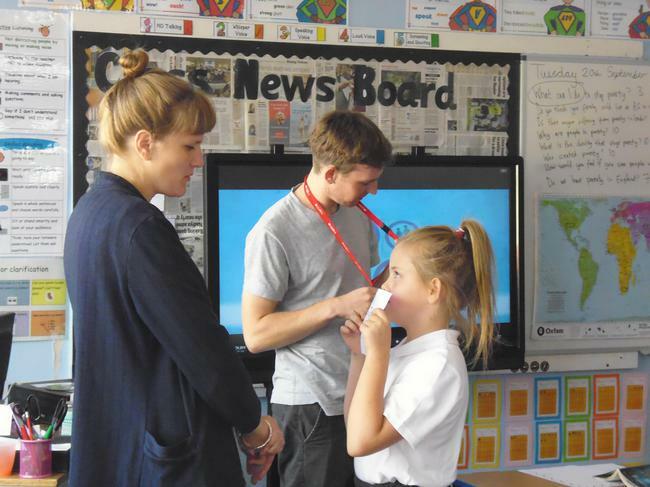 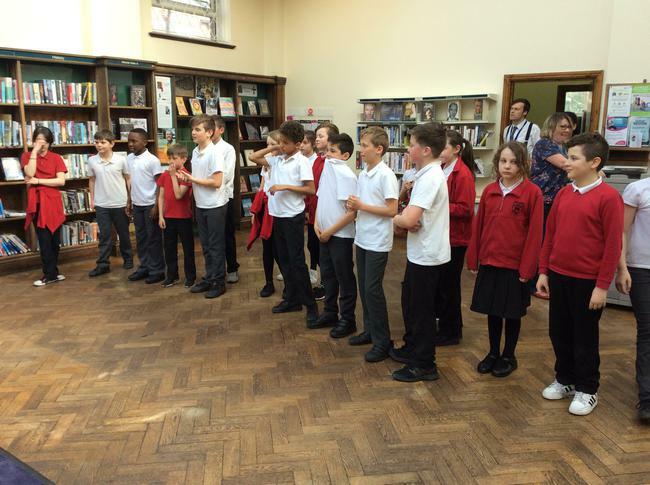 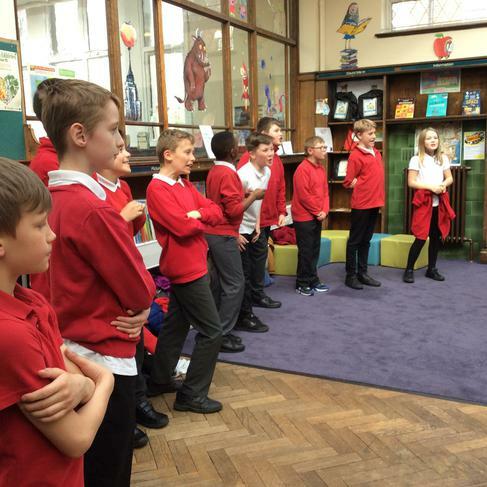 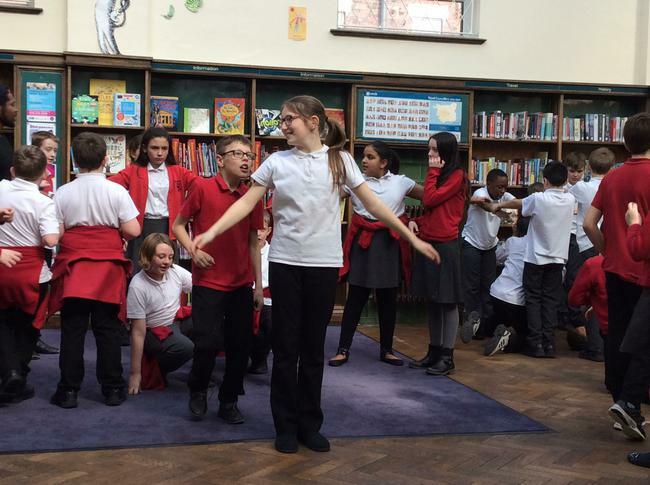 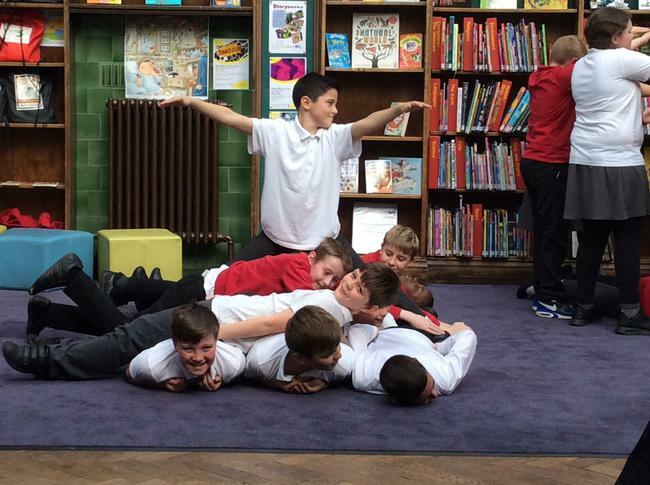 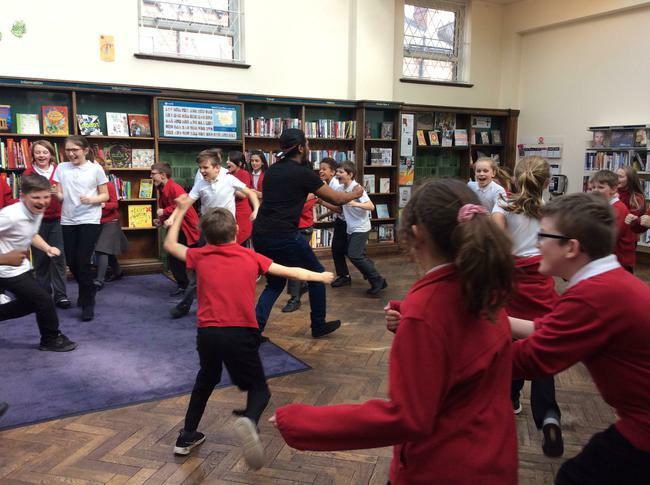 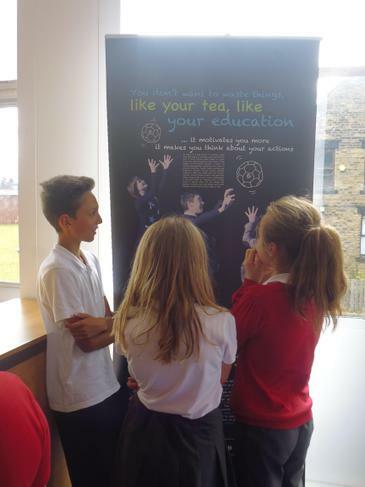 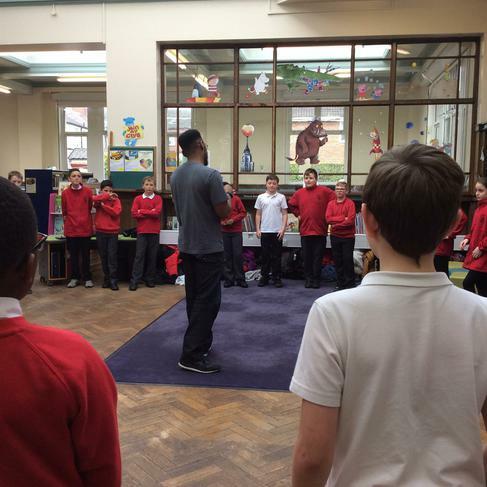 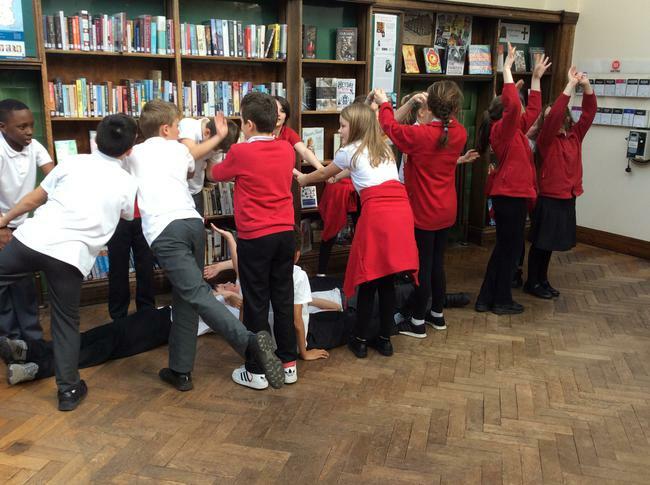 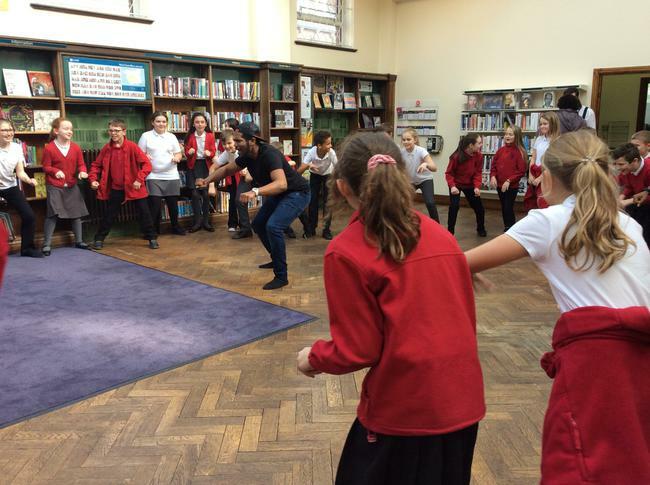 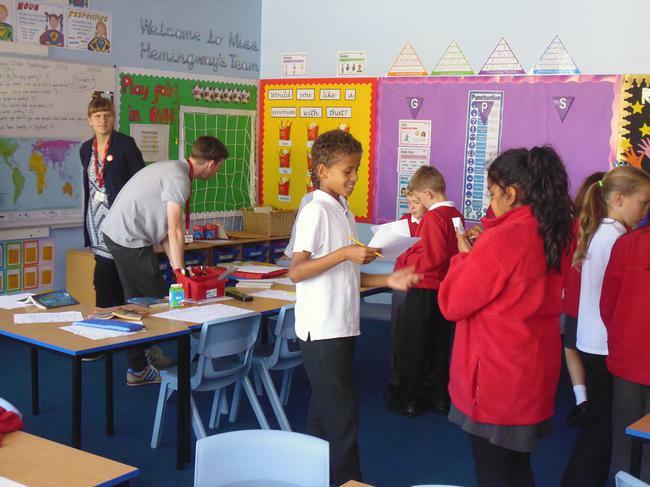 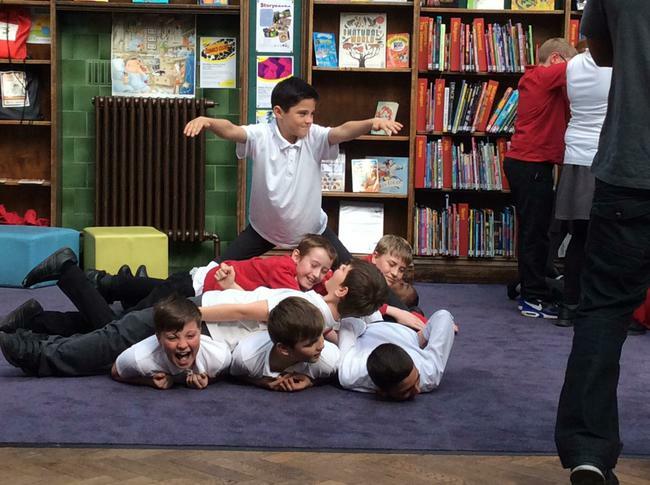 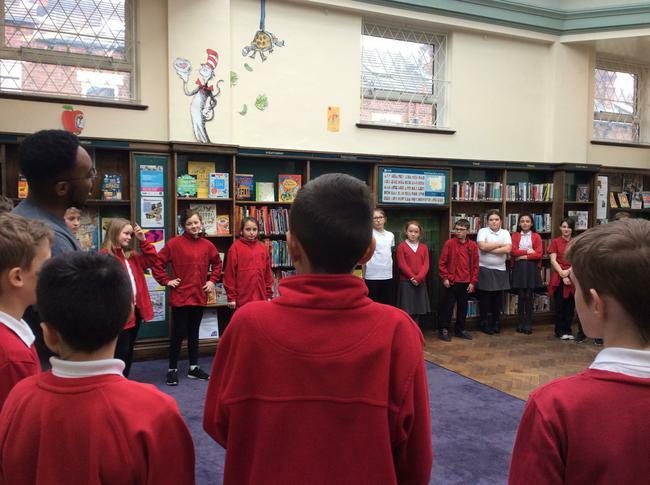 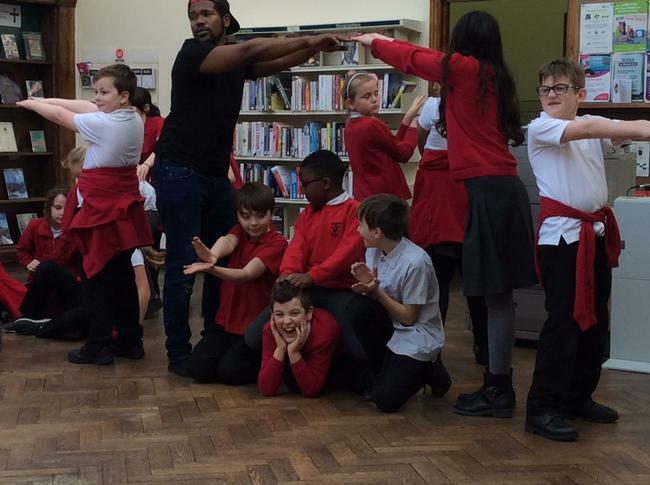 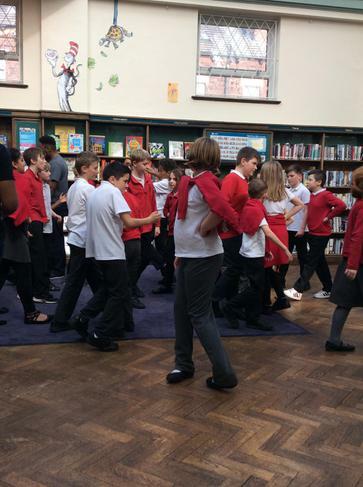 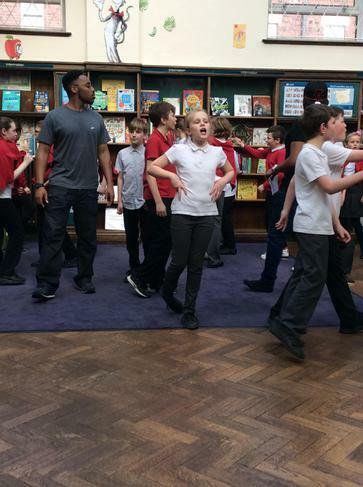 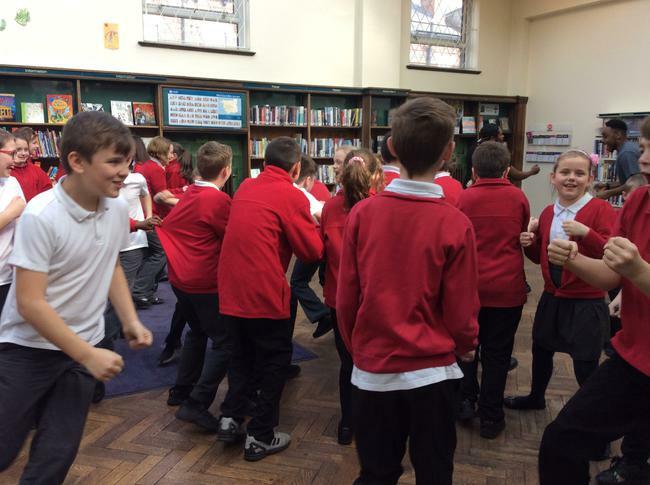 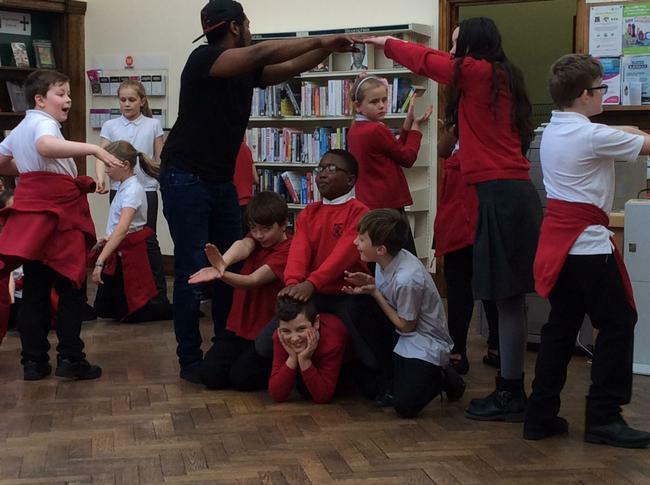 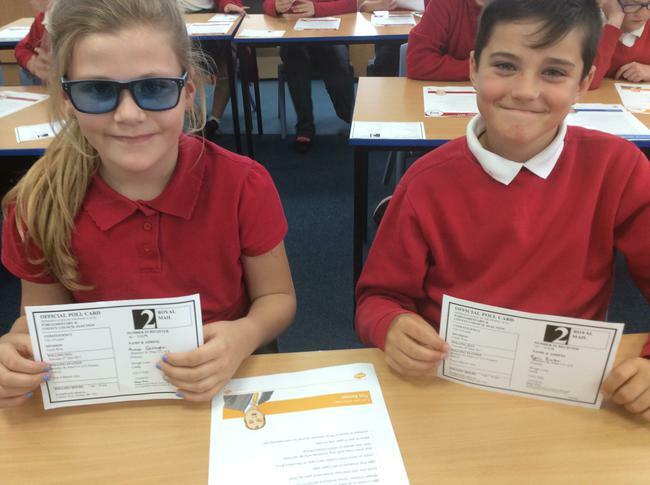 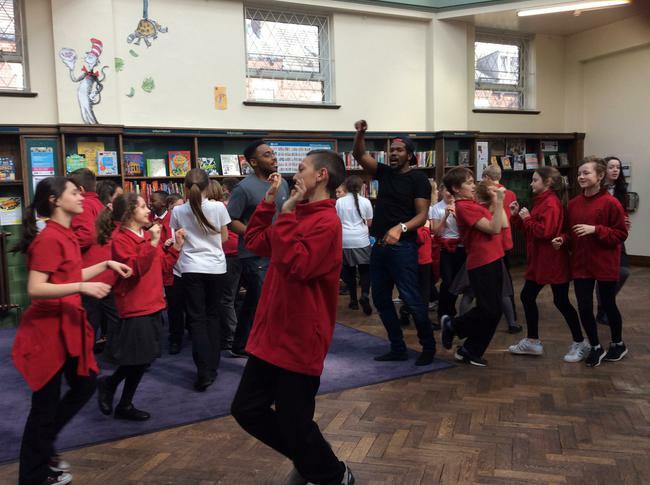 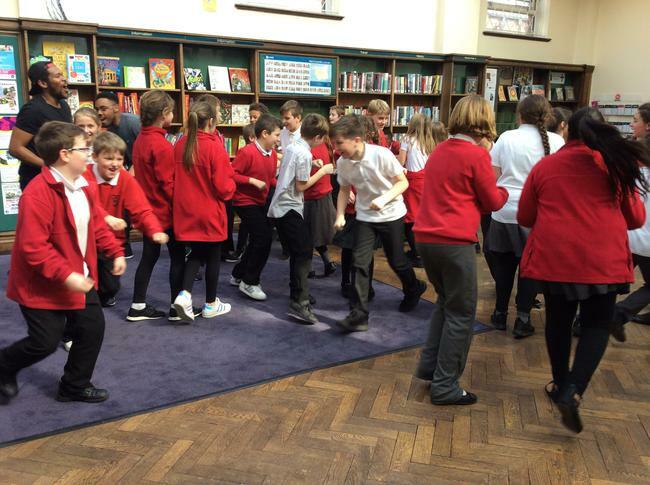 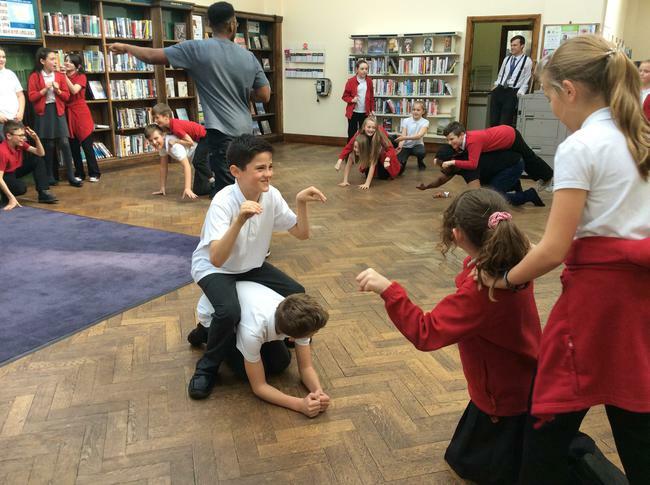 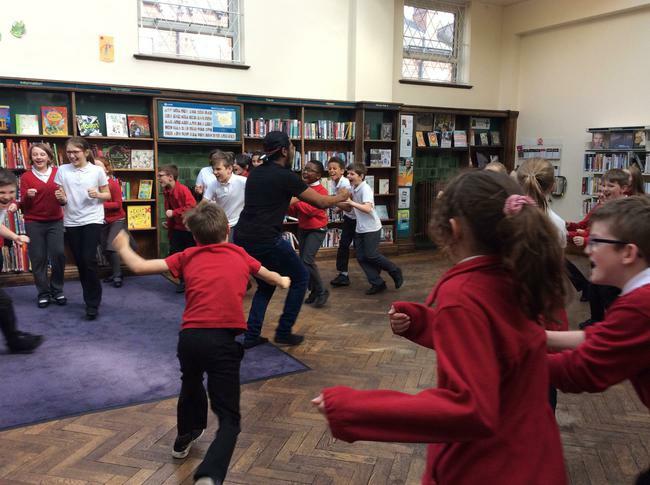 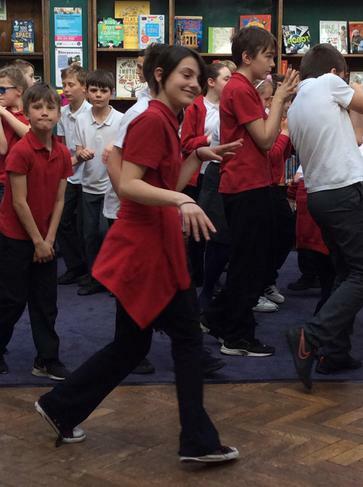 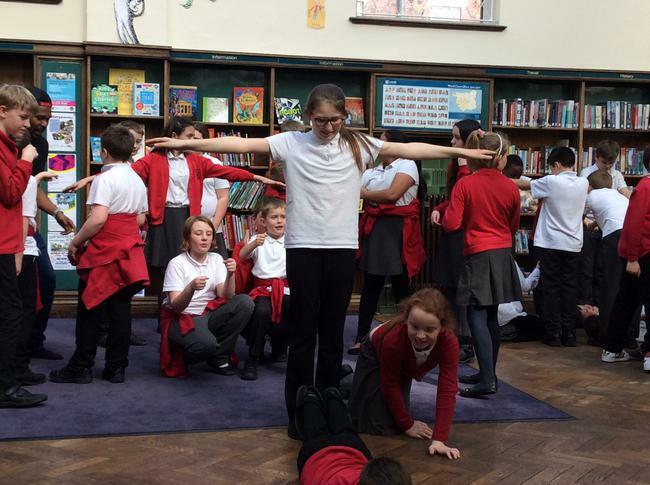 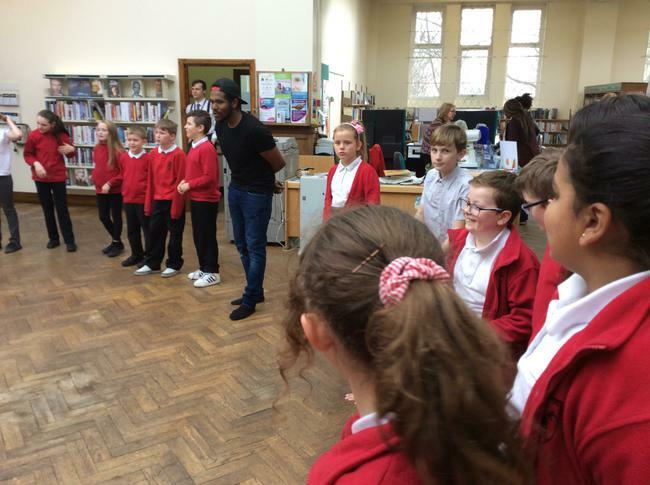 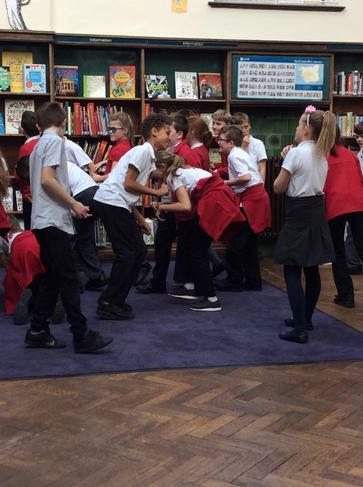 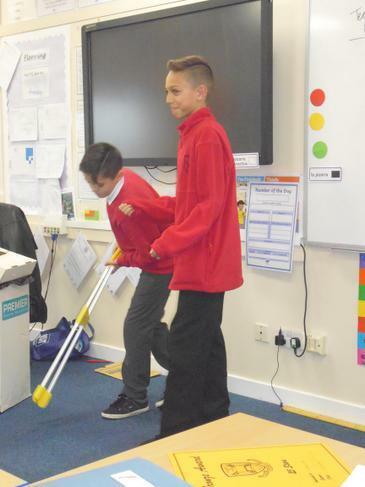 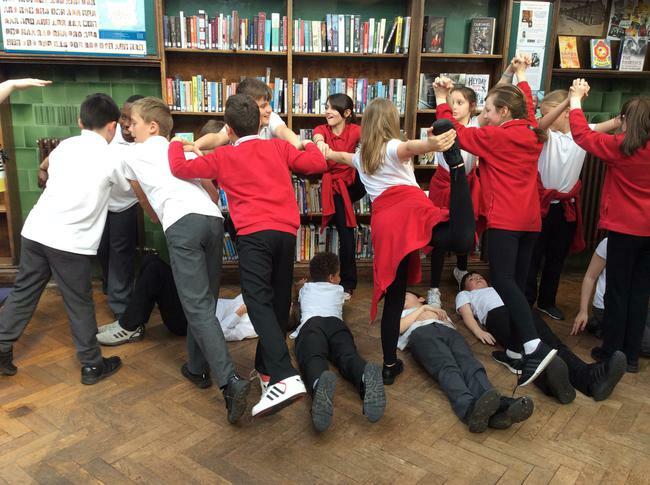 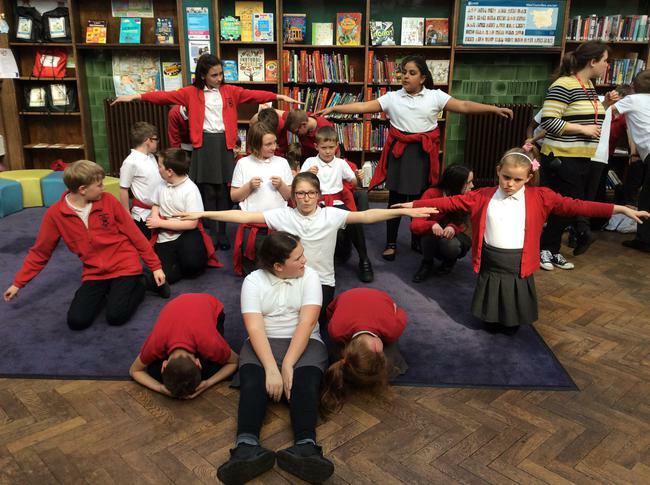 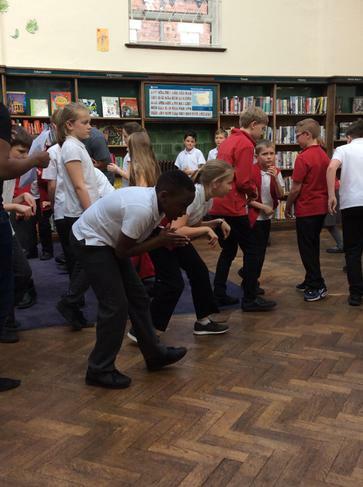 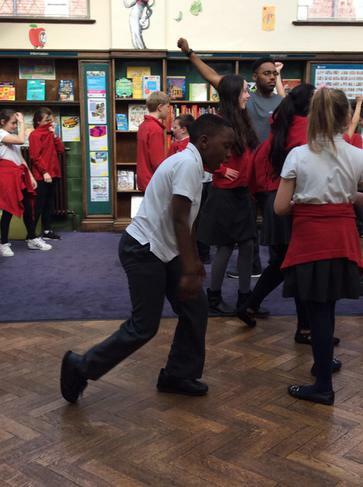 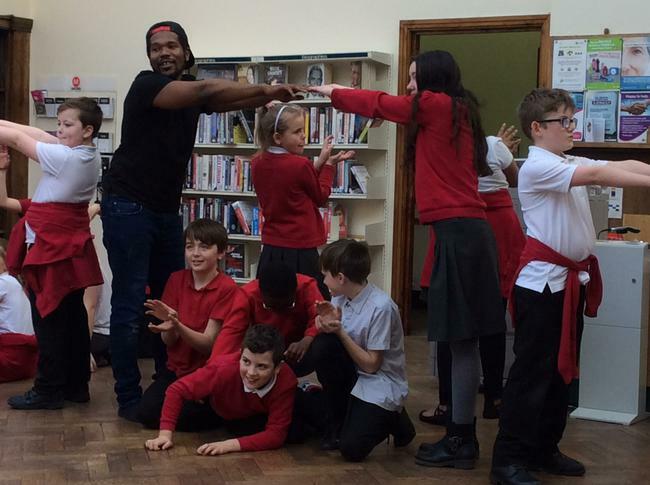 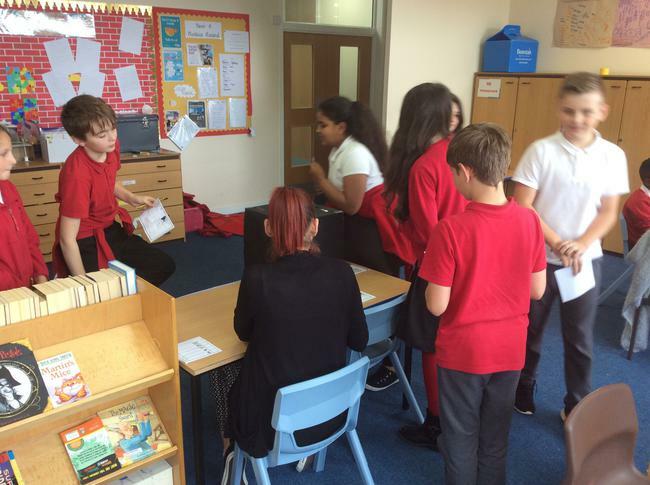 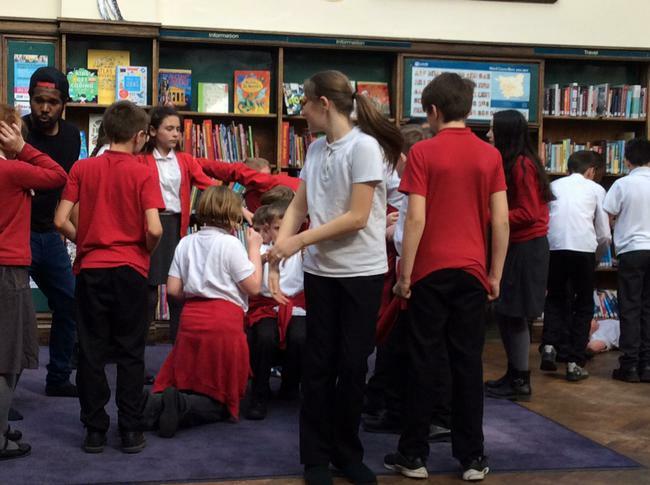 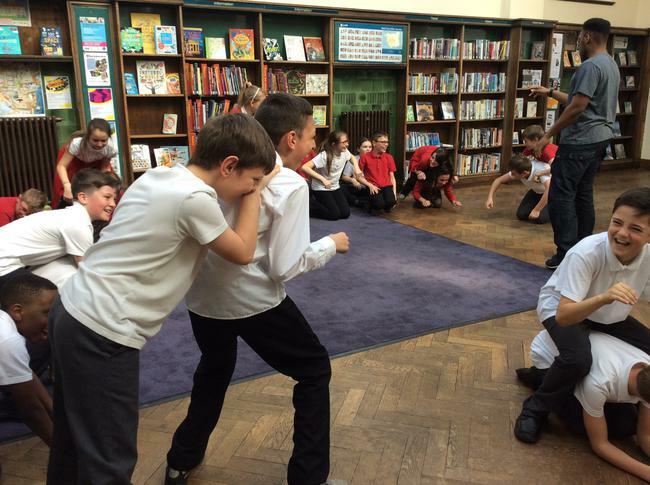 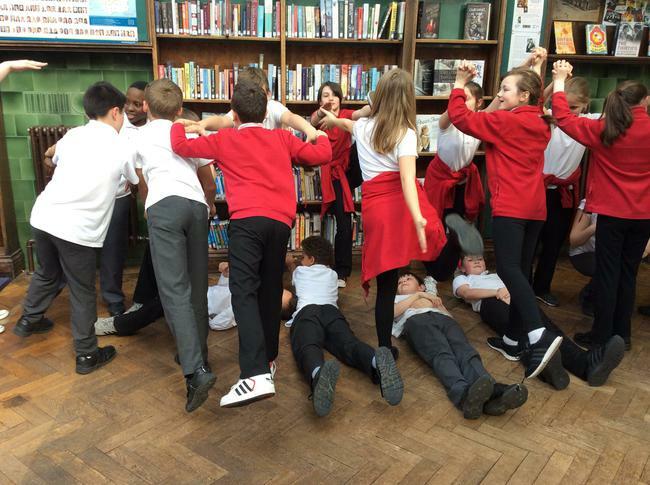 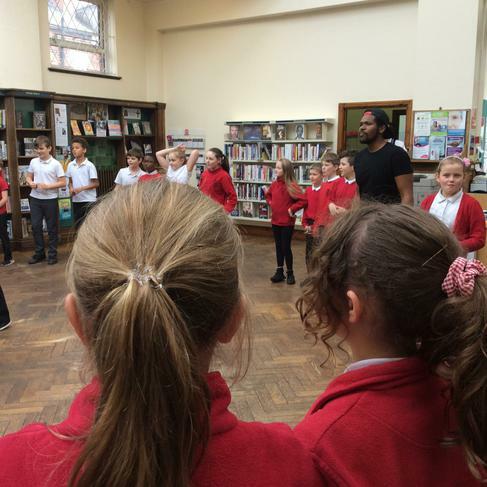 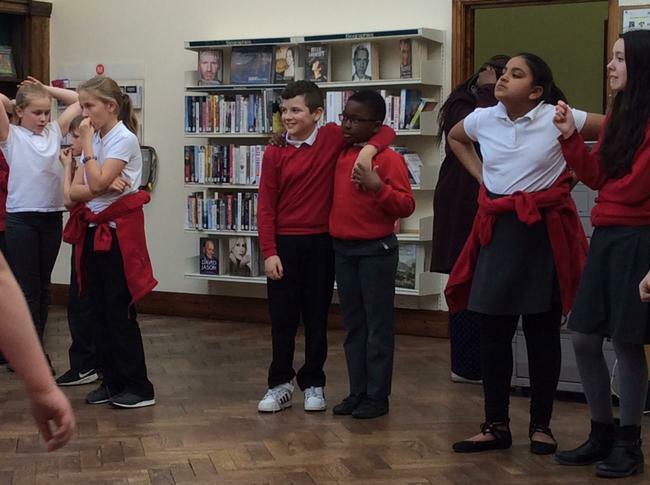 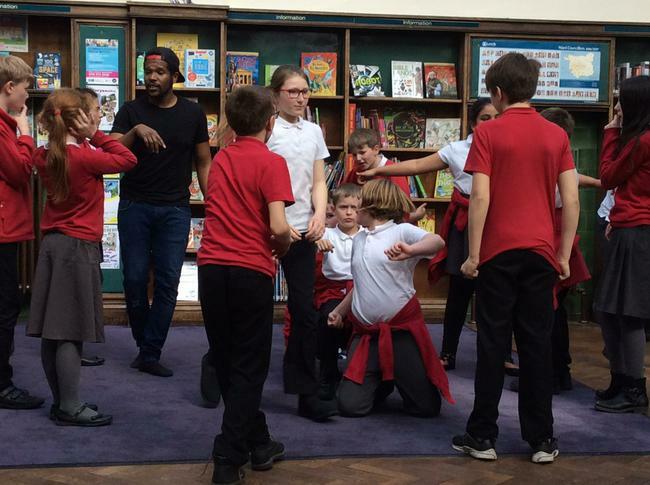 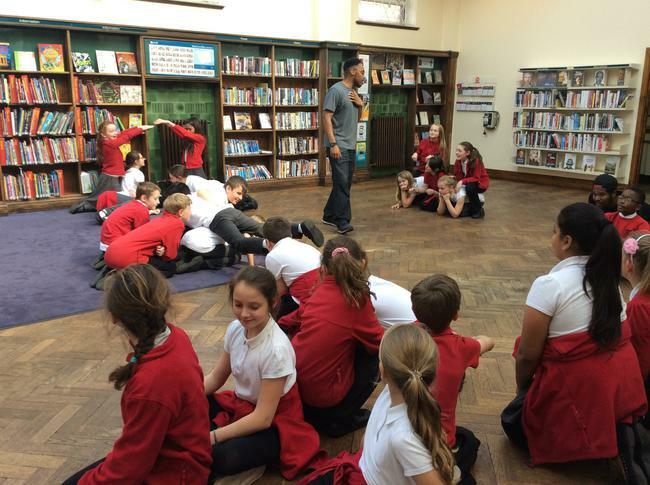 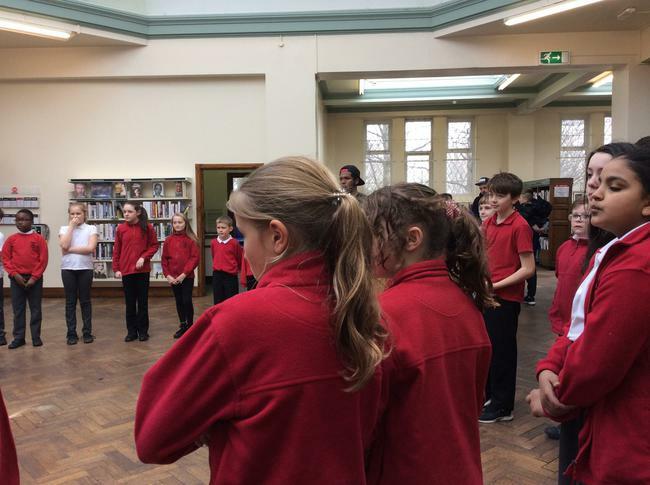 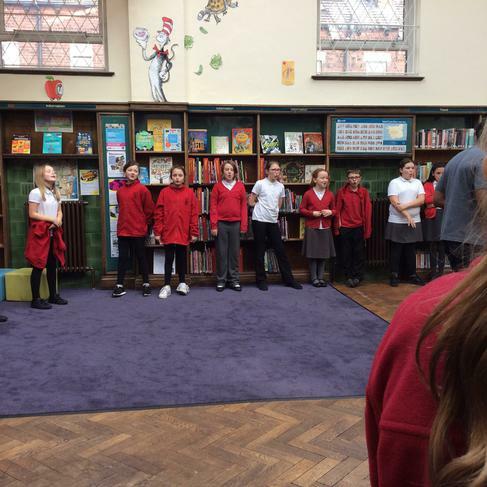 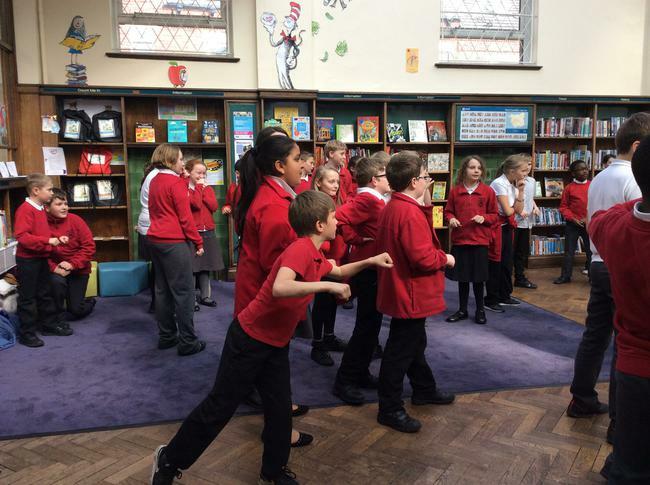 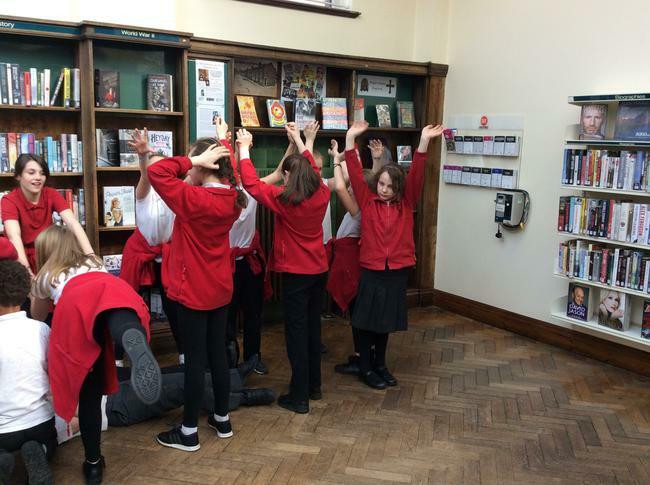 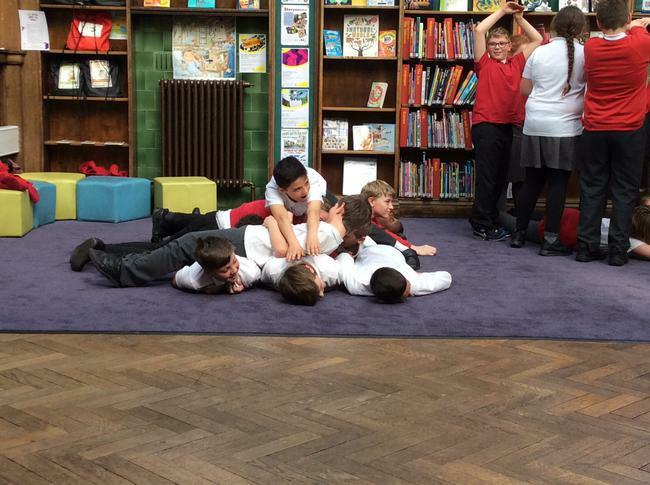 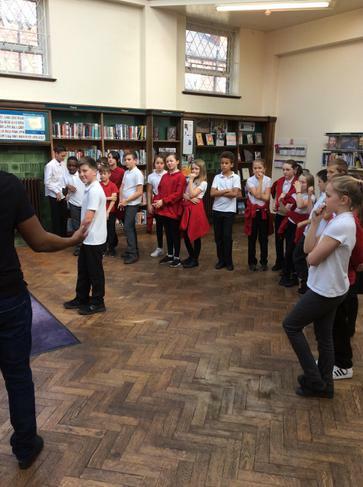 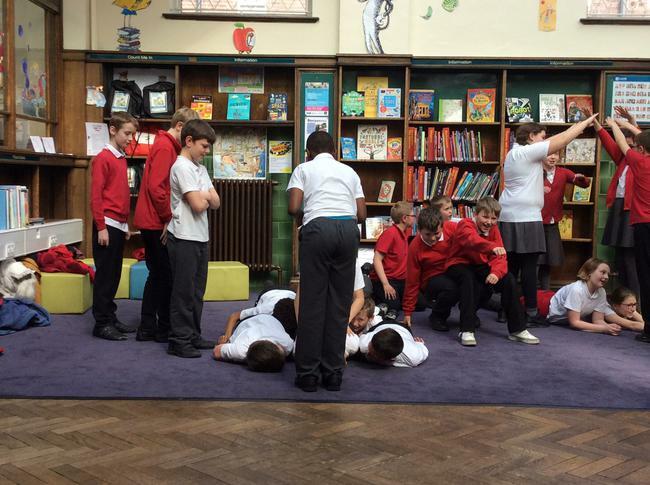 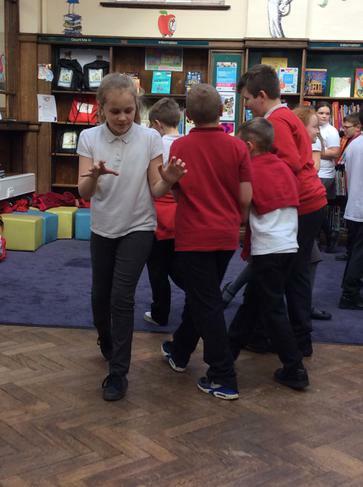 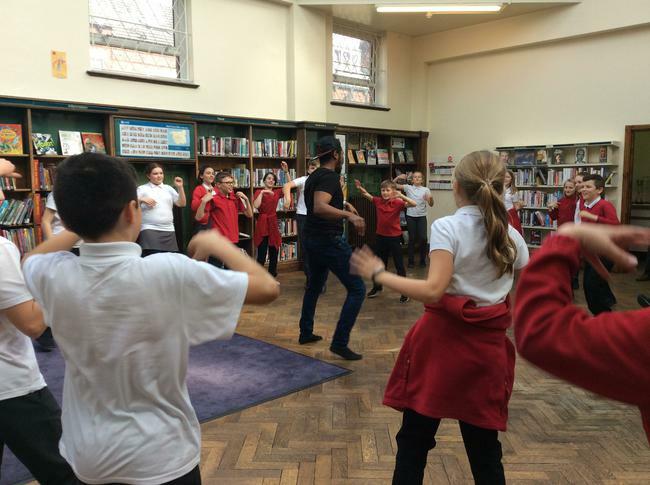 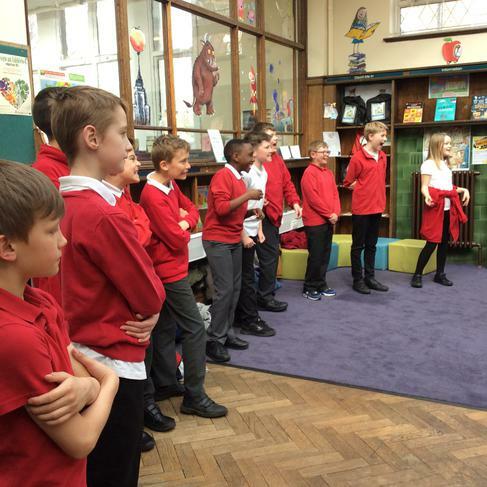 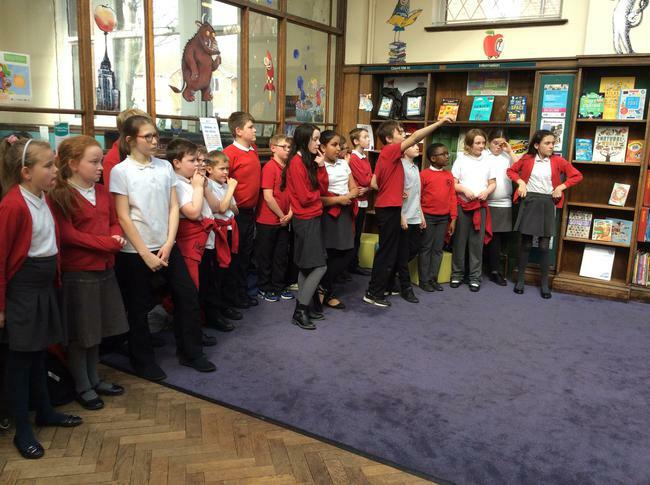 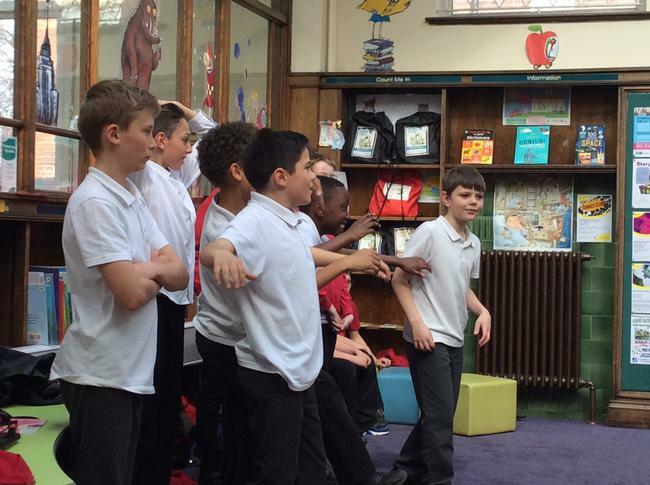 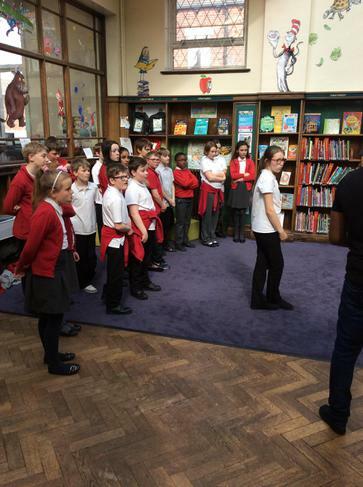 This week Year 6 went to Bramley Library to participate in a Chickenshop Shakespeare workshop. 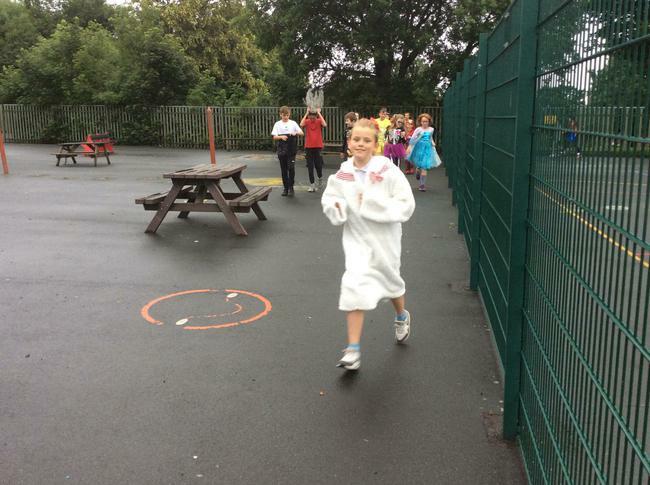 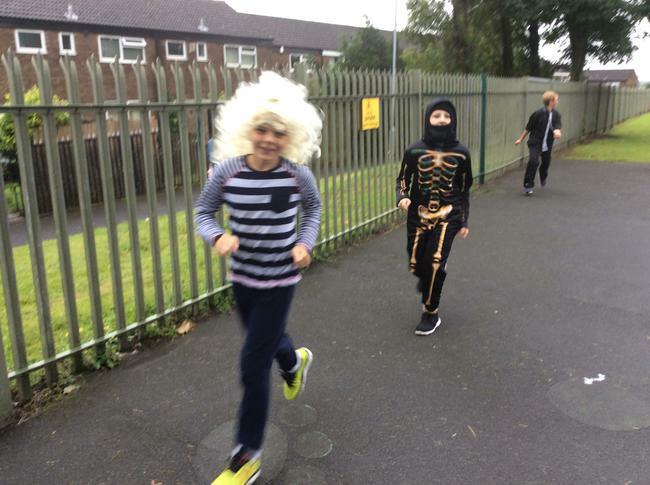 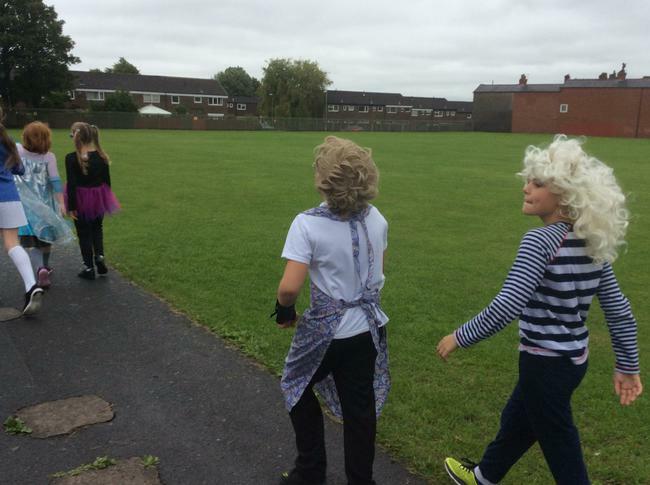 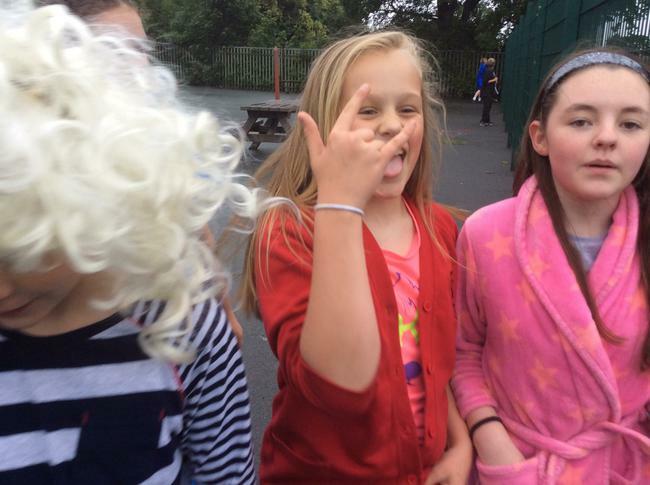 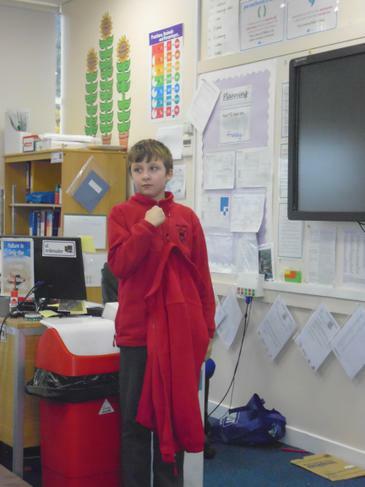 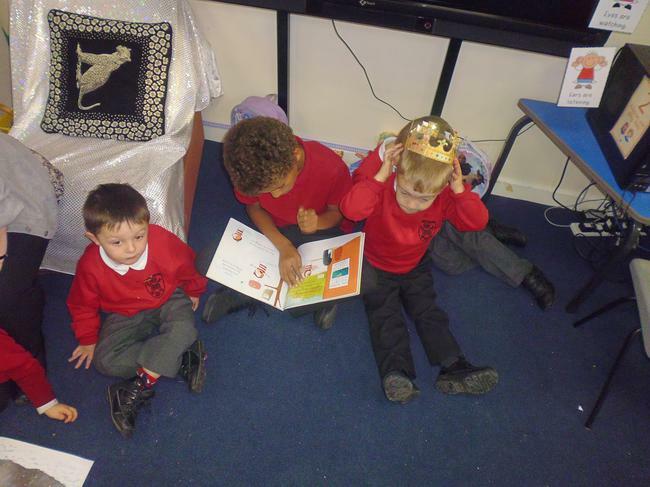 The children learnt about the story Romeo and Juliet and explored the characters through drama. 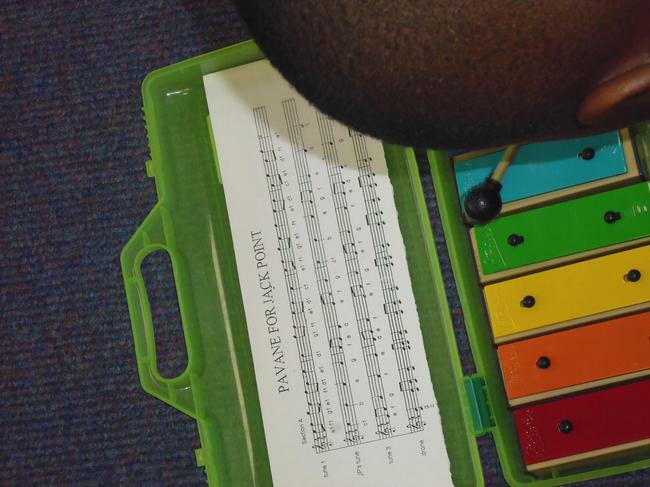 Please note: Violins are on a Wednesday not a Thursday. 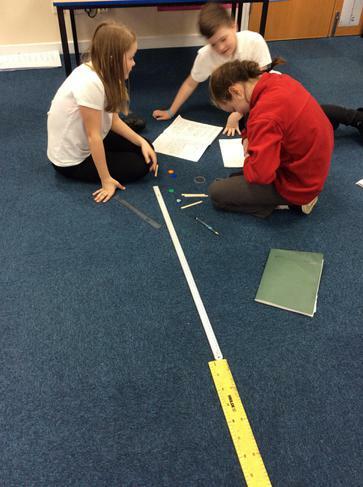 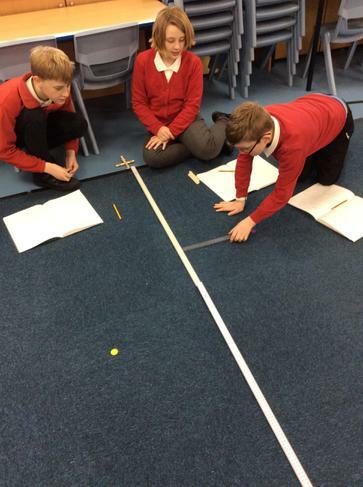 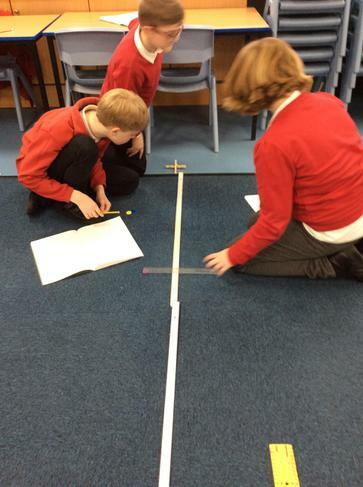 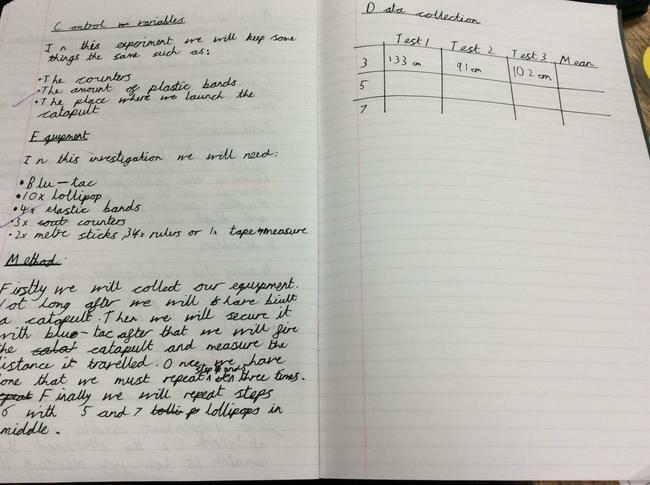 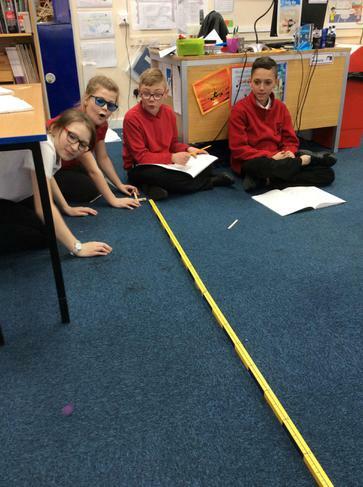 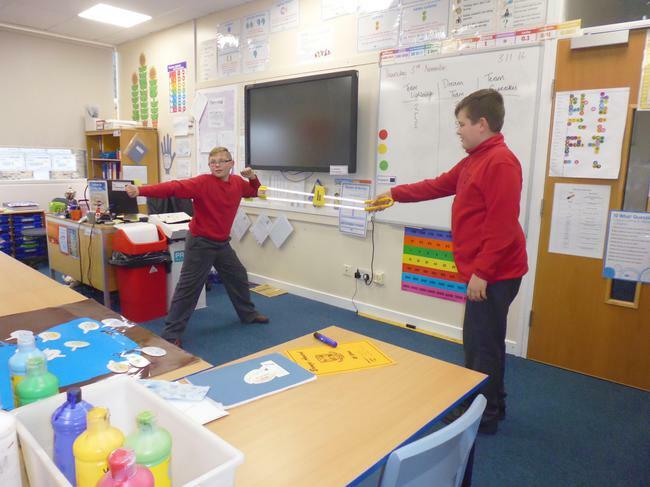 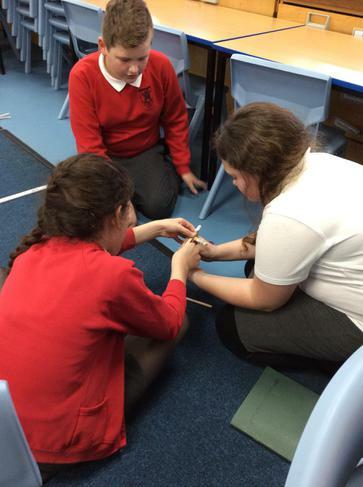 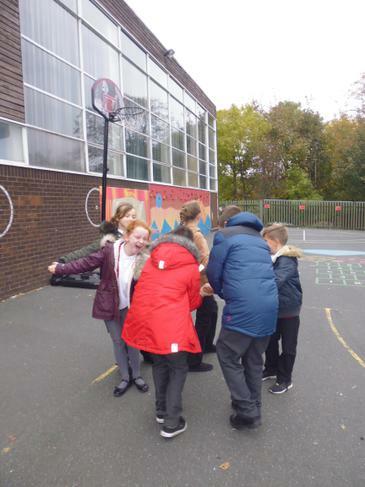 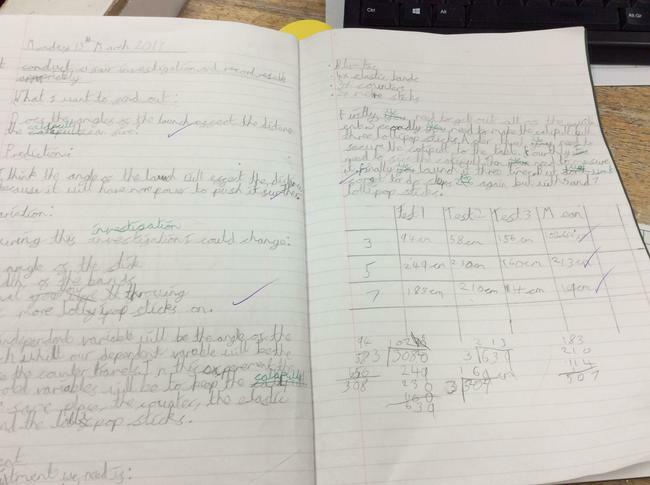 As part of science week, Year 6 have been busy planning an investigation to test whether the angle on launch of a catapult has an impact on the distance a counter can be fired. 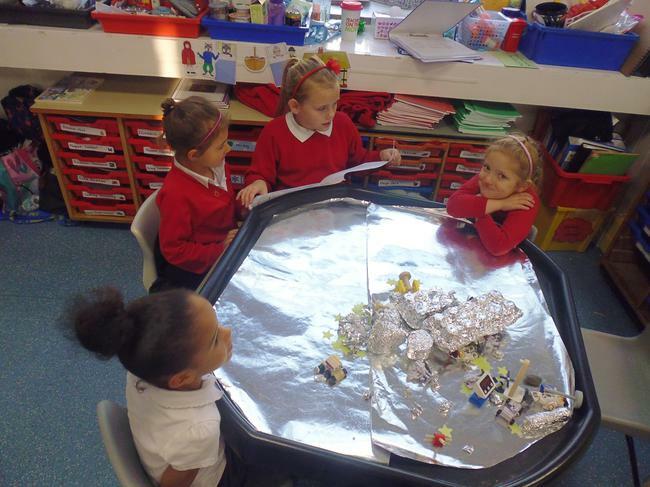 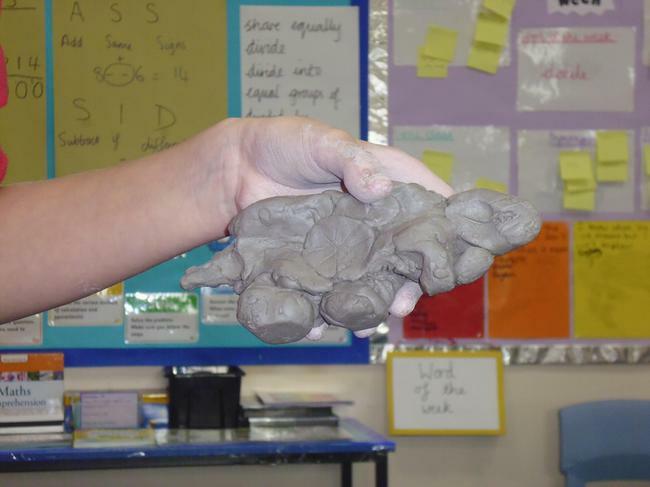 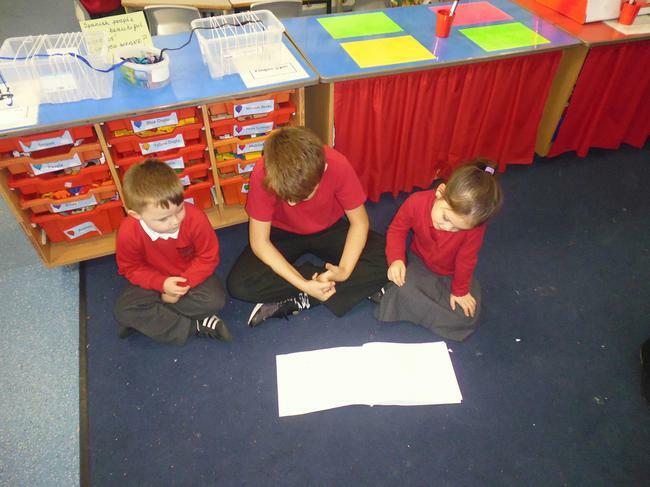 They then conducted their investigation, caluclated and the mean and considered the findings. 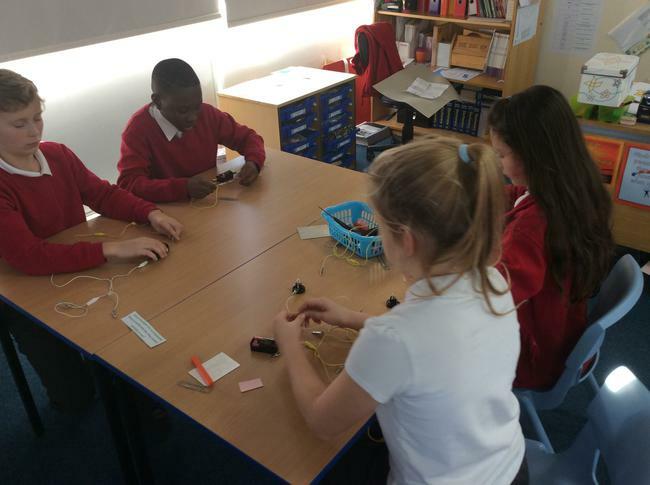 Finally, they used what they had learnt to design their own catapults for a class competition. 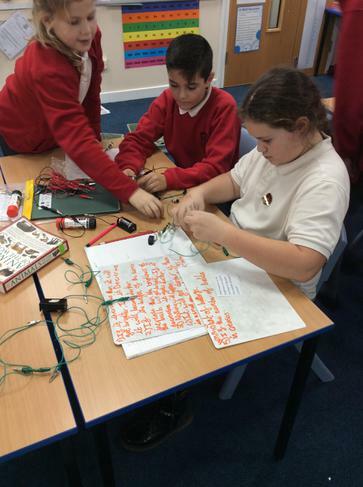 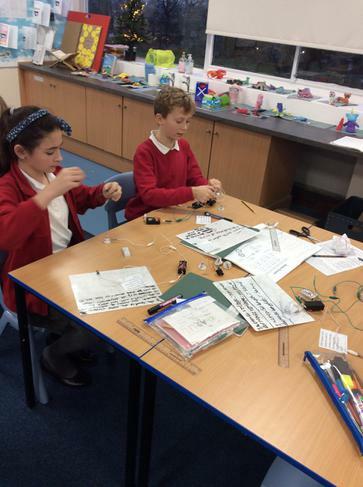 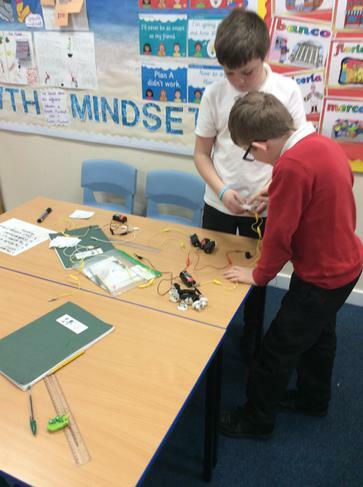 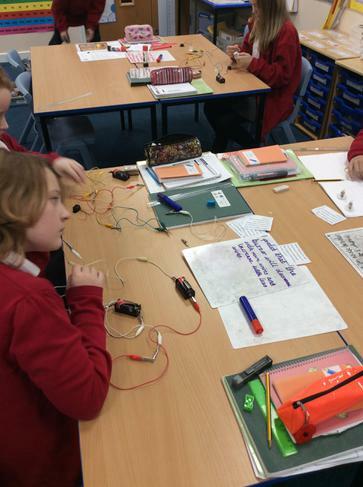 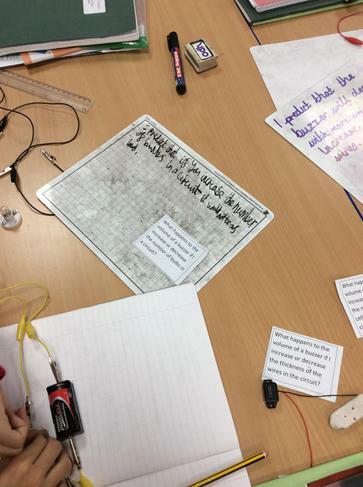 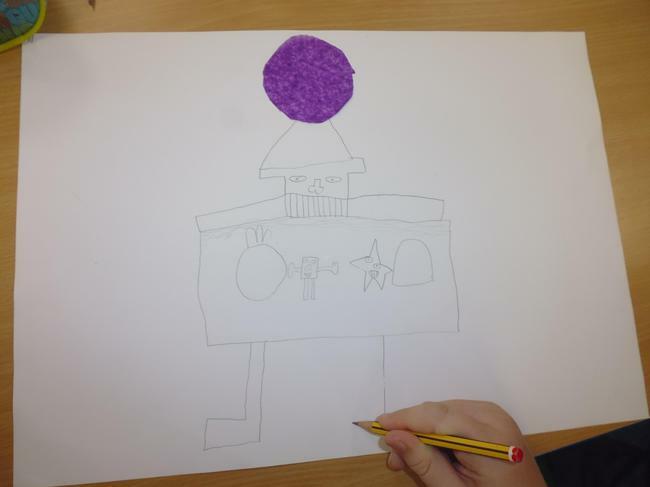 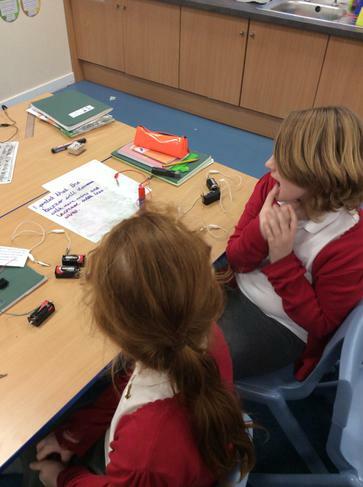 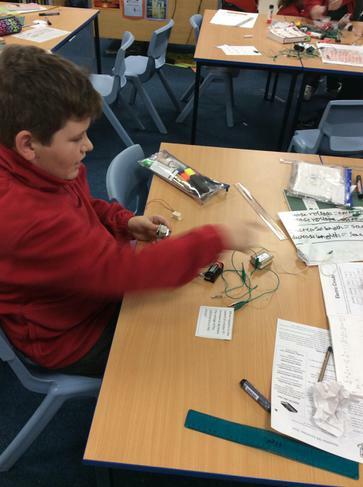 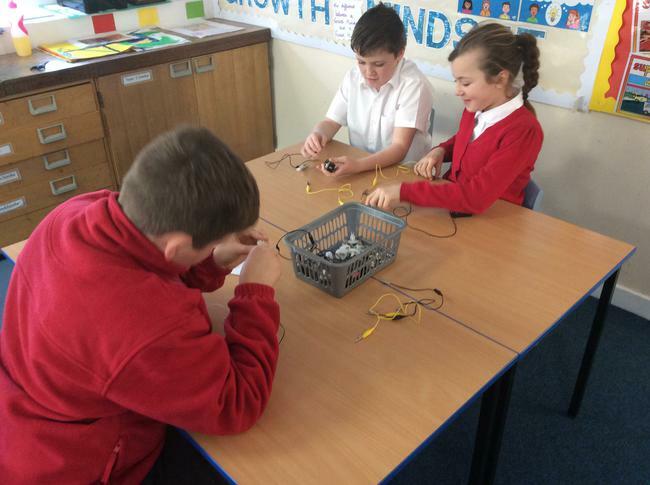 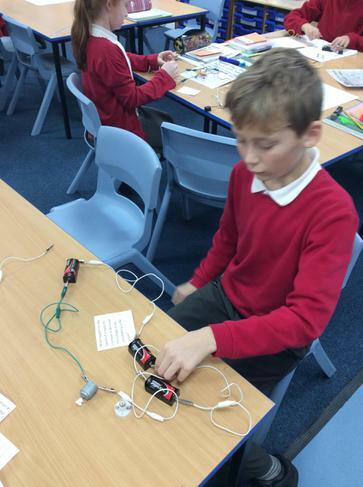 This half term, in science, Year 6 have been learning about electricity and have been making electrical circuits. 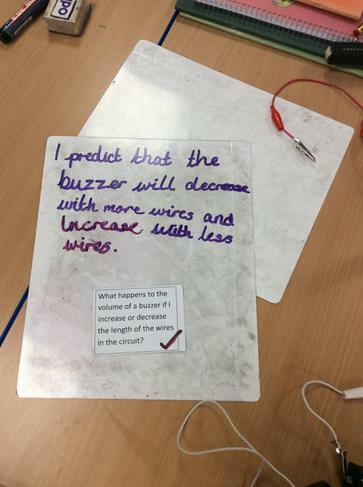 During this lesson 6HC answered a series of questions about circuits, first predicting the outcomes and then testing these. 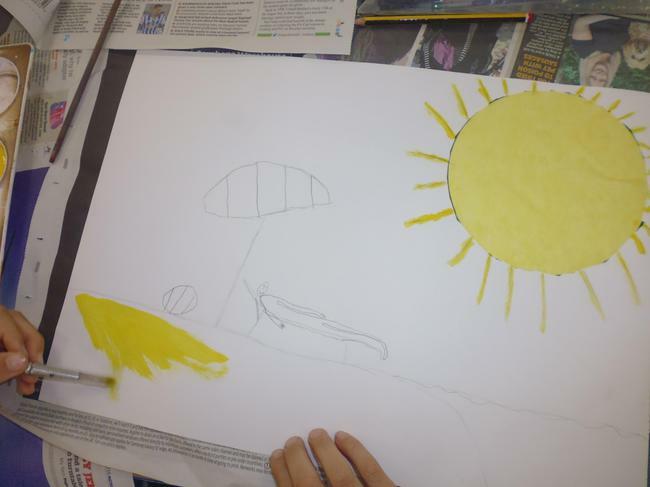 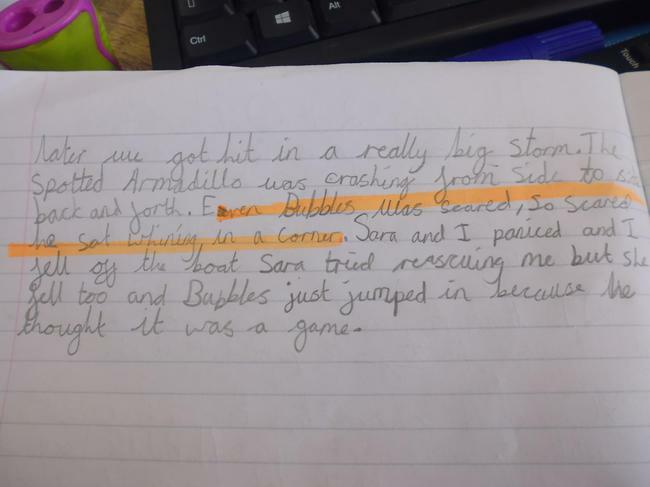 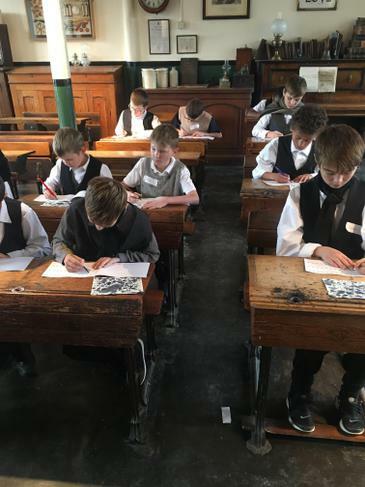 This half term, Year 6 have been learning about what life was like in Victorian Britain. 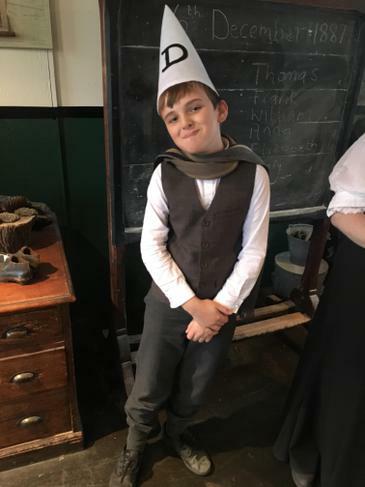 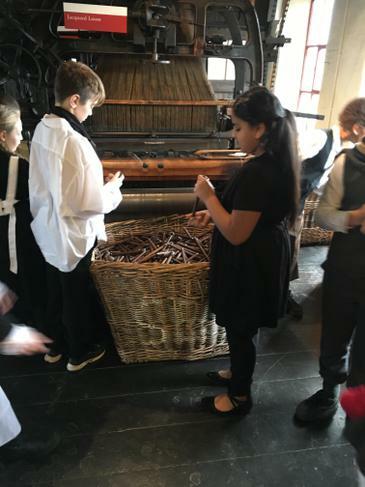 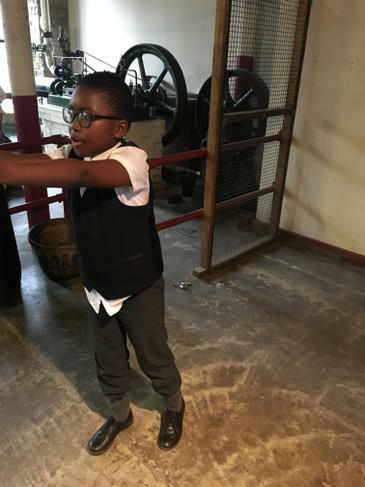 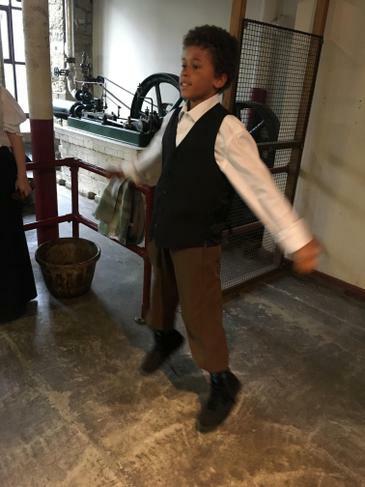 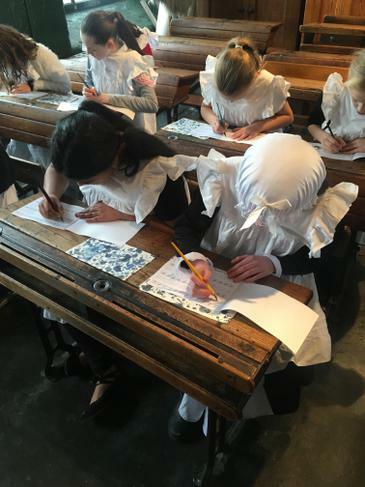 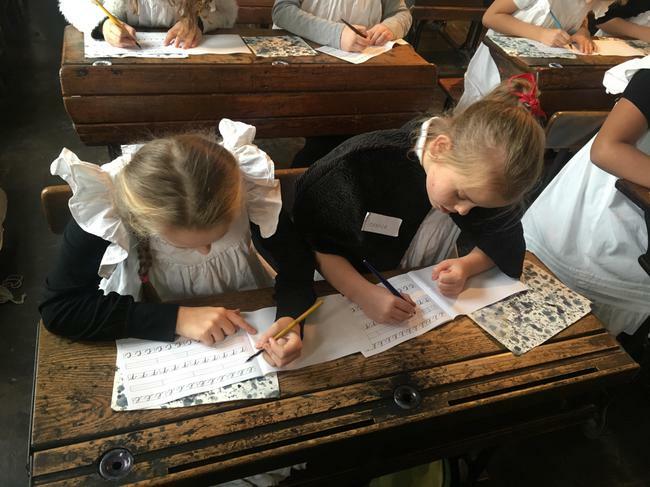 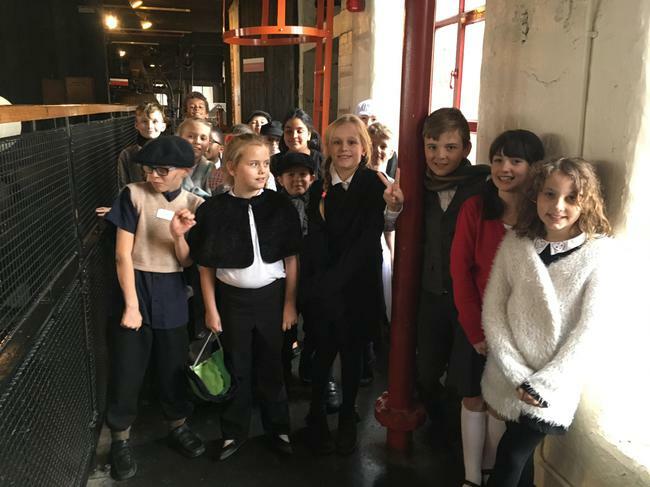 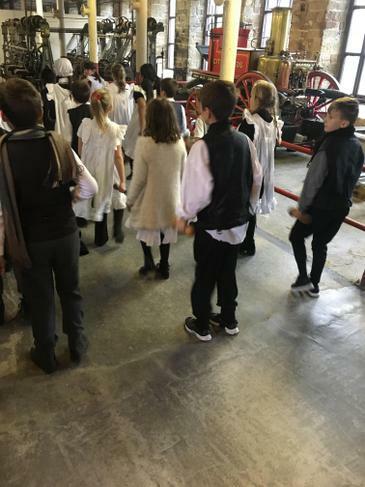 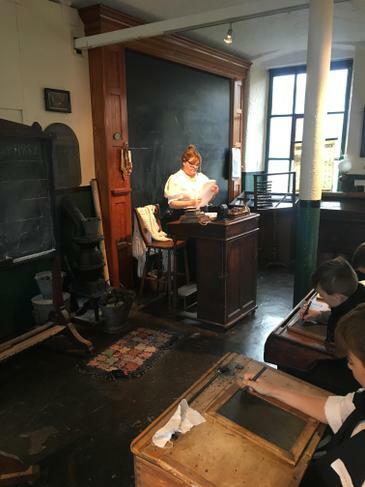 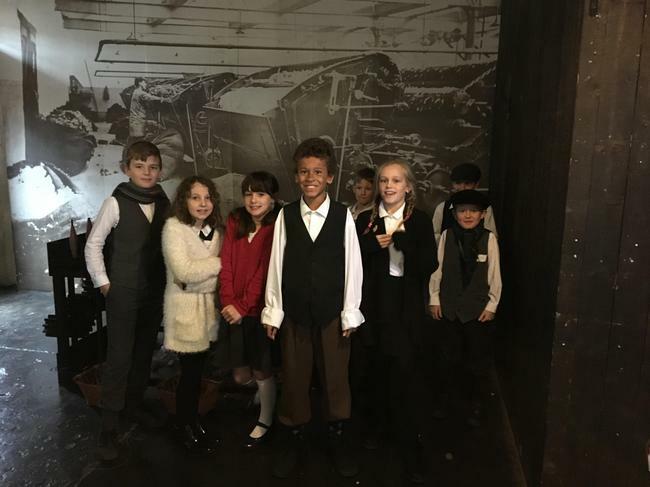 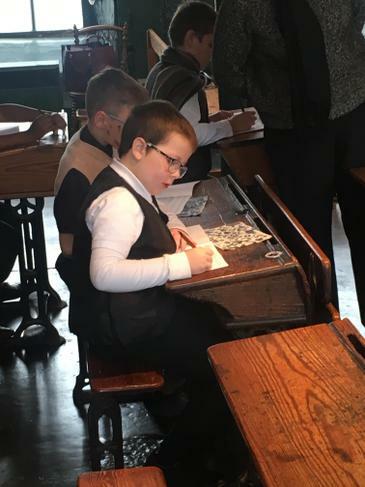 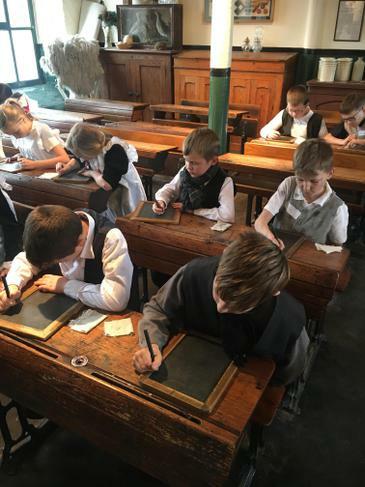 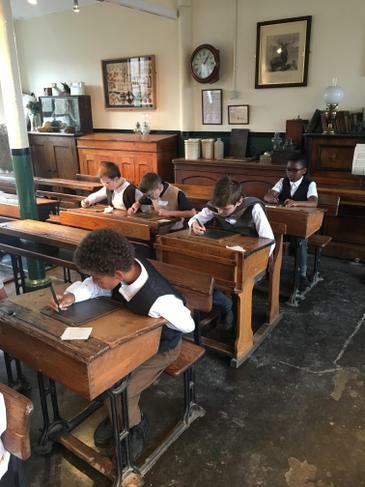 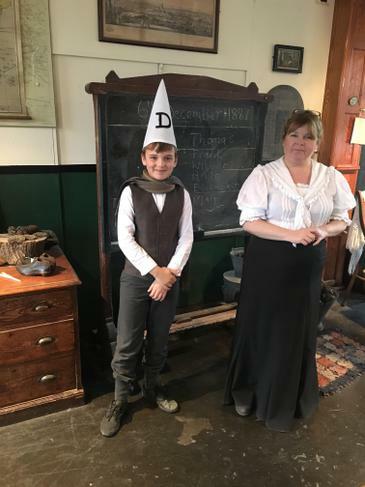 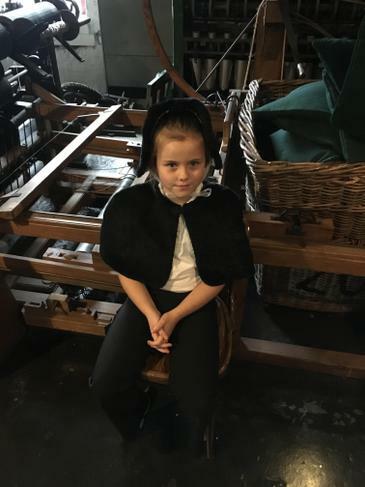 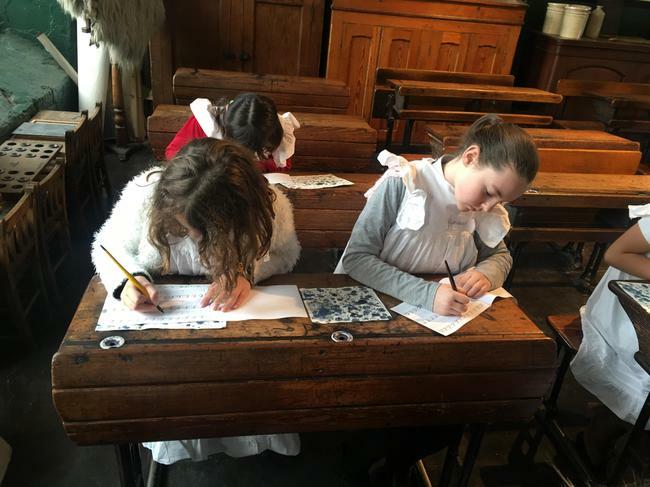 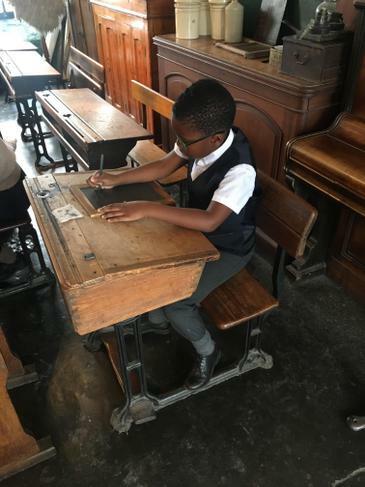 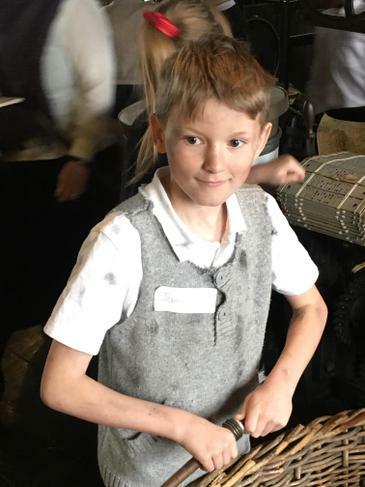 This week we went to Armley Mills so that the children could experience what life in a Victorian classroom would have been like. 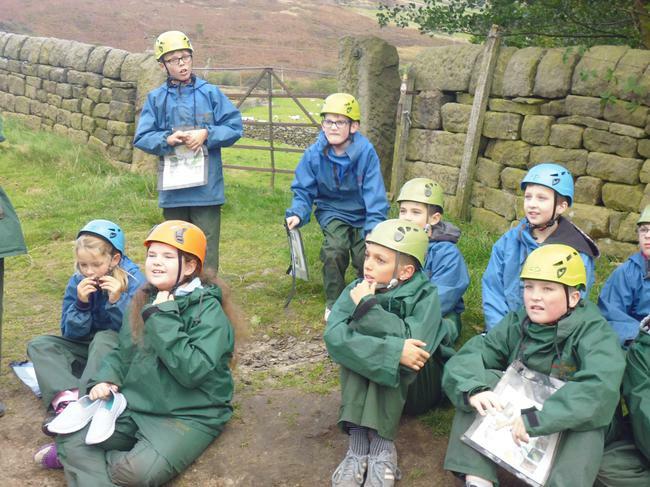 Have a look at some of the pictures from the day below. 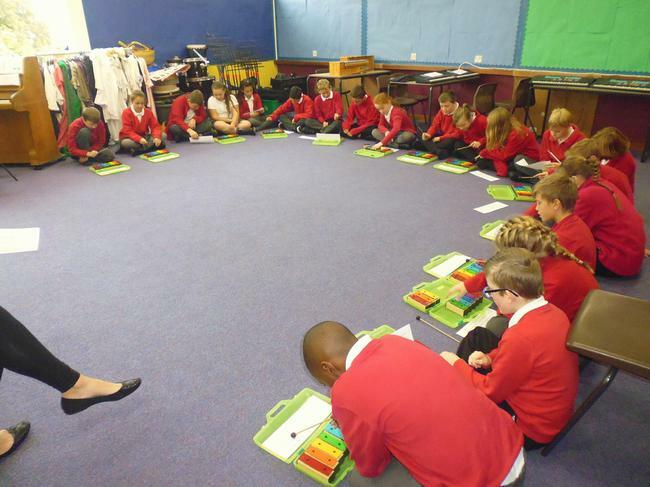 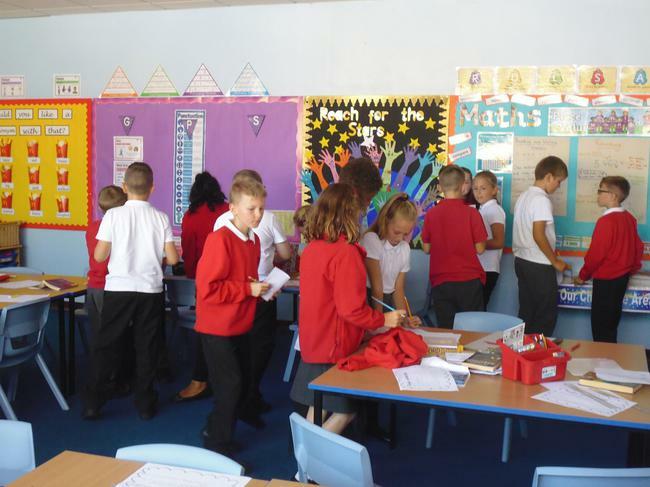 This week Year 6 have been learning how to multiply and divide proper fractions. 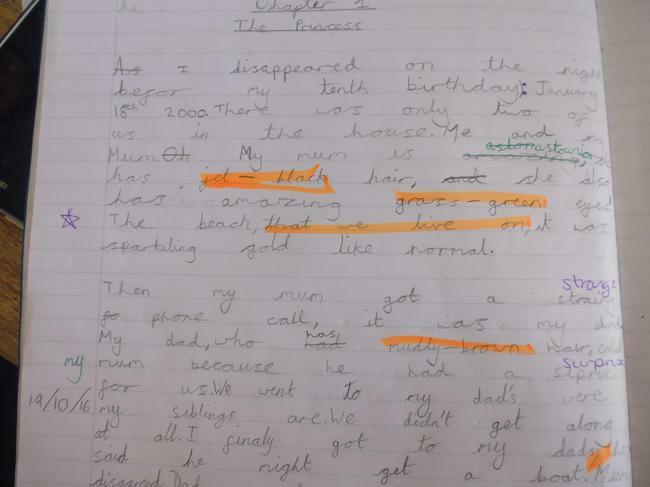 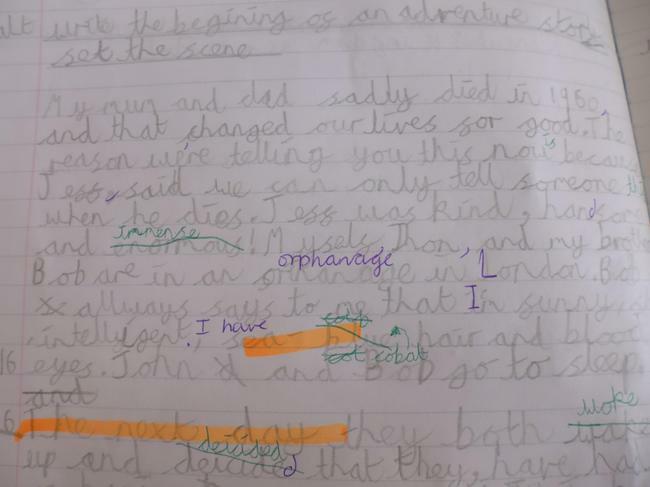 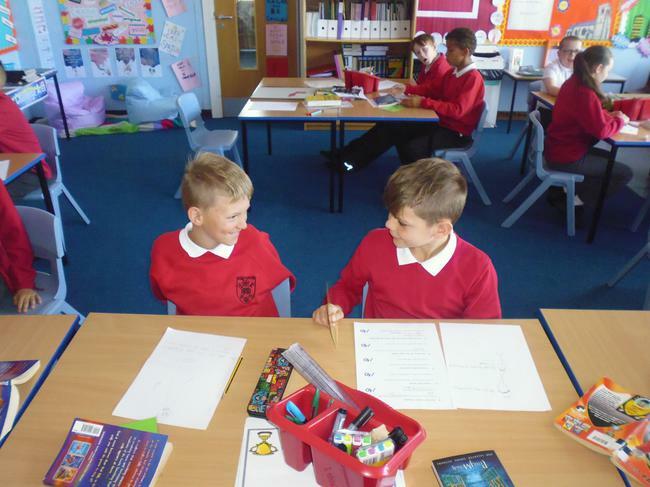 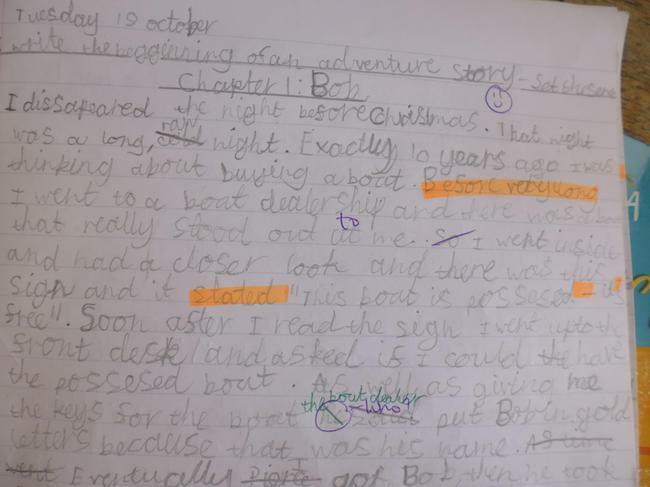 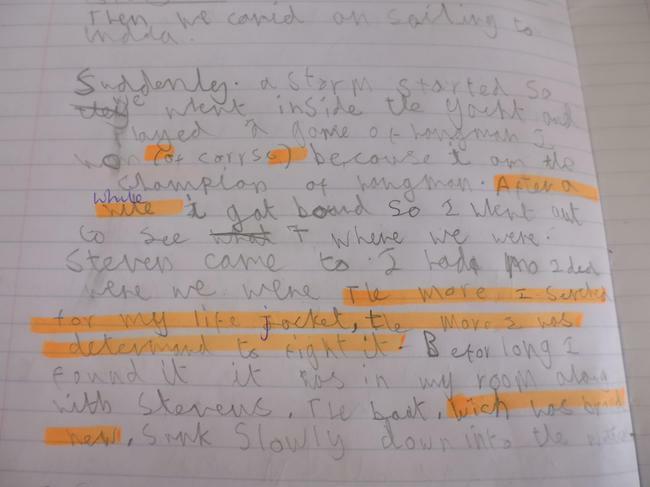 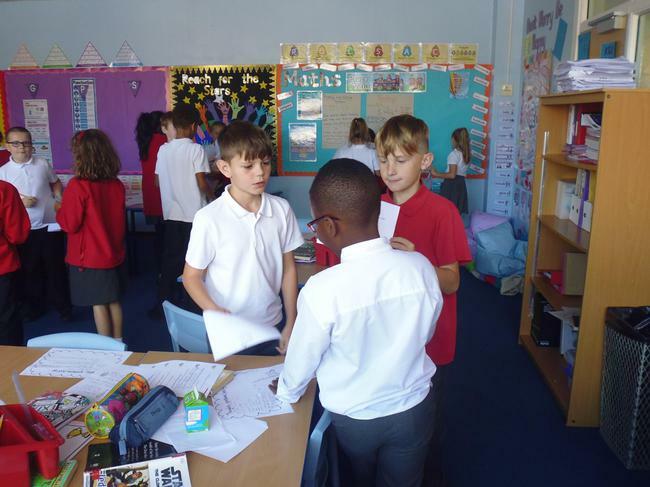 As part of our Growth Mindset Launch Week, Year 6 were asked to write their own stories about making a mistake, with the message that it is okay to make mistakes, for their buddies. 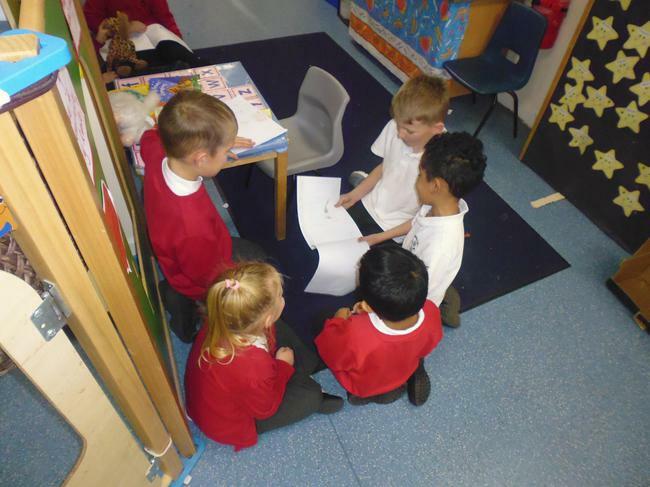 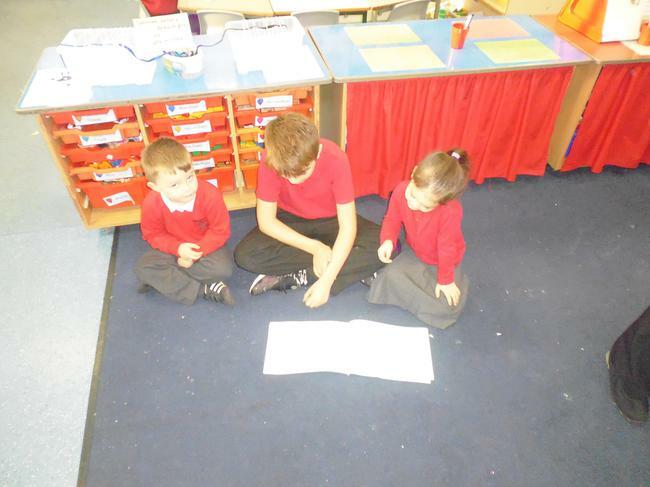 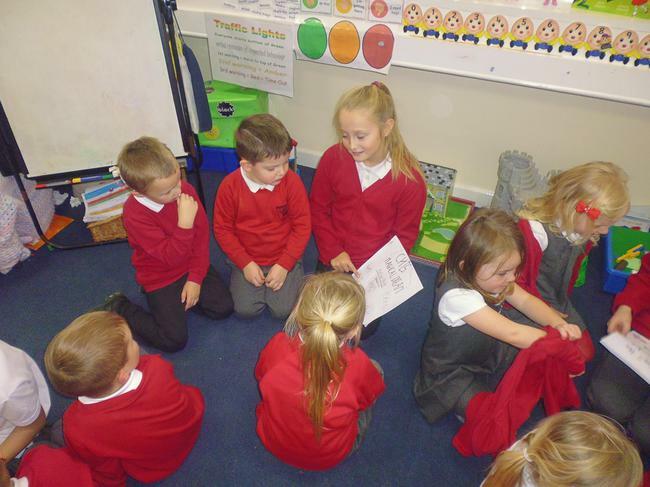 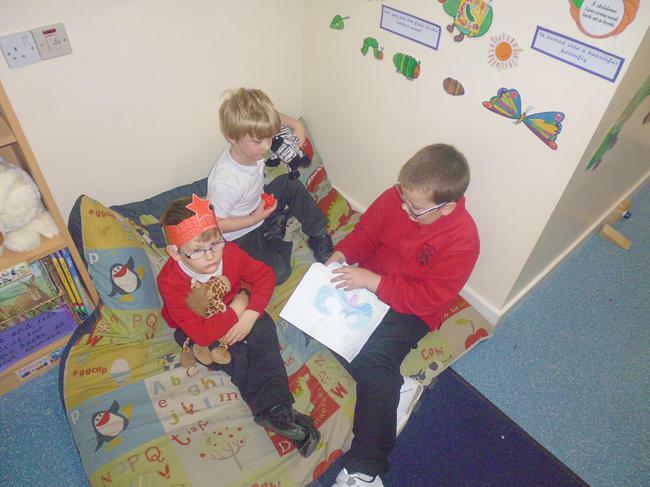 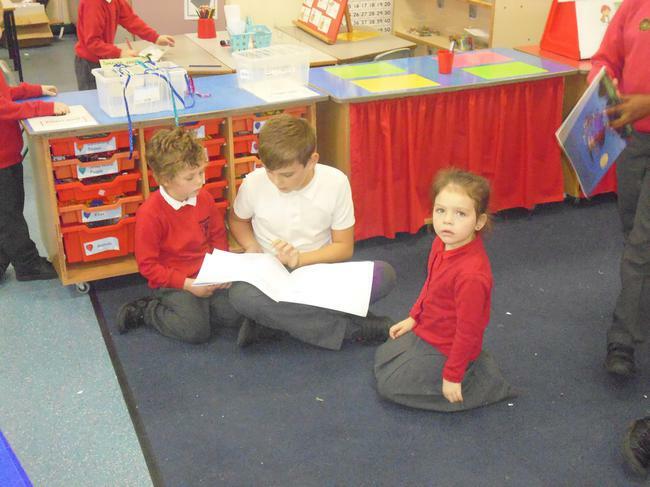 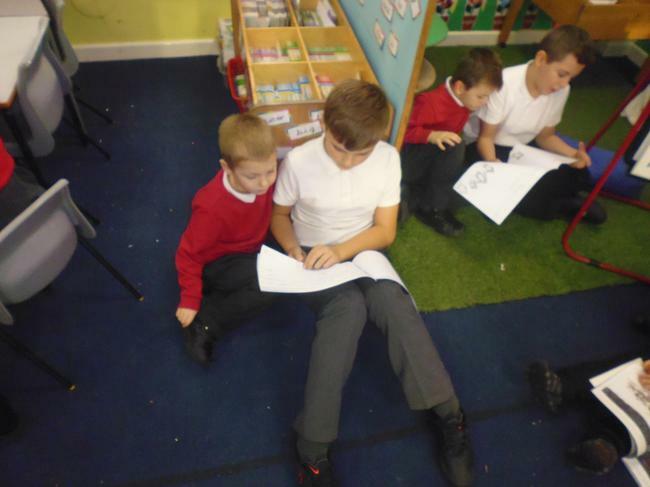 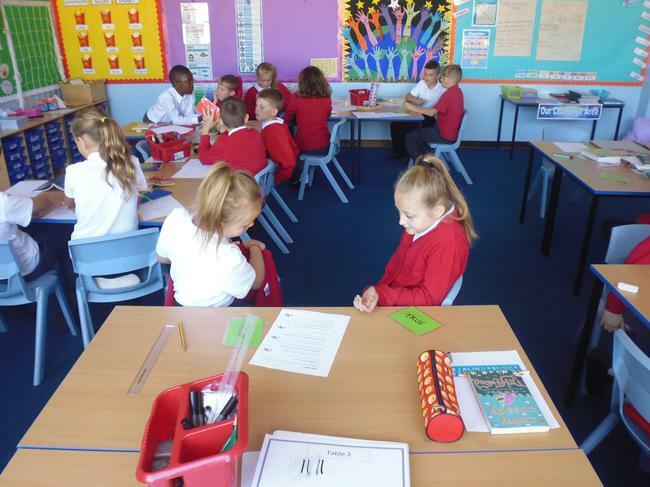 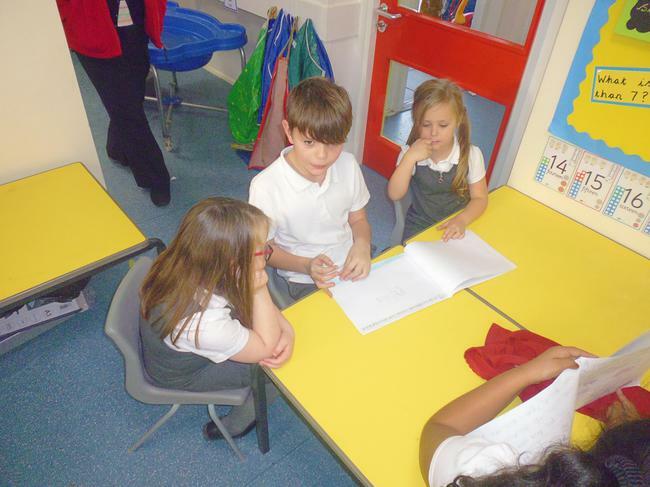 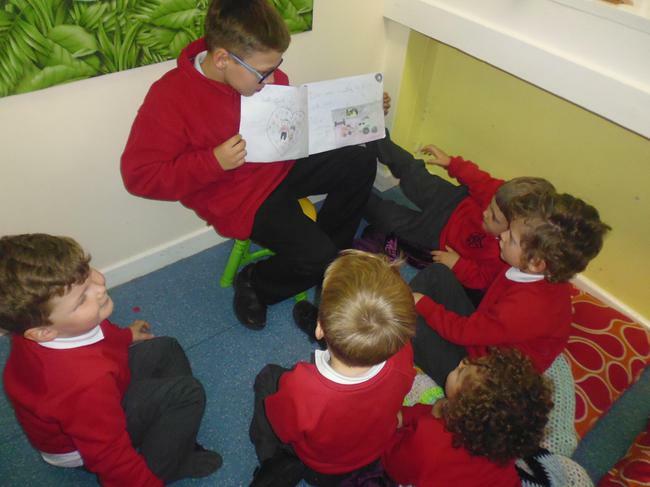 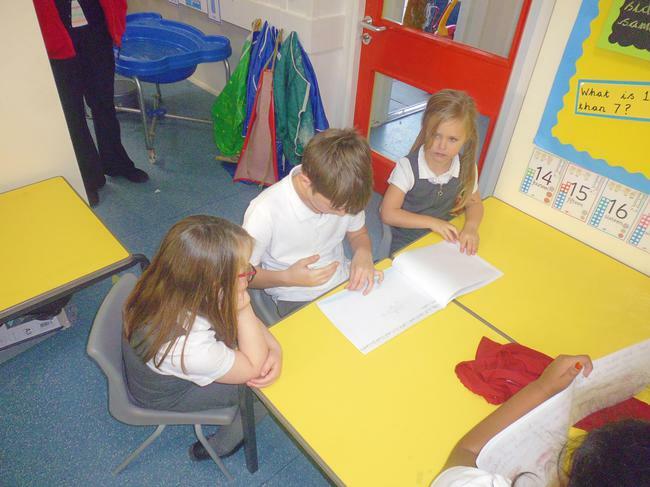 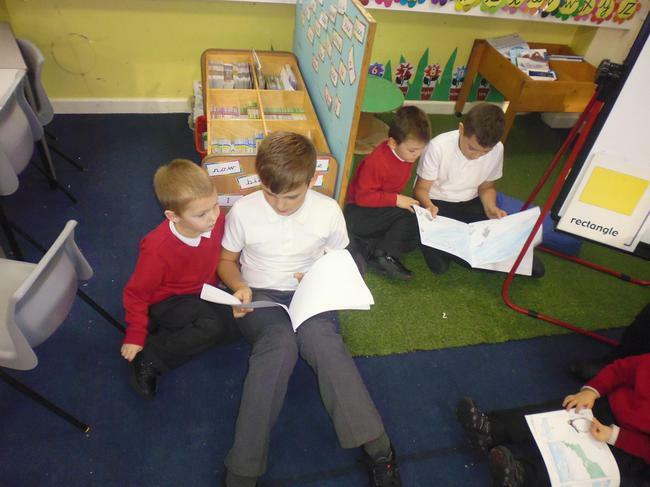 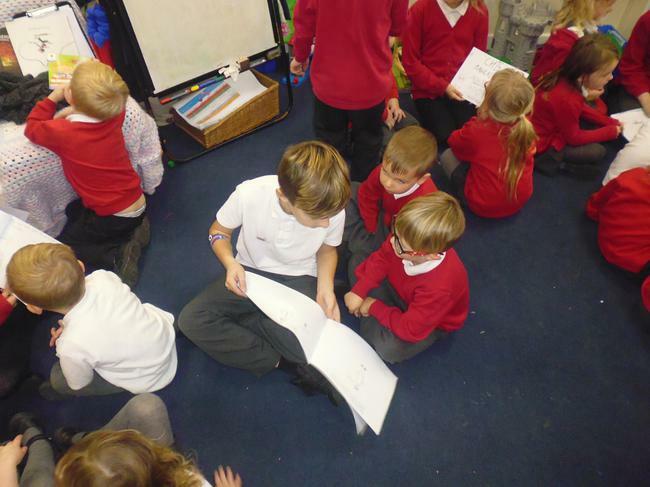 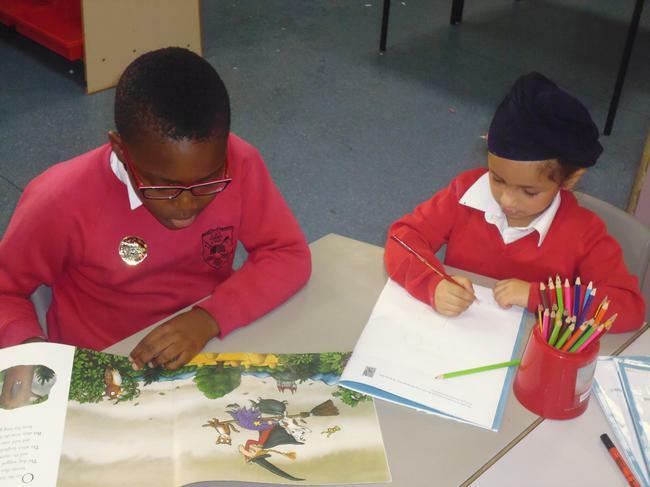 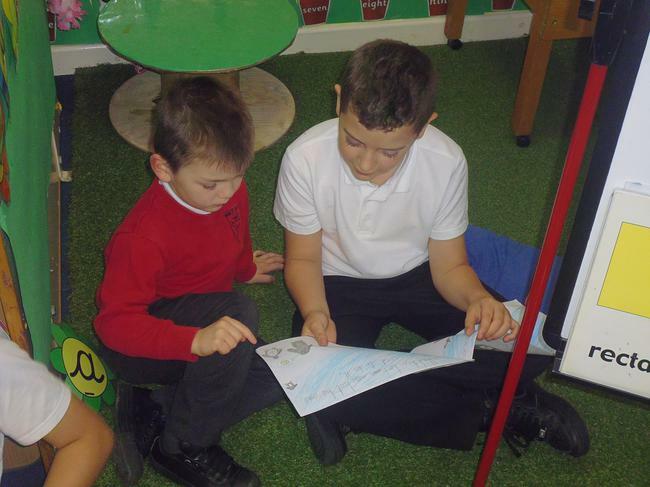 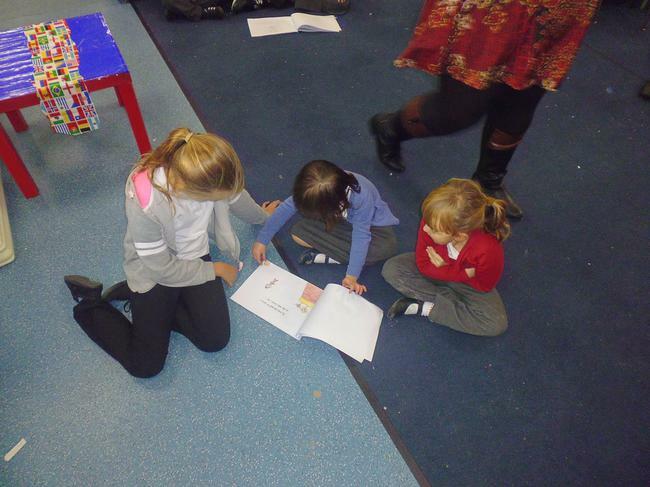 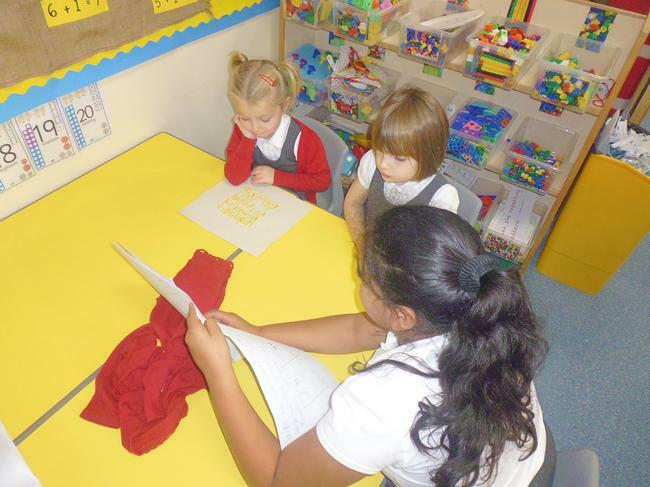 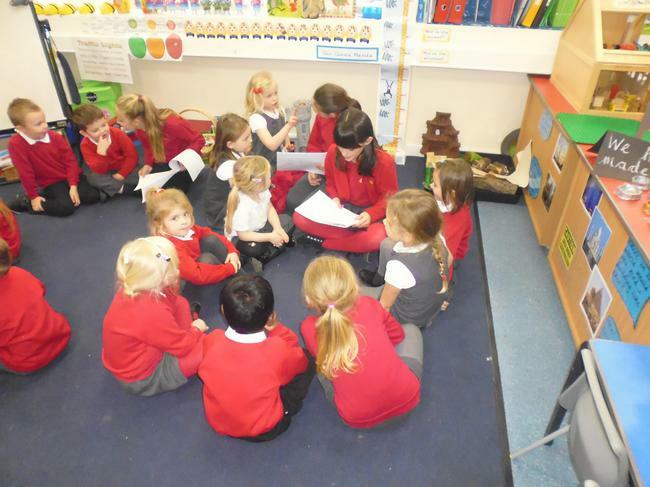 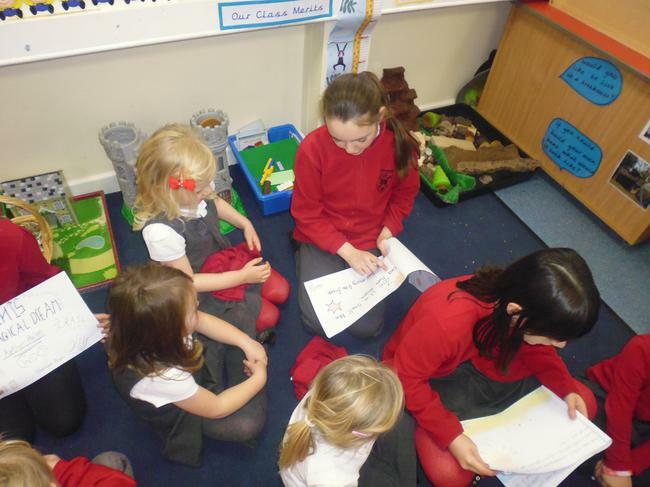 On Friday afternoon Year 6 had the opportunity to go and read their stories to their buddies in Reception. 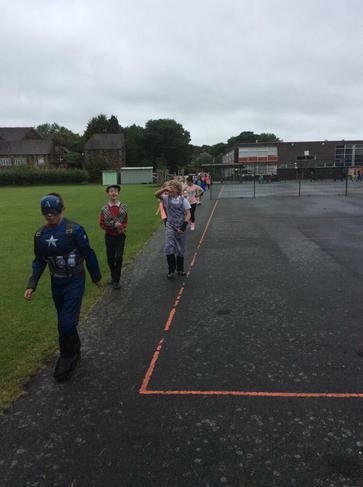 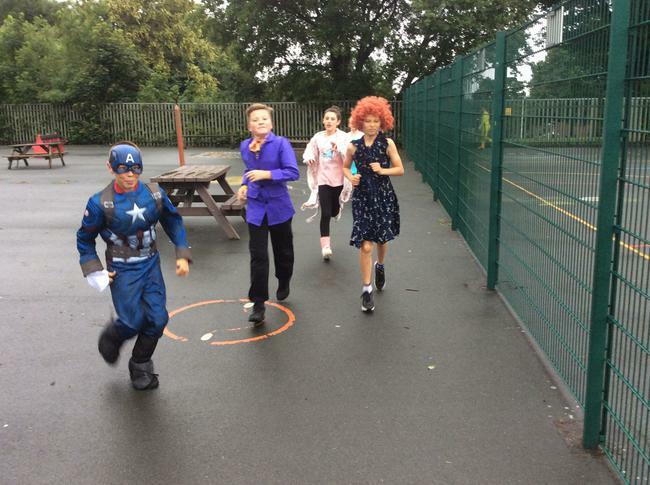 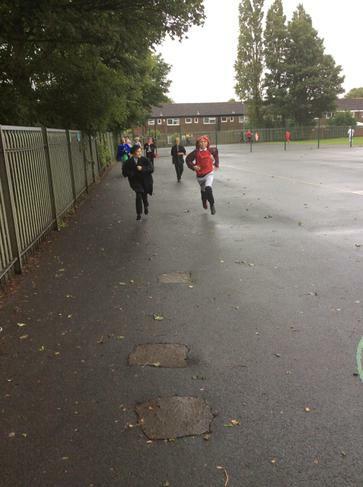 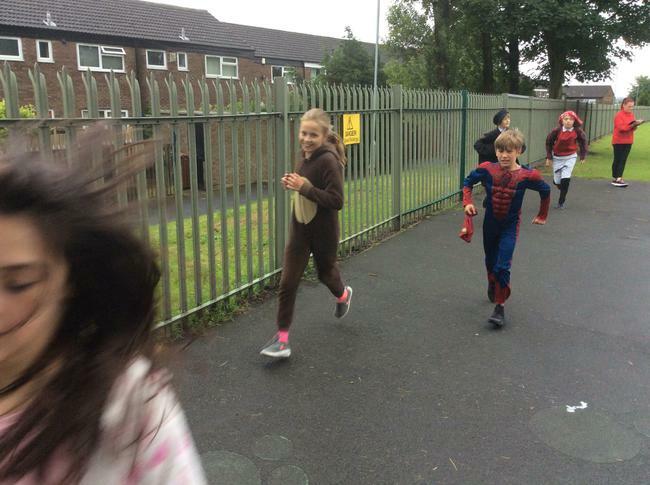 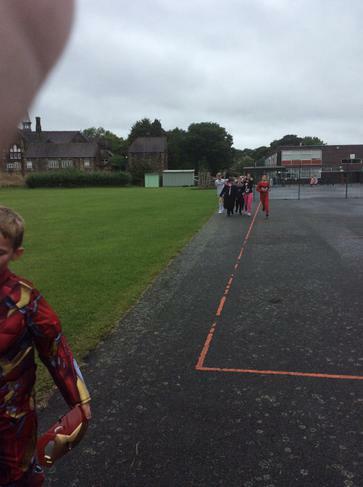 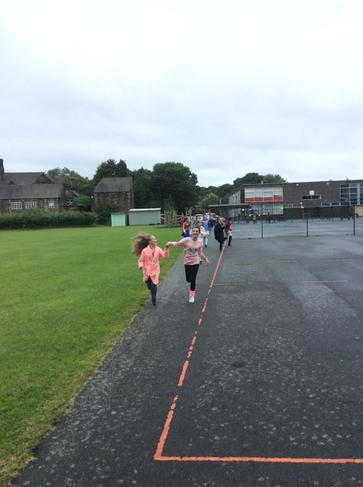 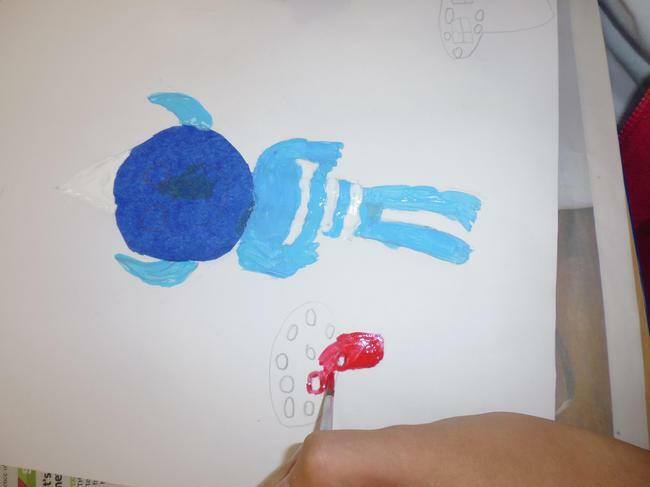 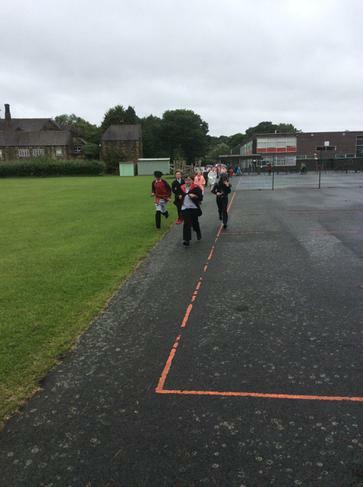 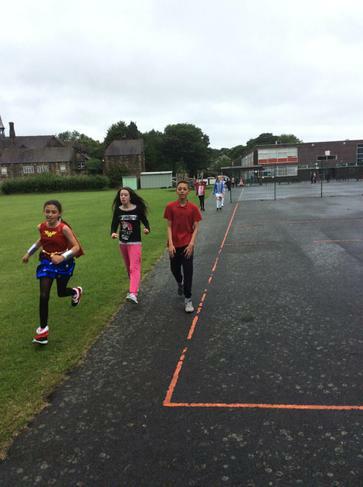 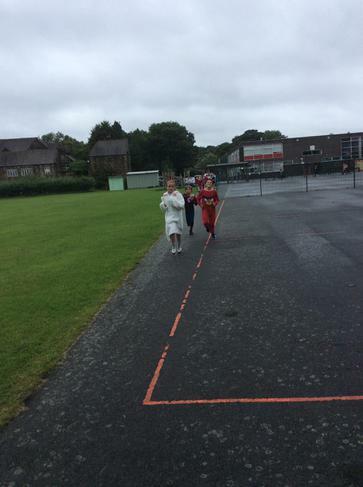 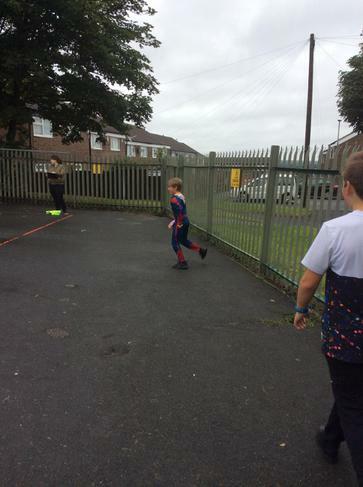 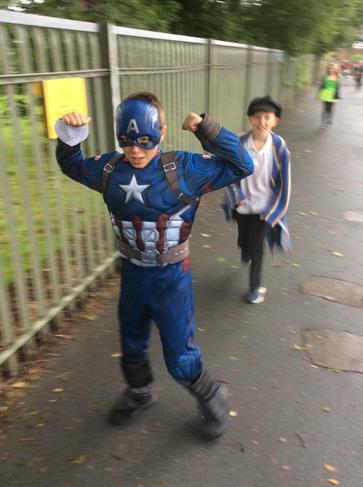 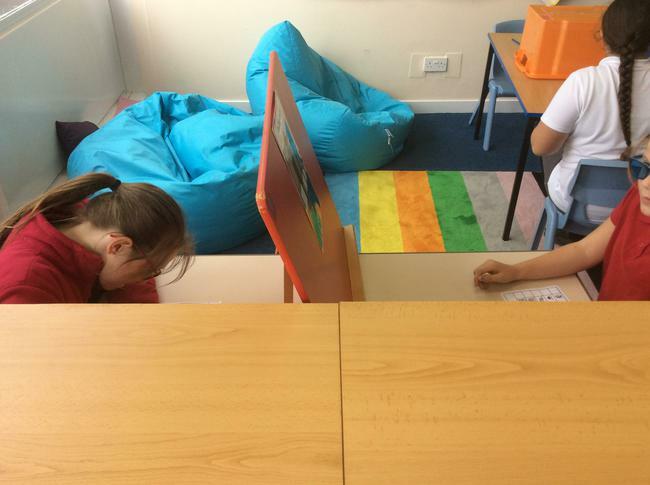 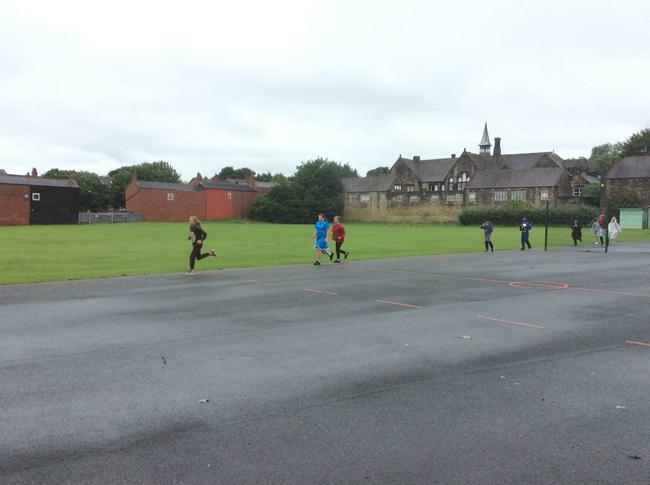 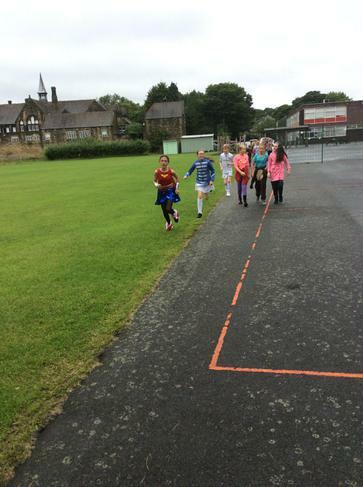 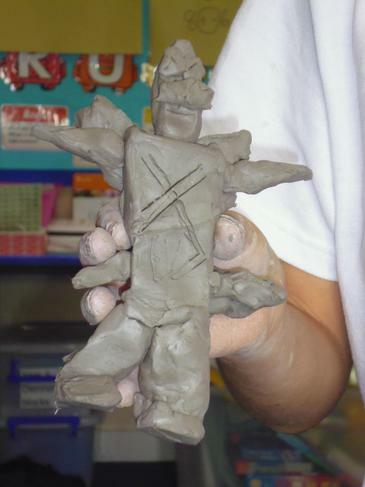 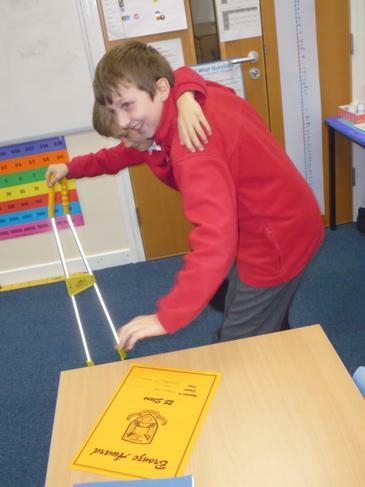 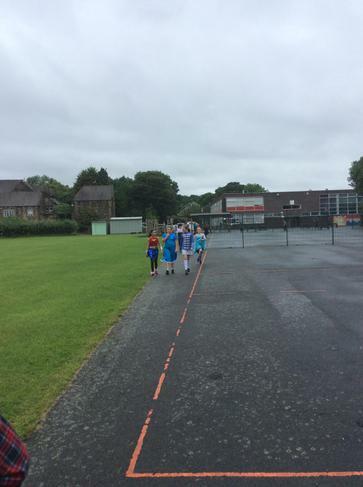 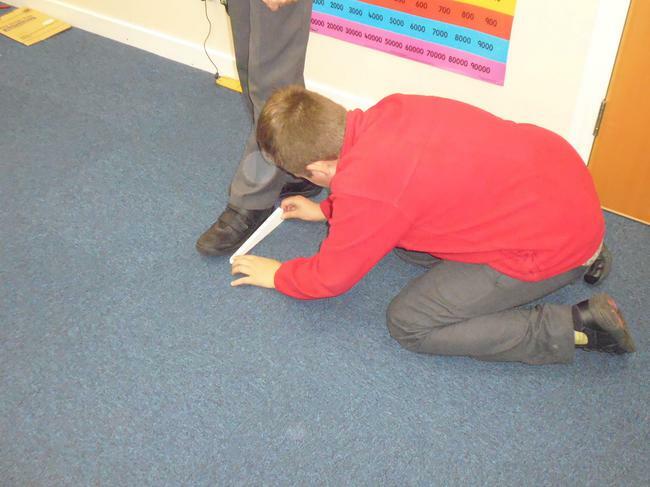 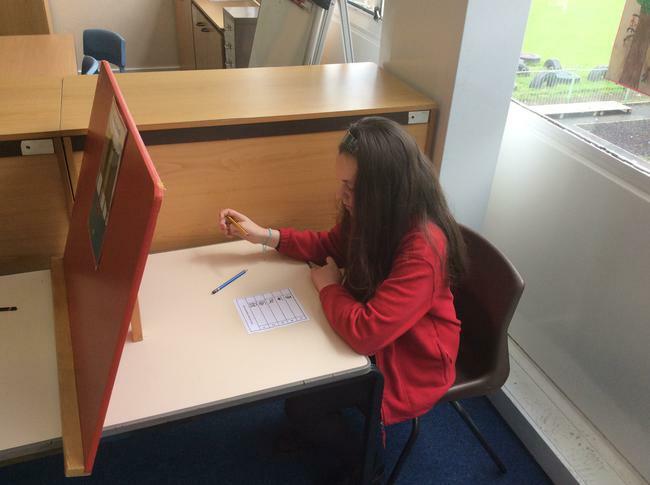 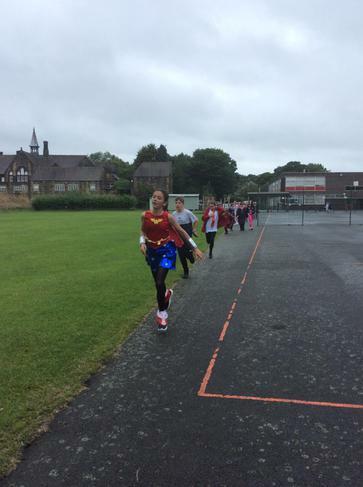 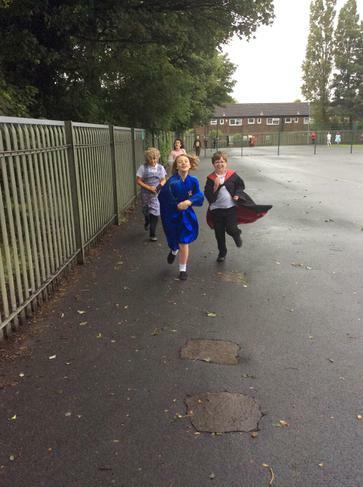 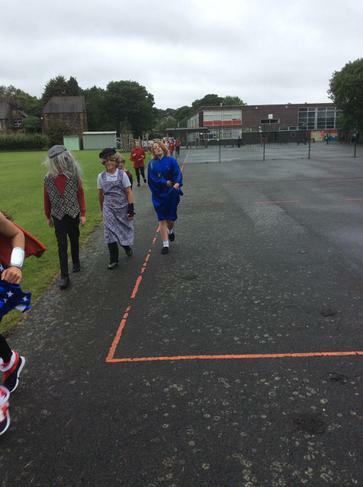 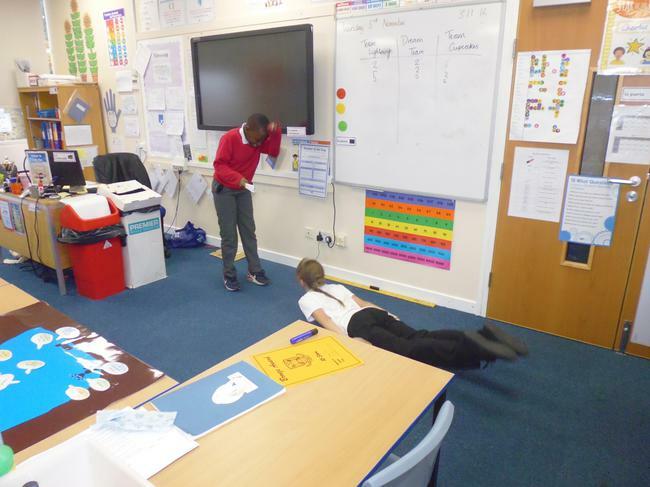 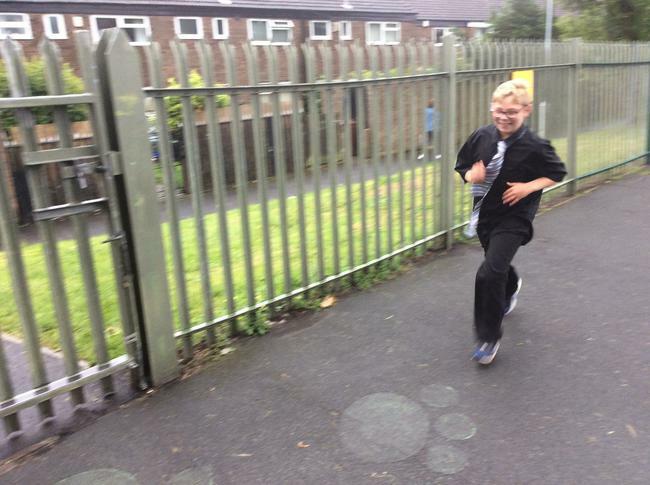 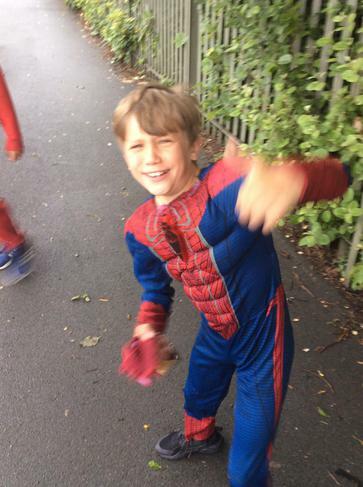 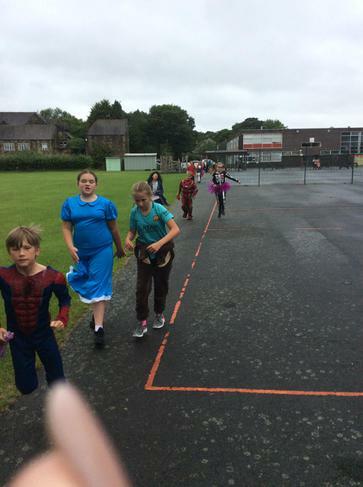 Today 6HC have learnt about 'Captain Challenge' and how challenging ourselves is an important way to ensure we learn. 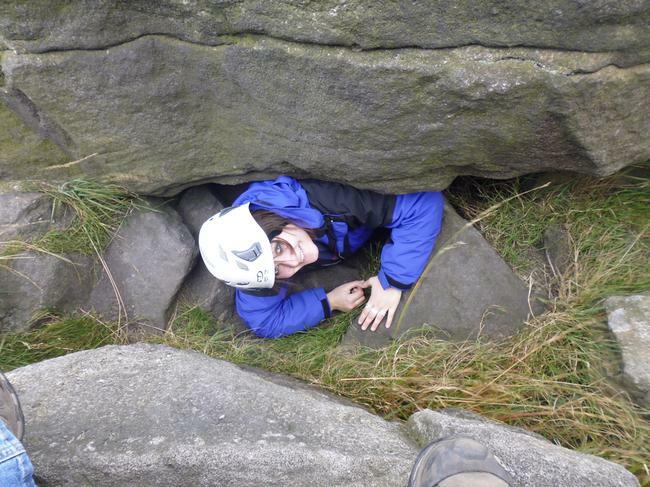 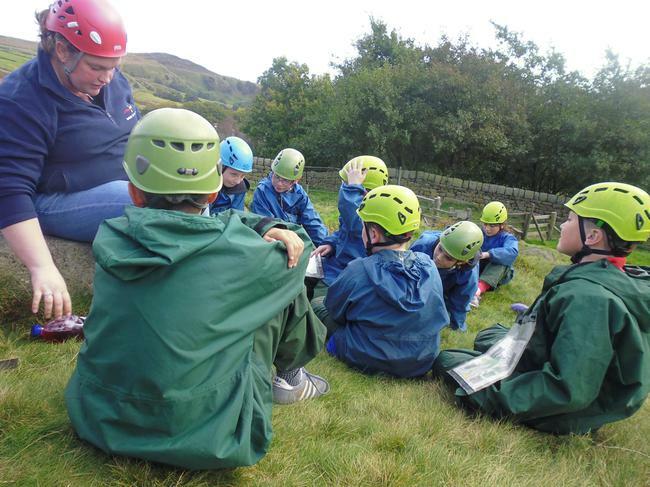 This afternoon we have participated in a range of challenges that put some of us outside of our comfort zones. 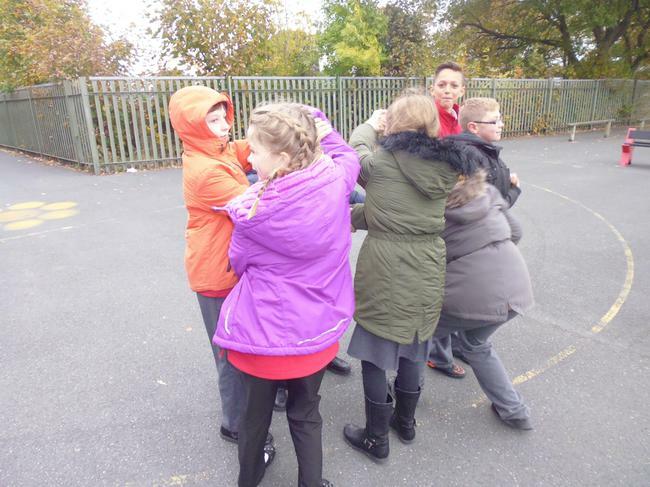 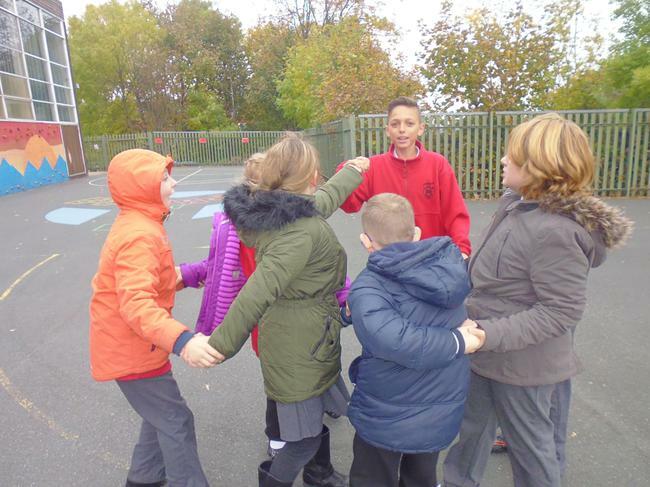 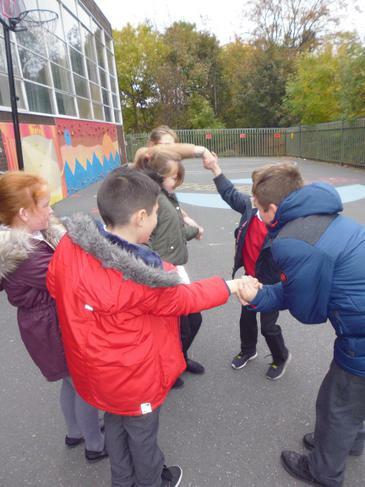 The photos below show us working in groups to mime the purpose of a random object after deciding on its use, as well as trying to untangle ourselves from our human knots. 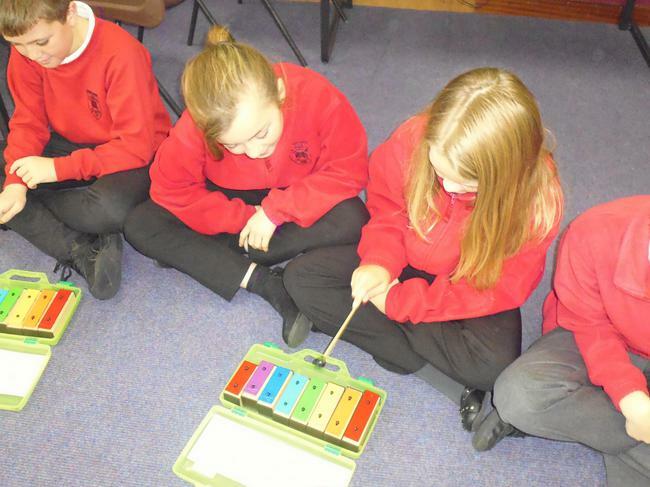 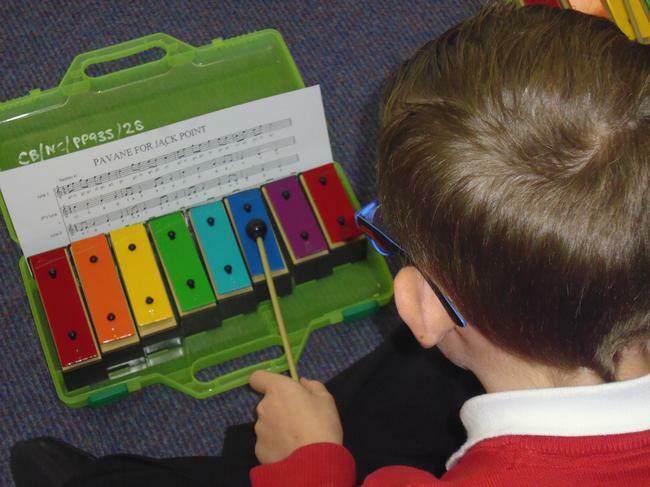 In music this week, Year 6 have been learning how to play 'Pavane for Jack Point' on the glockenspiels. 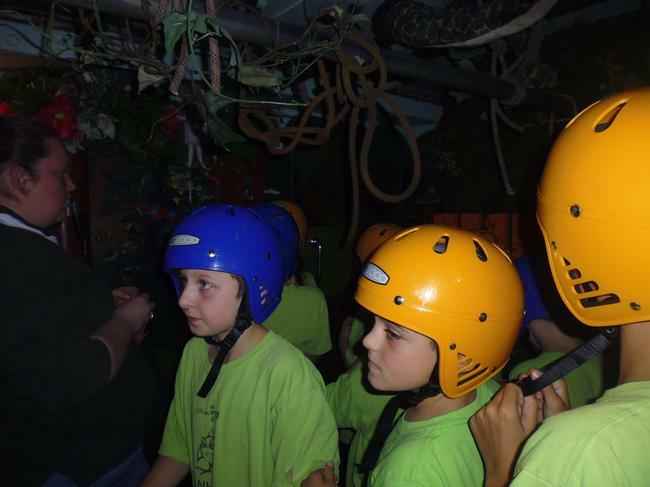 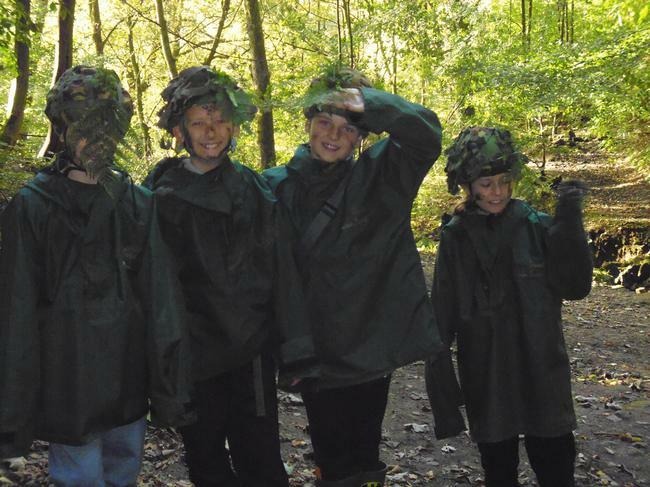 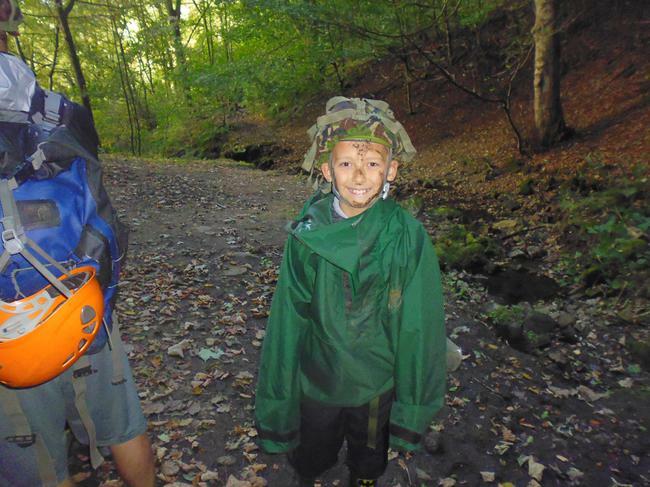 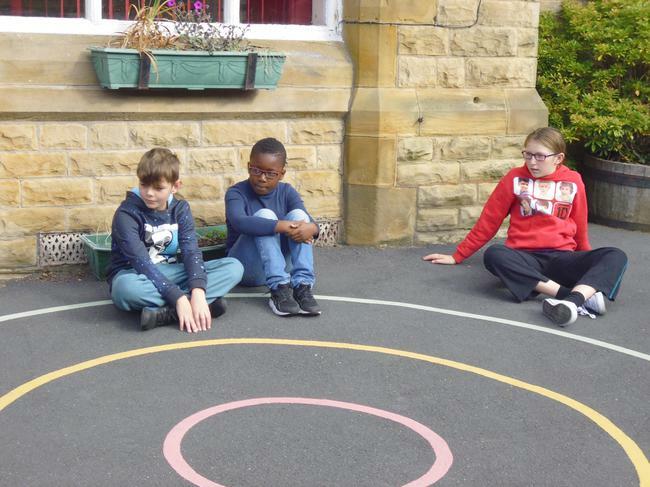 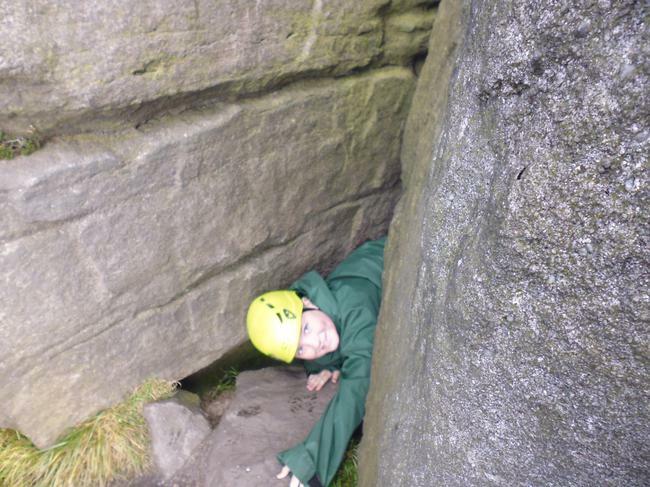 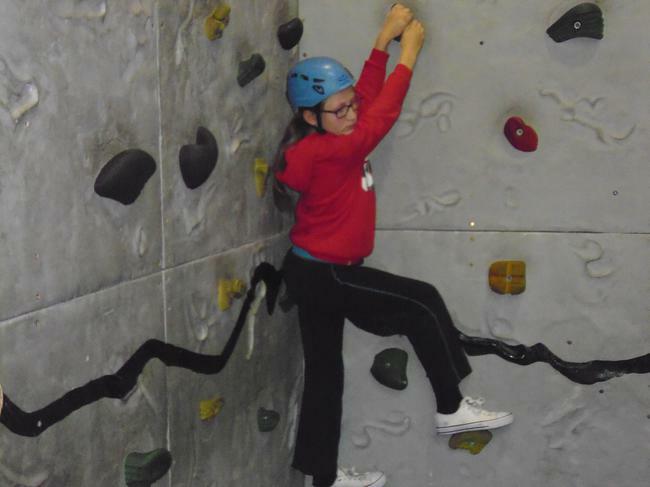 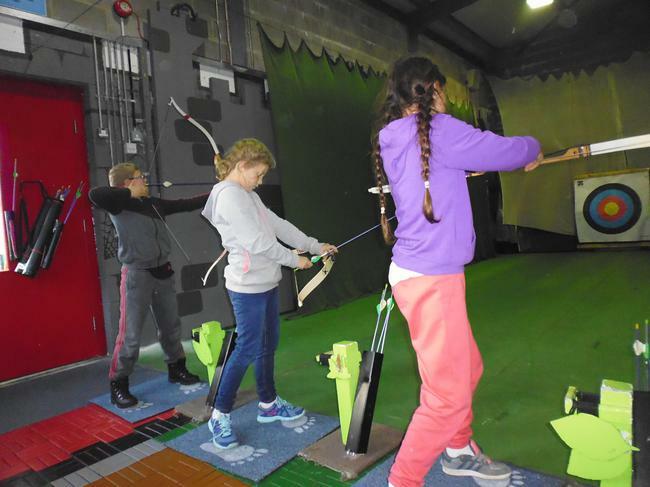 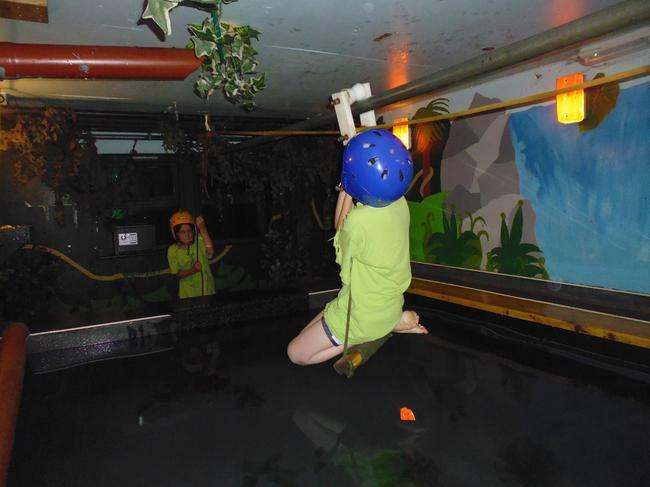 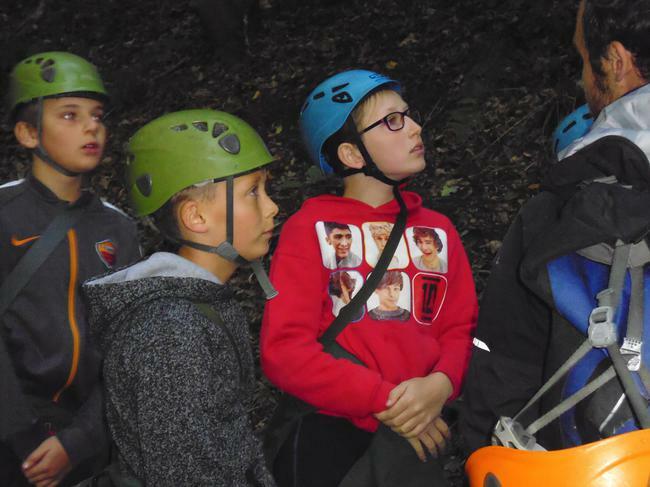 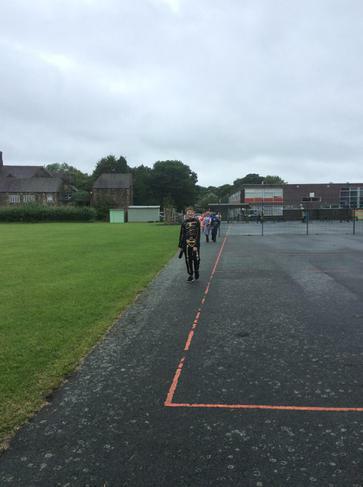 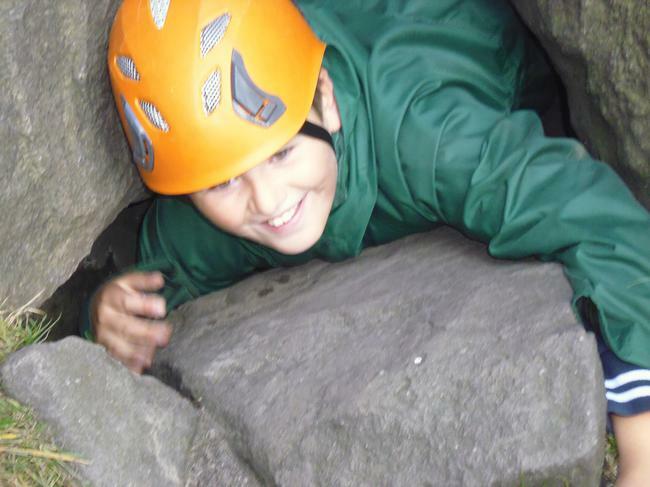 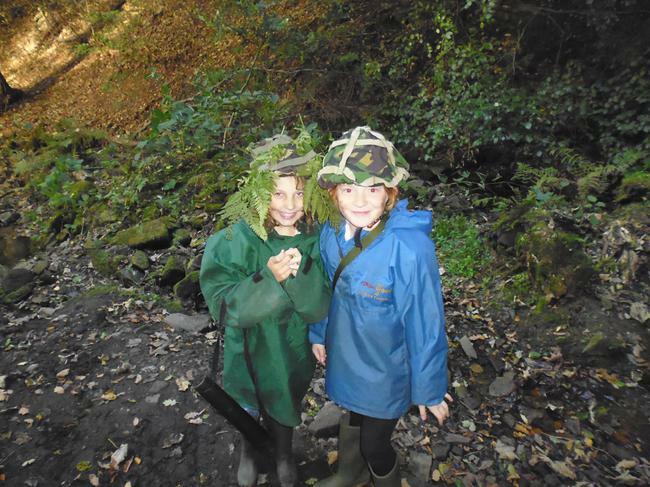 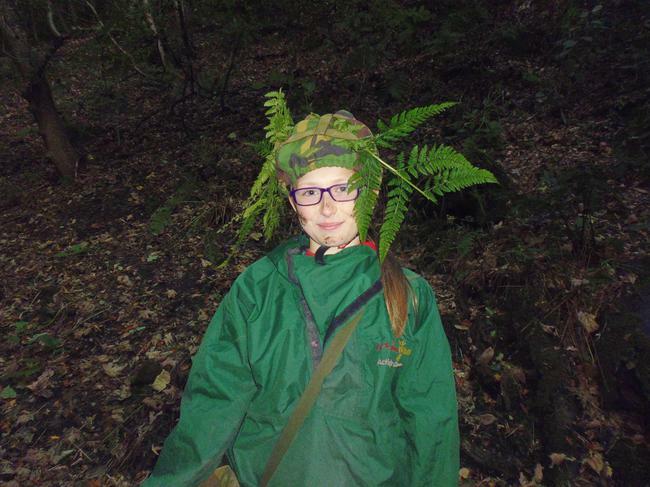 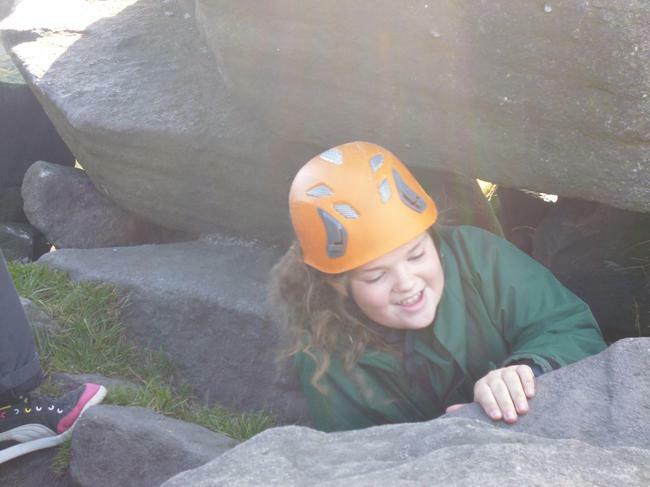 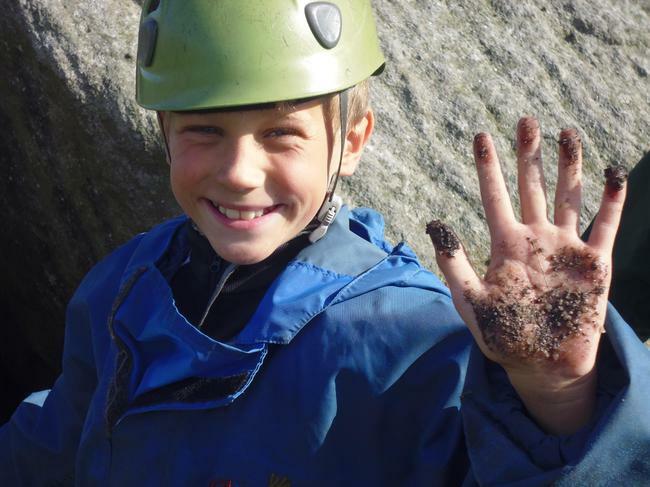 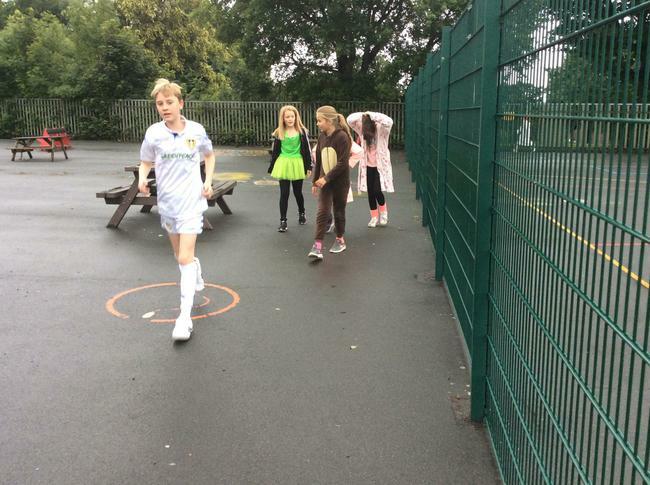 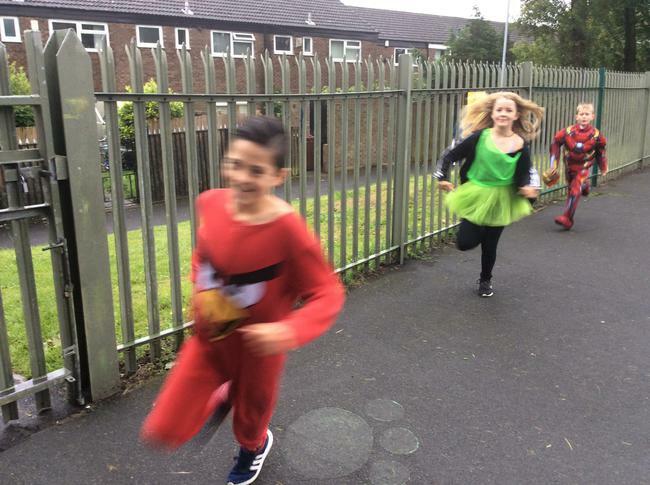 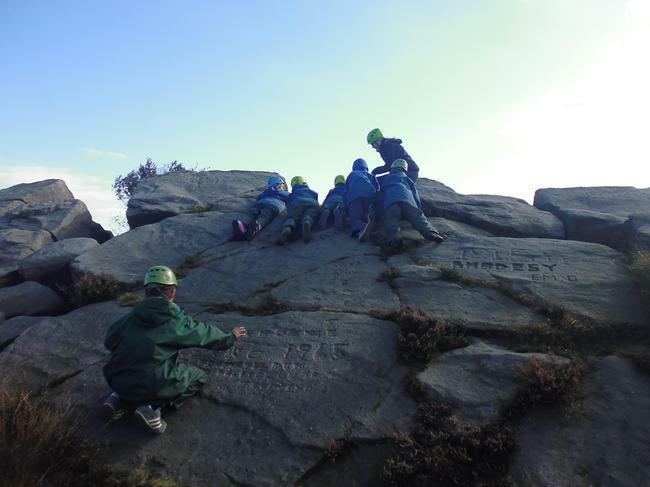 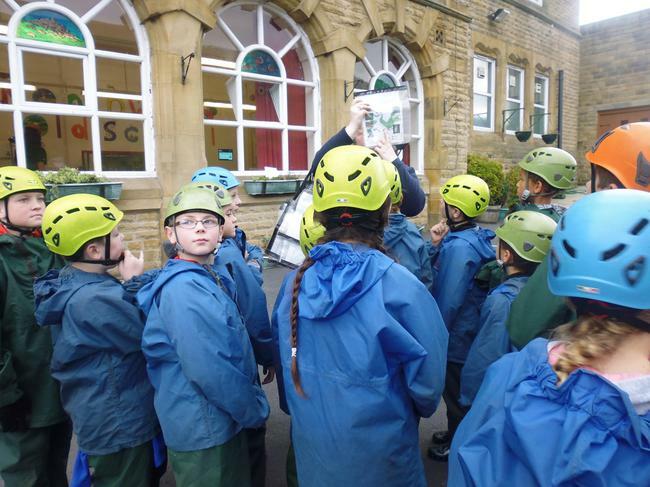 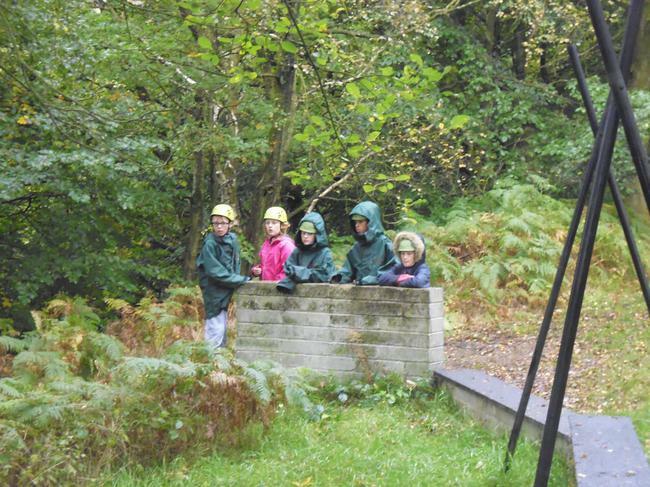 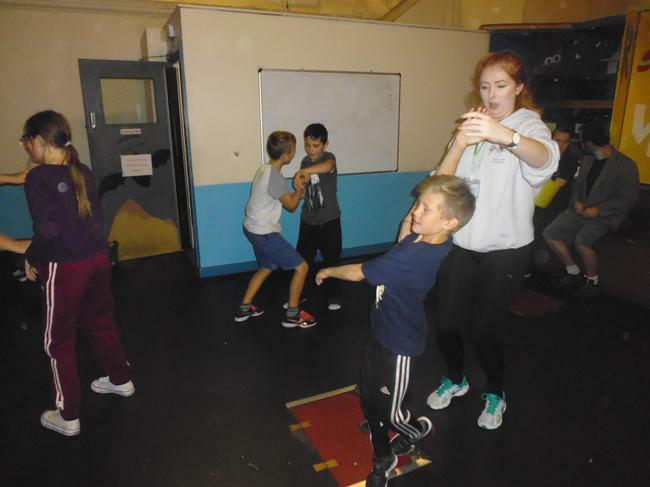 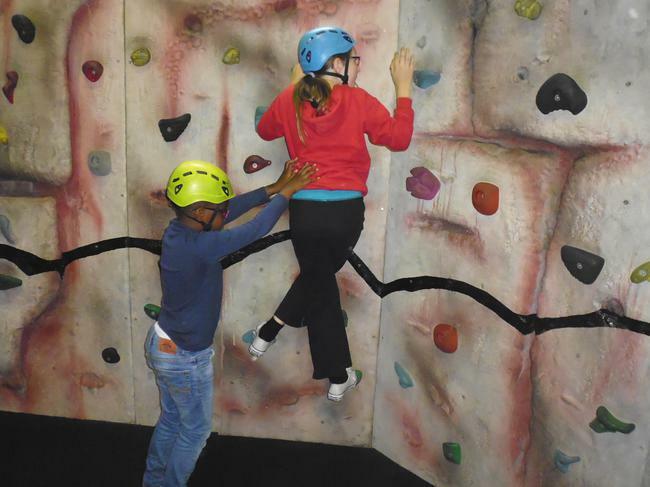 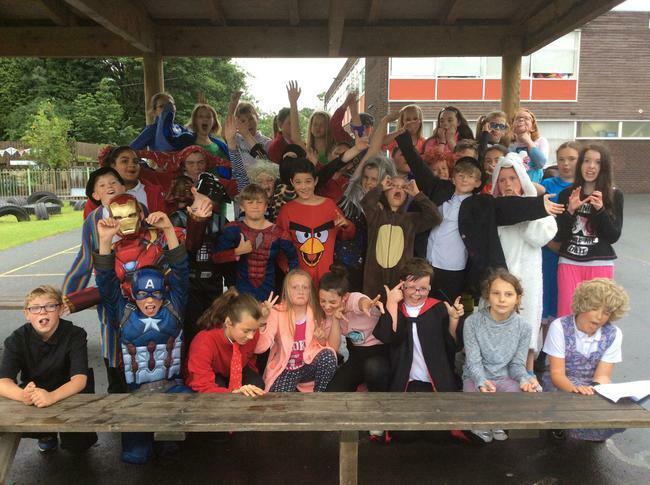 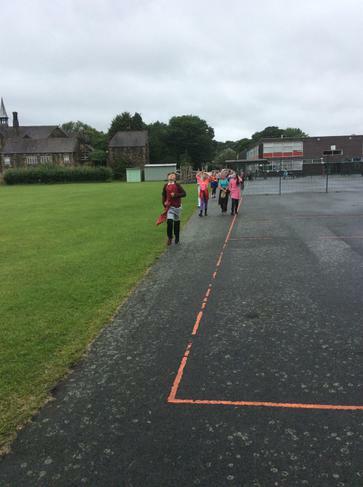 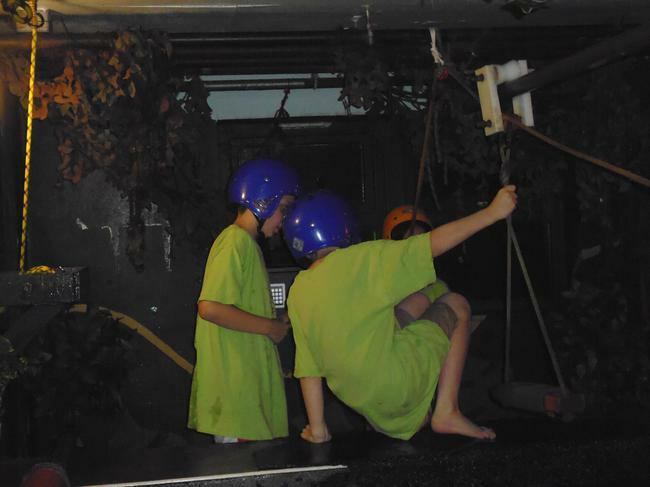 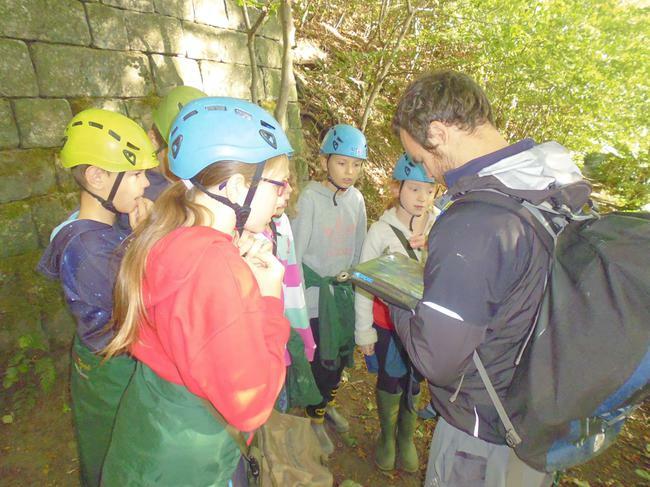 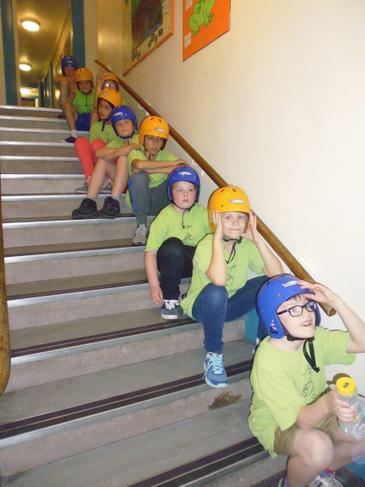 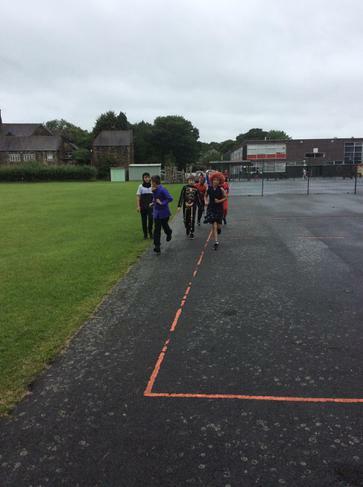 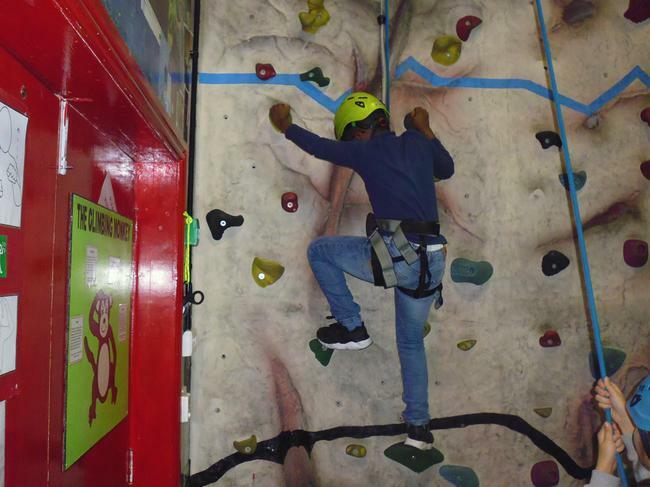 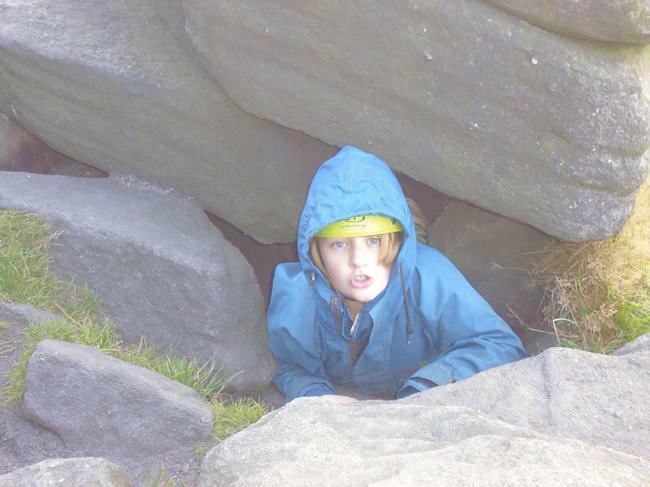 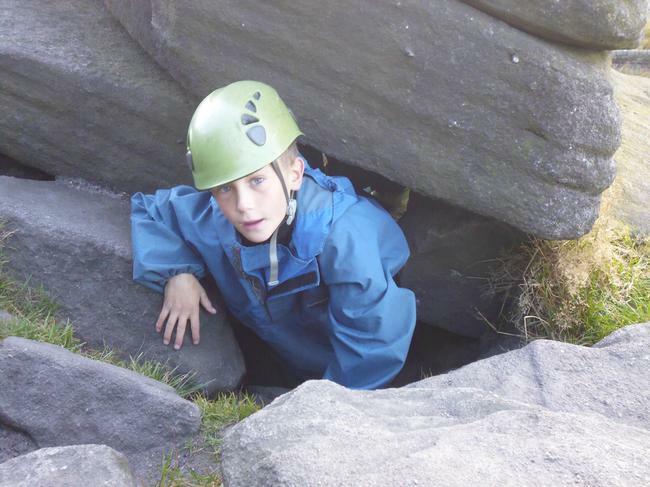 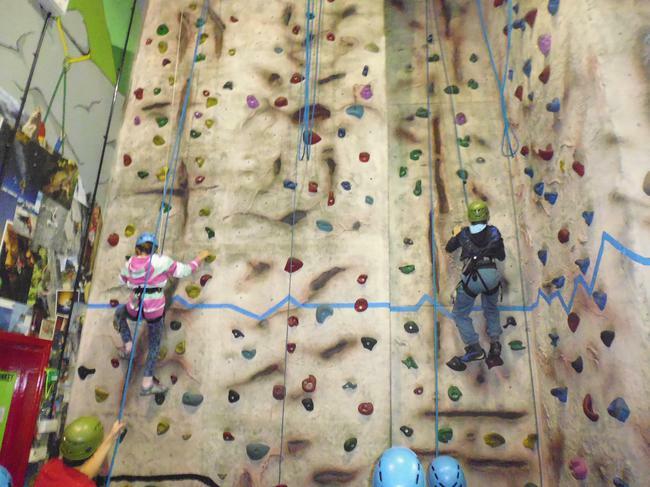 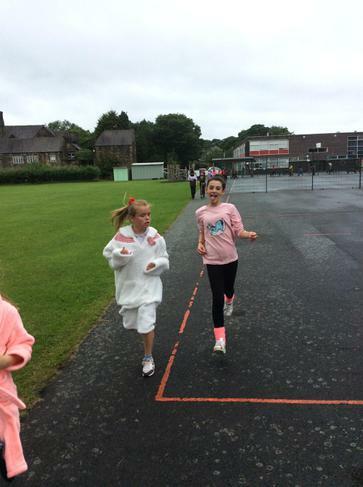 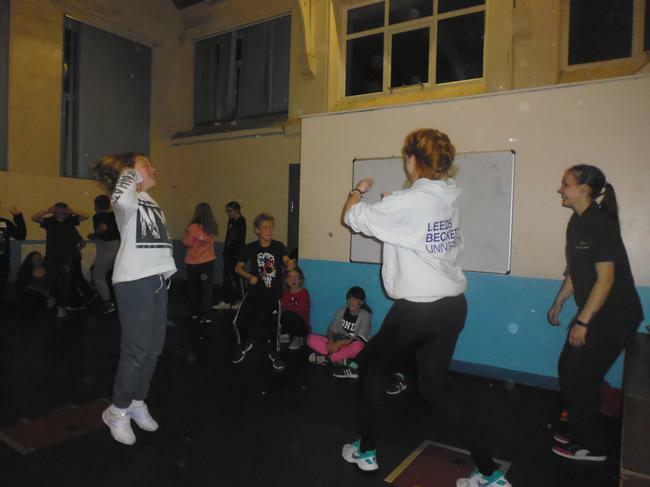 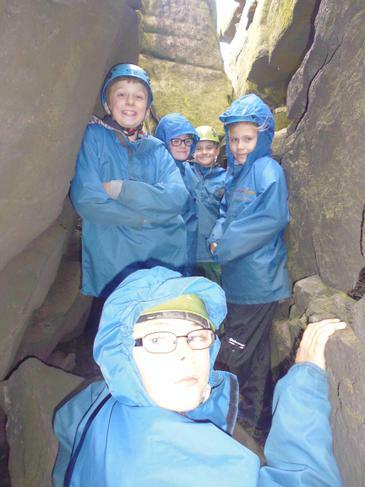 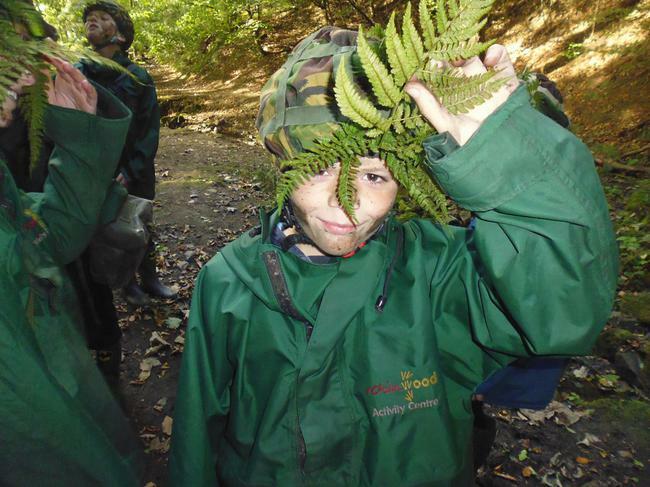 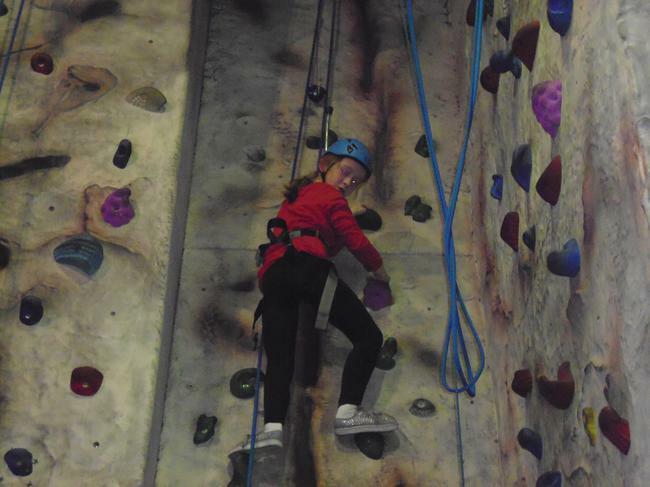 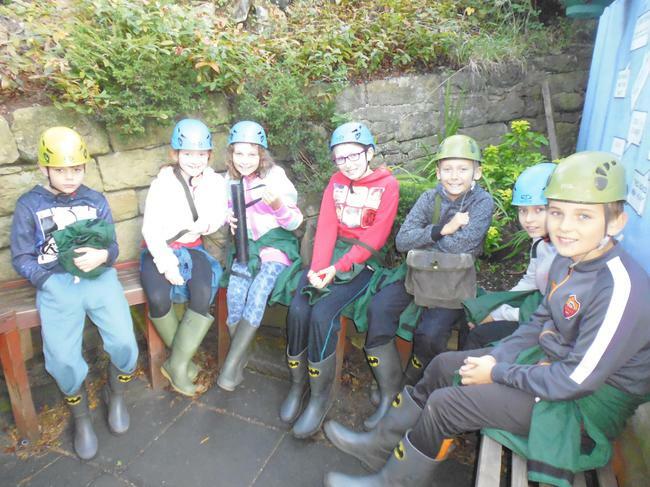 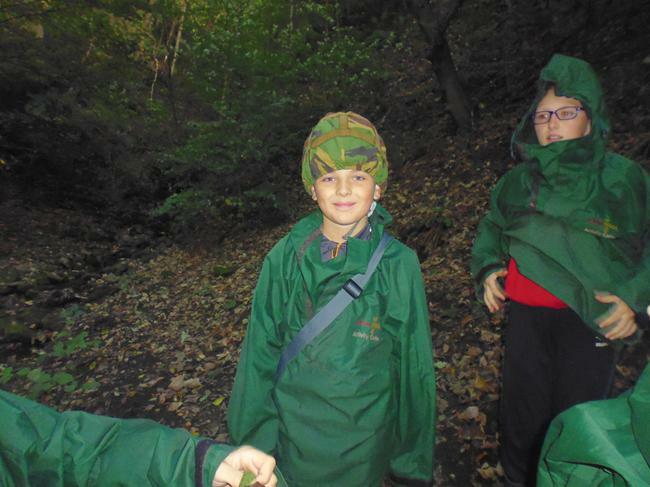 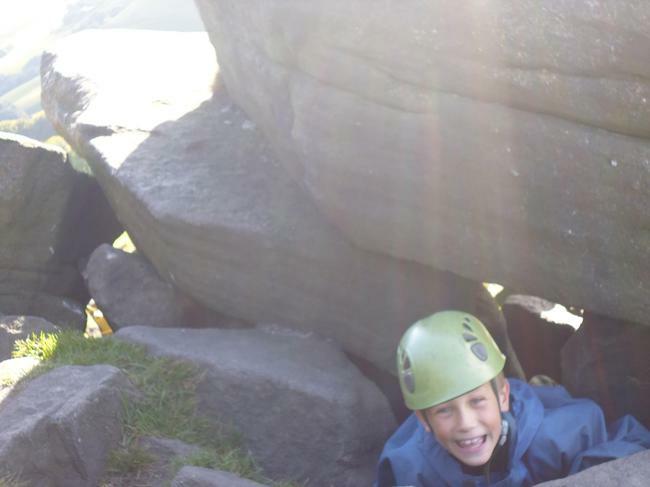 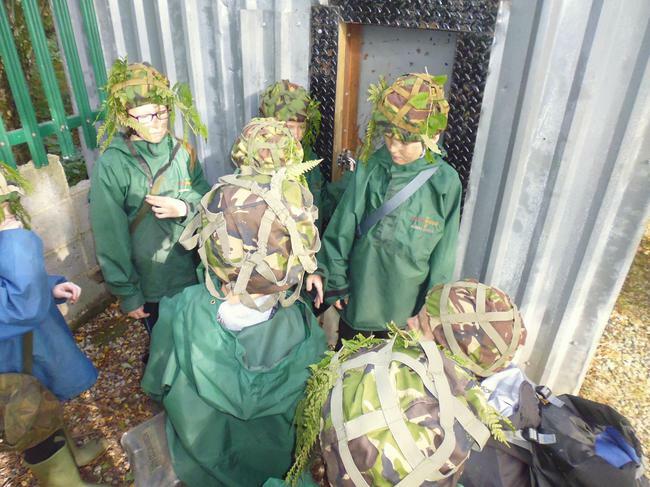 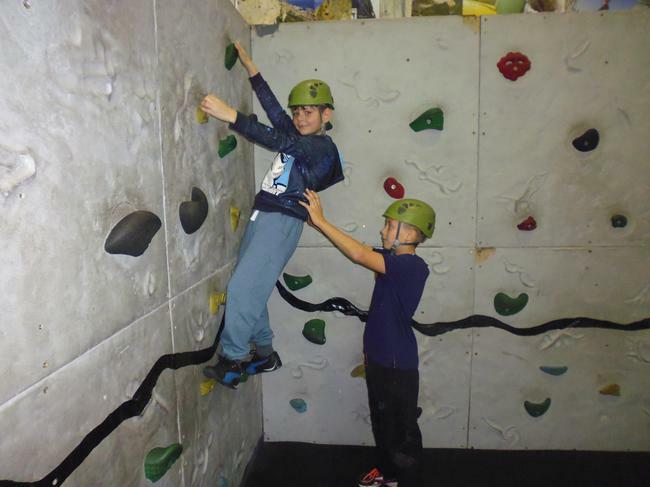 Some of our Year 6 children visited Robinwood last week, they enjoyed challenging themselves and trying new activities. 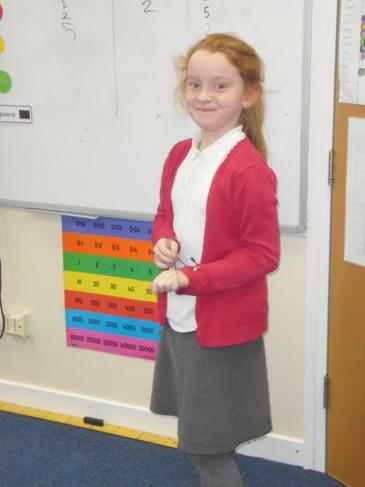 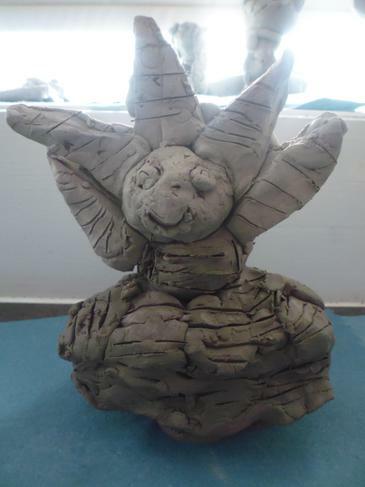 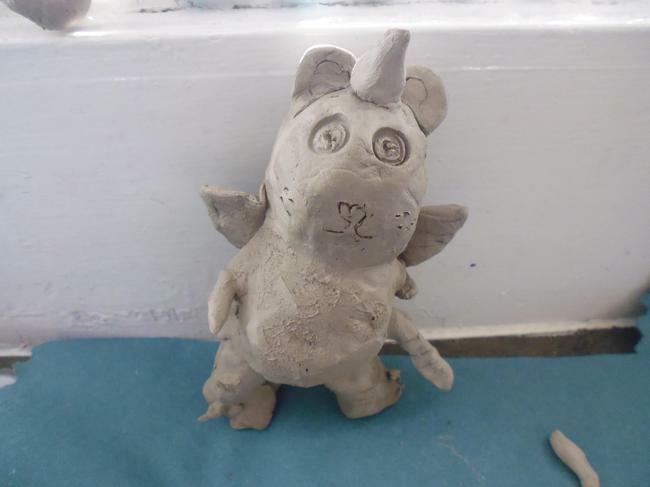 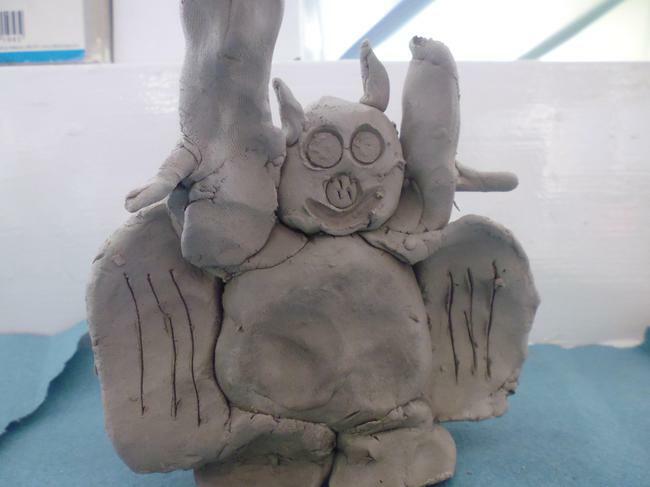 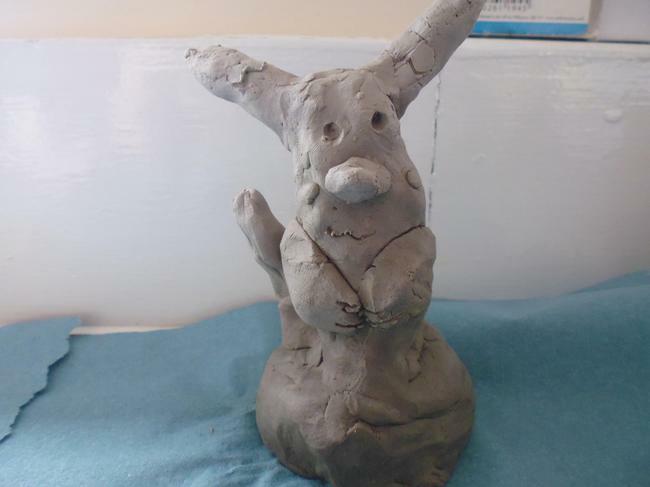 Well done to all those children who submitted an entry into this competition. 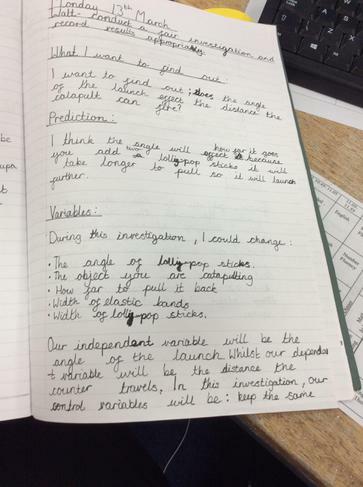 A huge congratulations to Lillie whose manifesto was selected from all the entries to be entered into the competition. 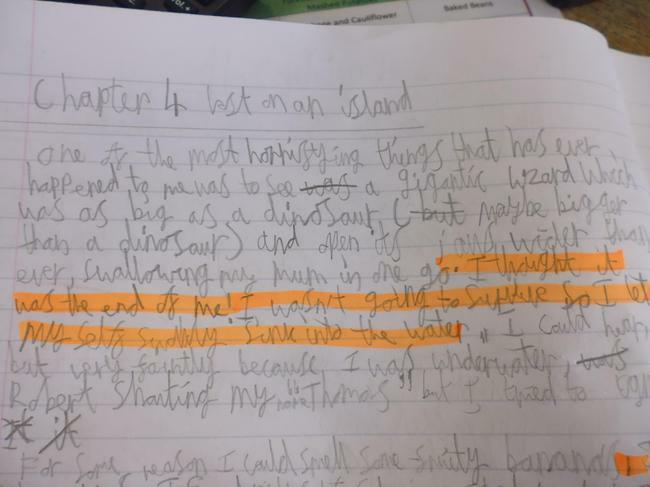 You can read Lillie's manifesto below. 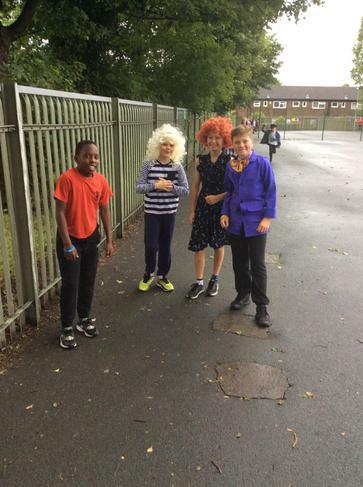 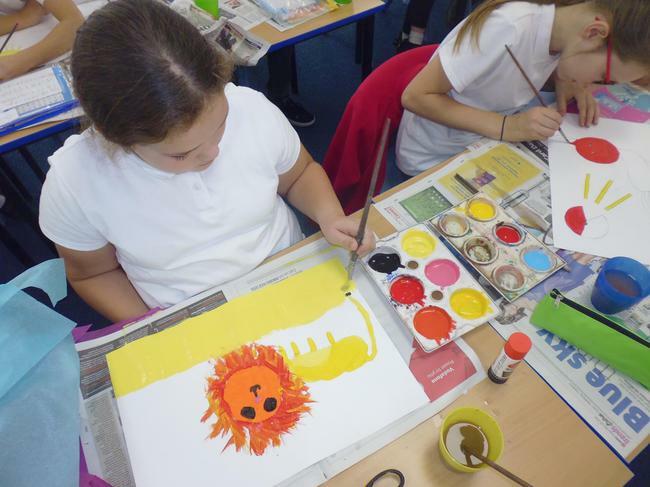 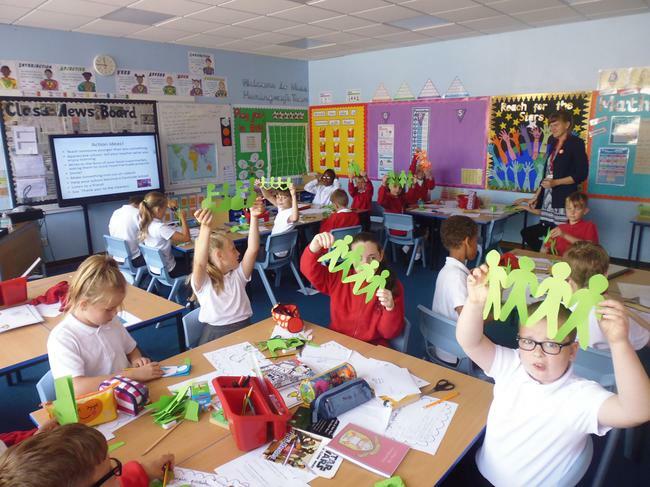 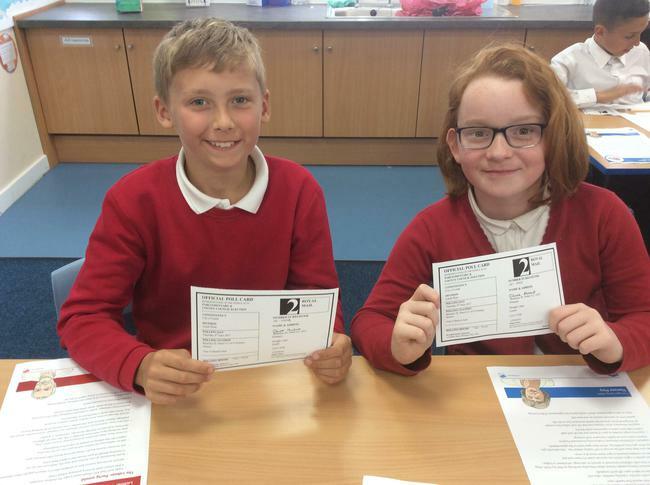 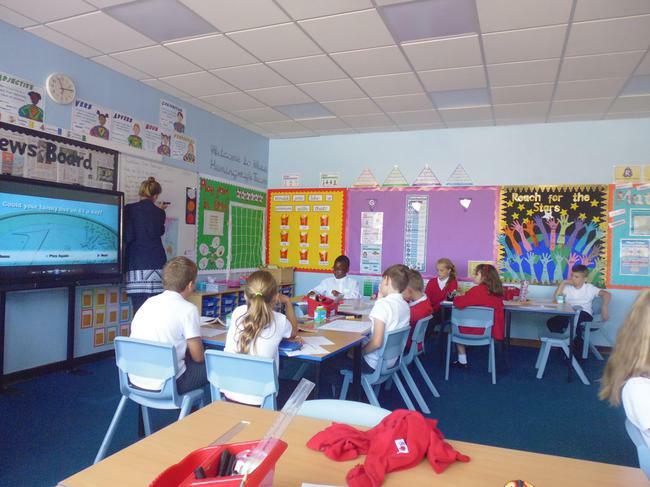 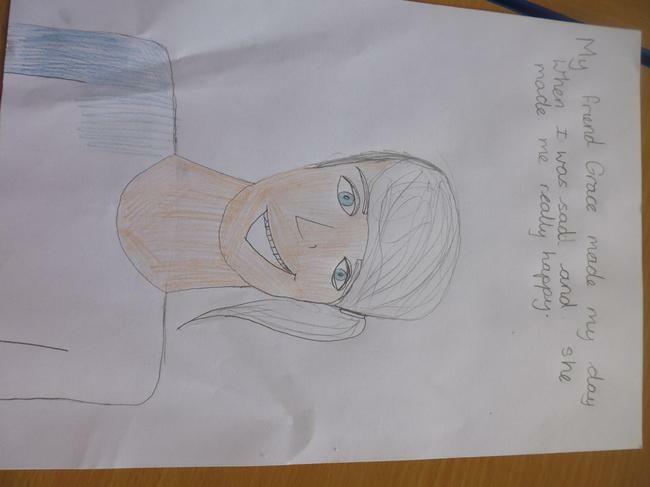 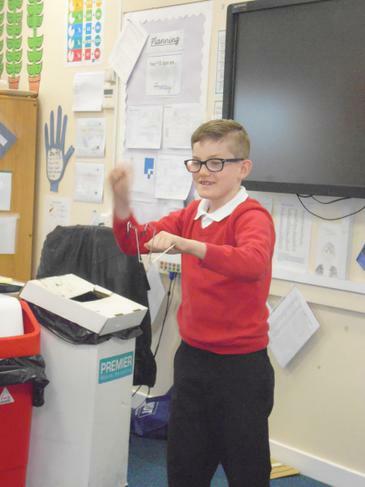 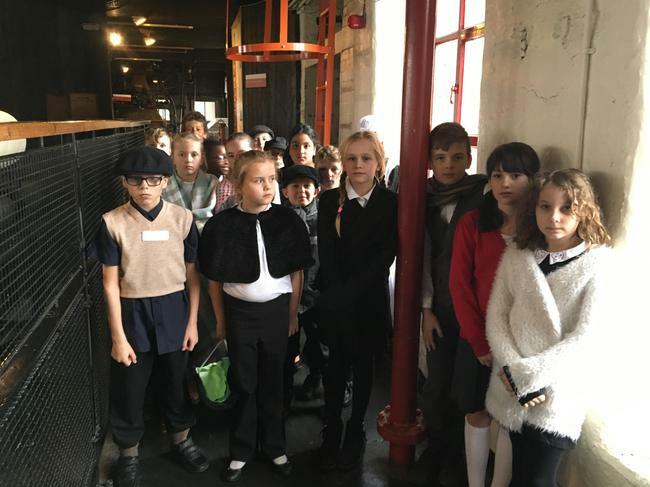 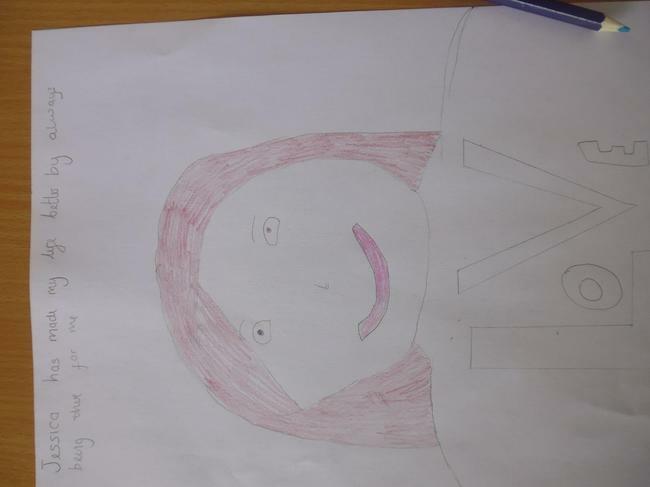 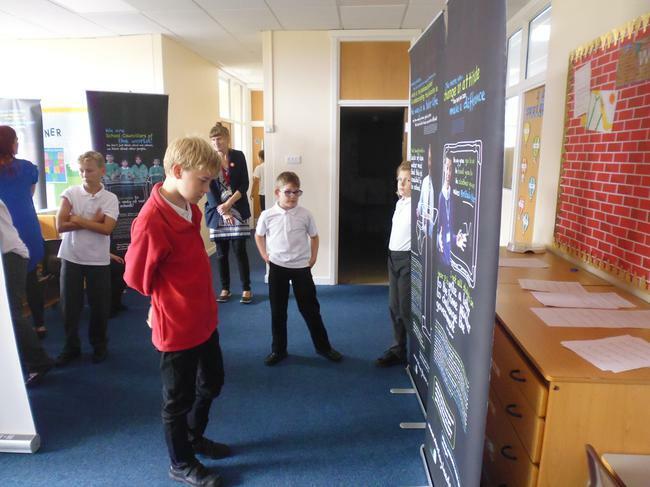 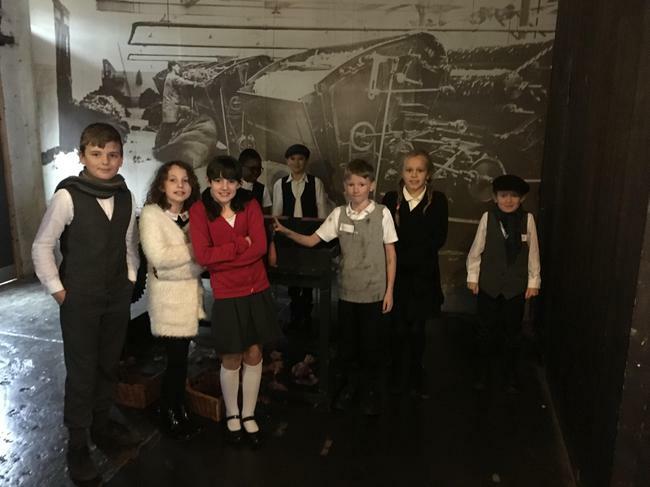 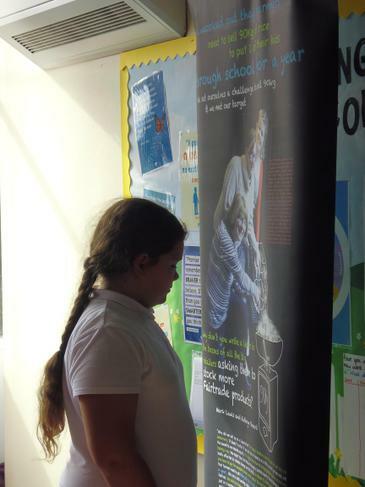 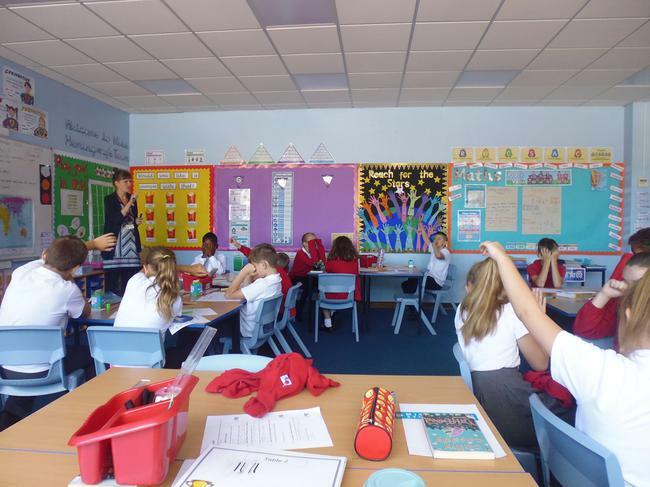 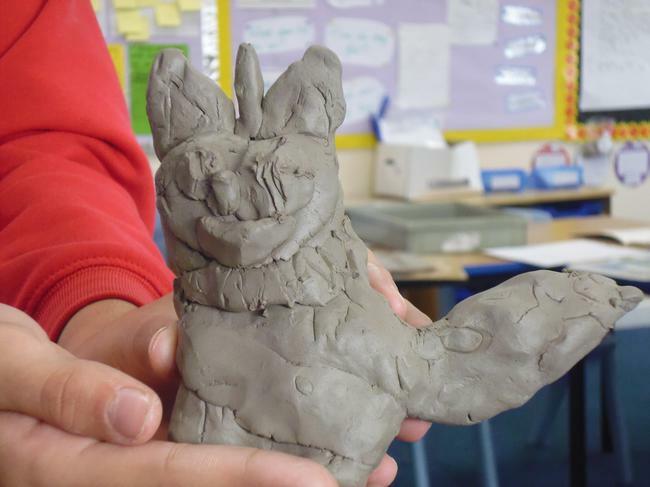 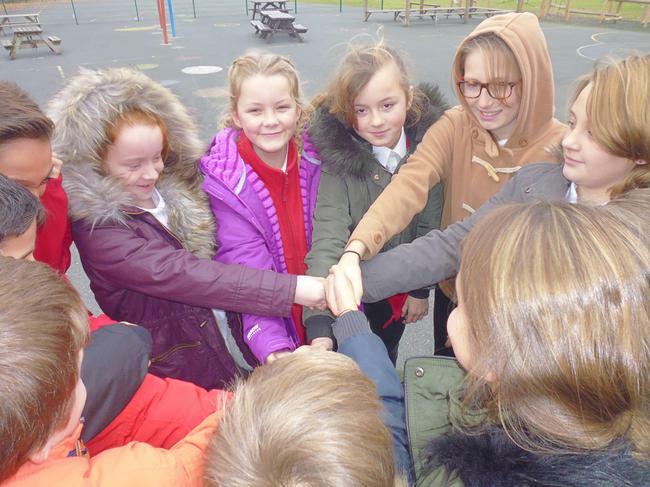 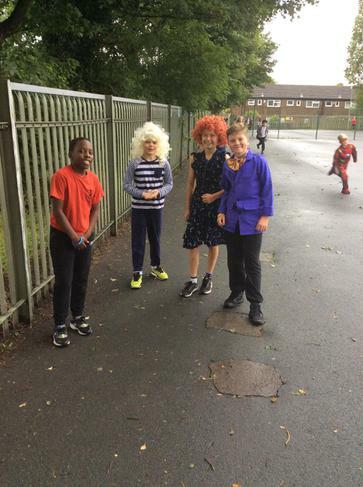 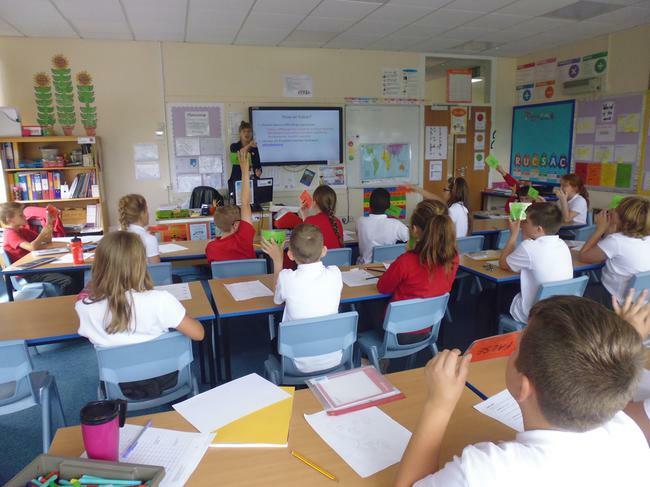 Year 6 participated in a workshop where they considered inspirational people, both famous and known to them, they learnt about how these people made changes in the world or to their lives and thought about how they could become Agents of Change. 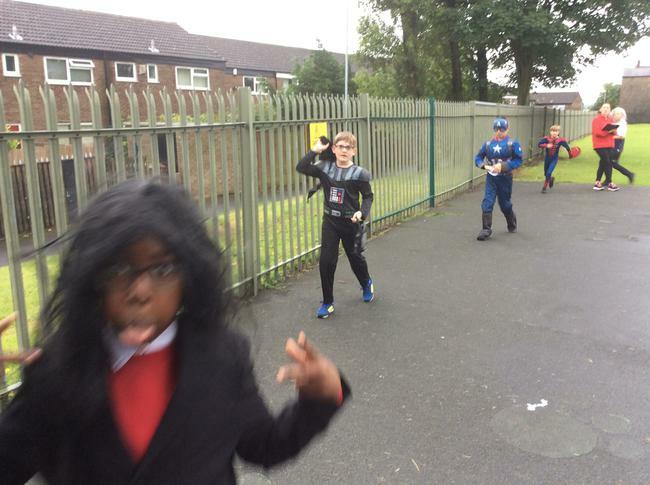 Our entry into this competition has become an annual tradition. 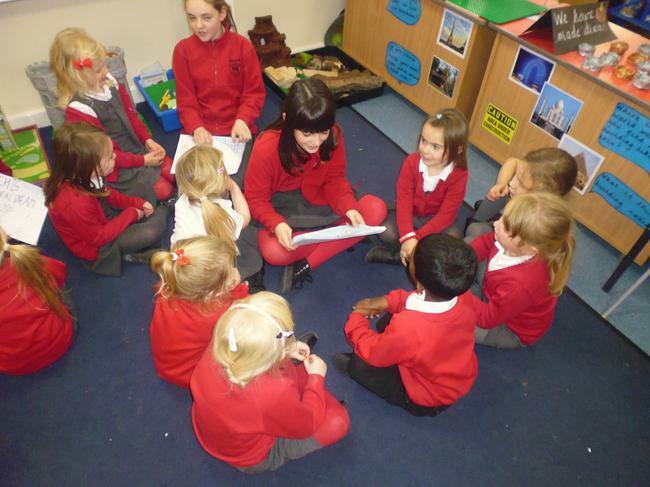 The children are invited to write a manifesto saying how they would improve Leeds if they were the Children’s Mayor. 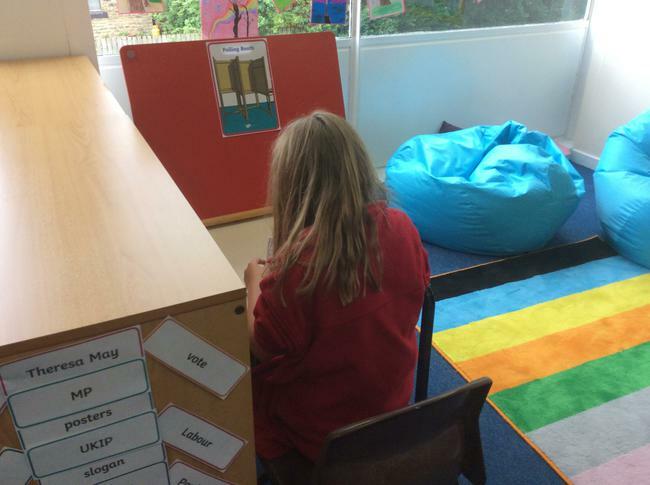 The manifesto must be based on one of the 12 Wishes for a more child friendly Leeds. 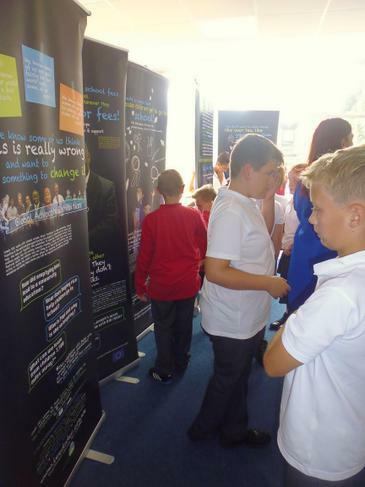 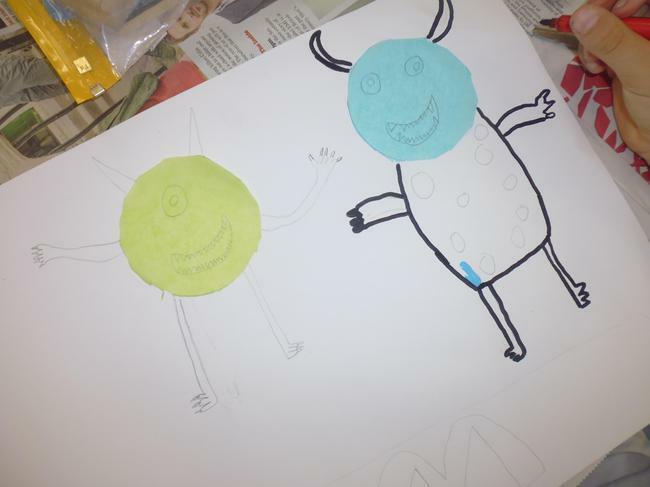 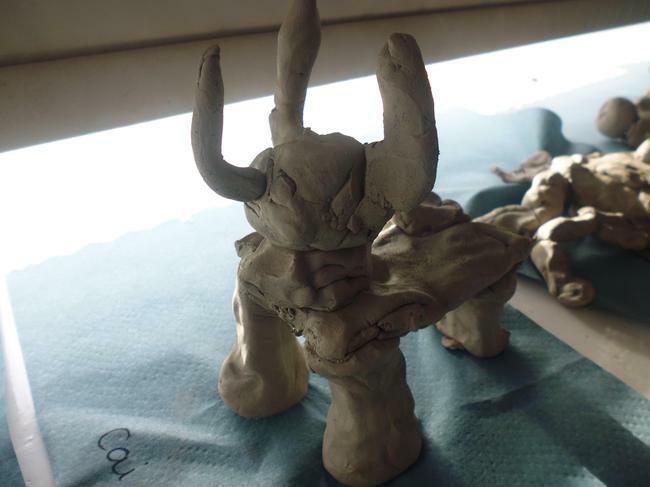 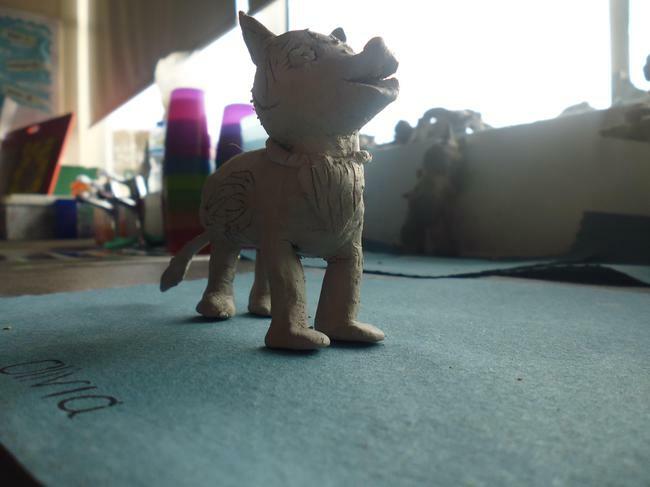 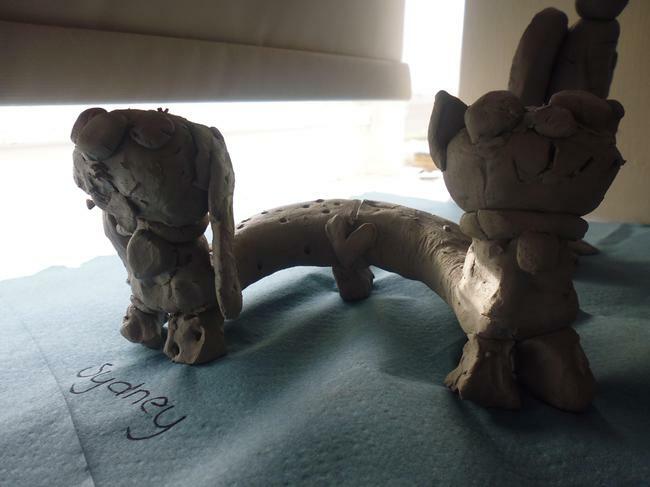 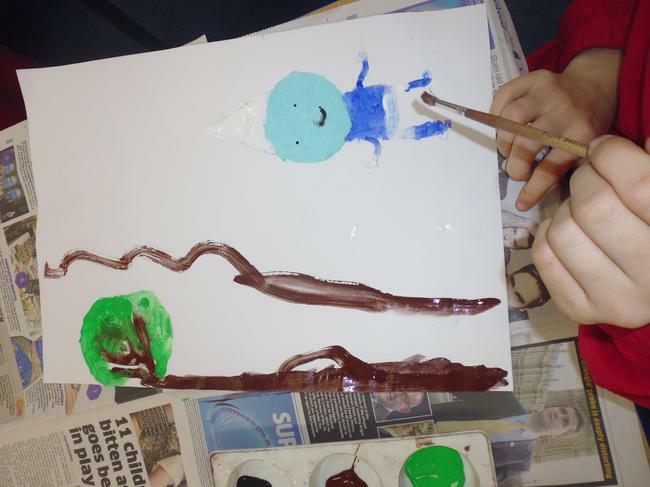 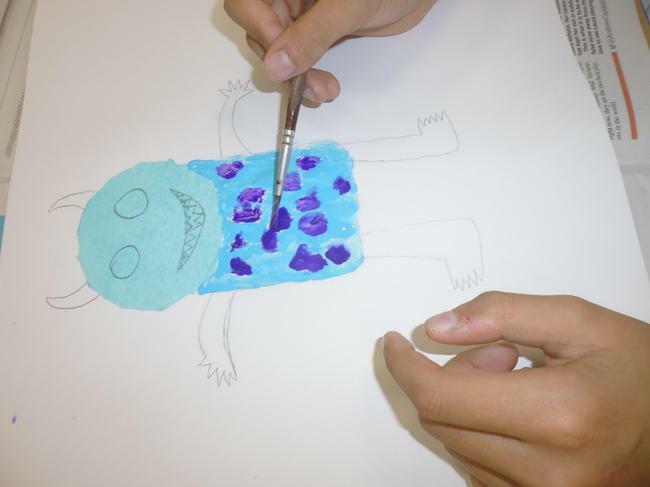 From all the entries, the ten finalists are chosen by a panel of children and young people. 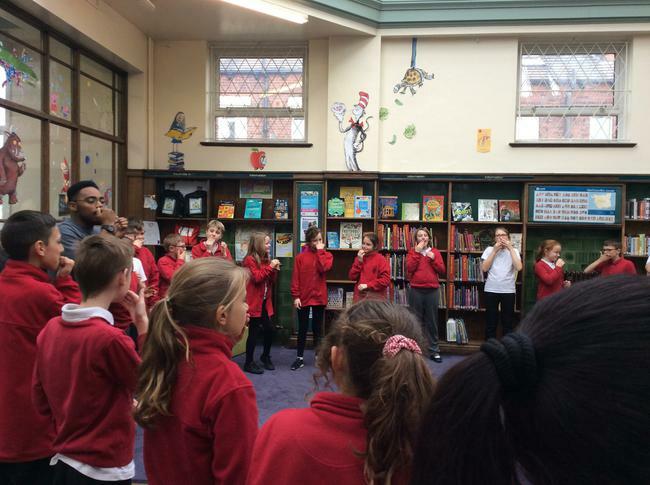 Children and young people in the city are then asked to vote for who they would like to elect as their next Children's Mayor - and the winner is announced by the Lord Mayor in an event every November. 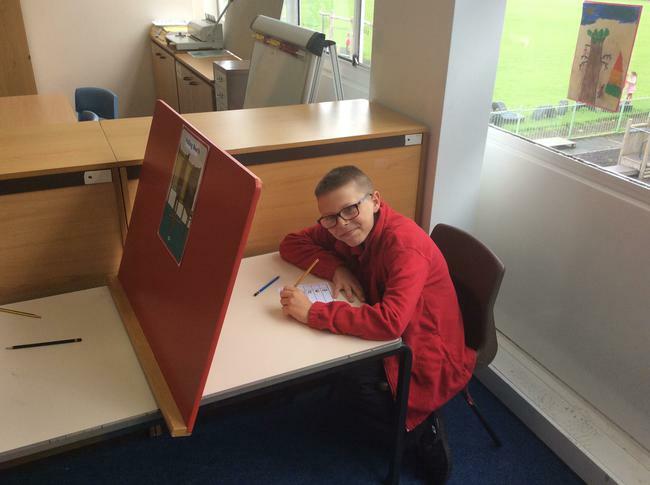 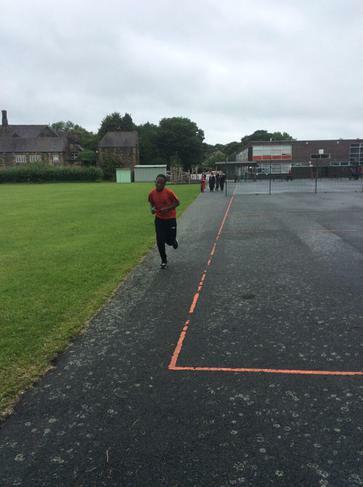 Last year we had nine pupils who put themselves forward. 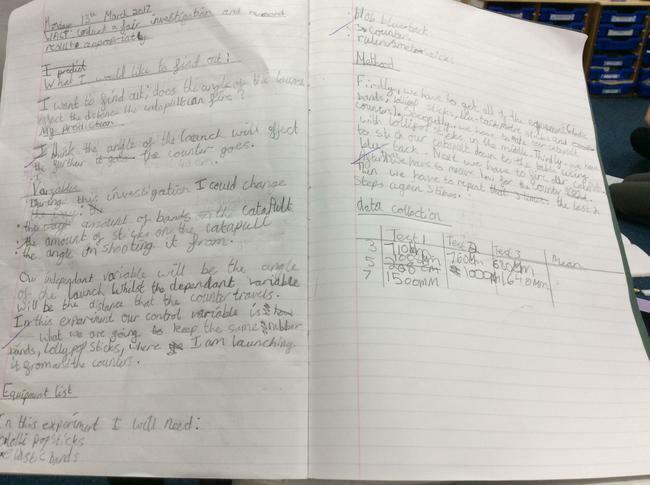 The standard was high and Tom and Jake both submitted their manifestos to the judges. 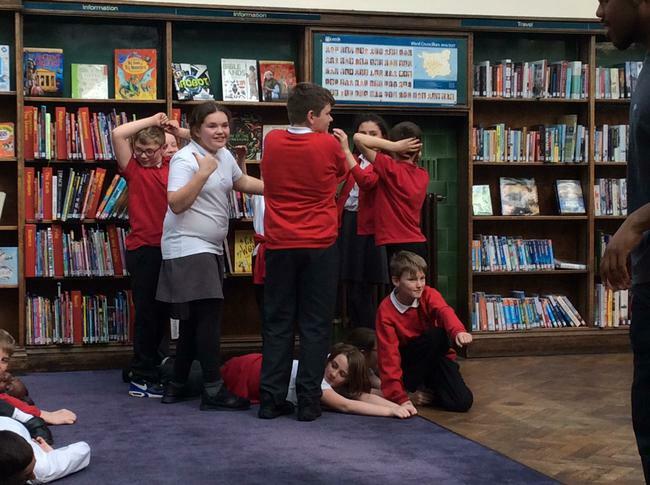 You can read their proposals below.